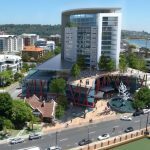 The site was selected as a key urban infill site due to its proximity to Northbridge (within 700m) and the CBD (less than 1.5km away). 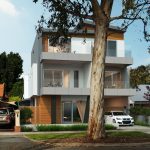 Tucked away in the low to medium density fringe of the City, the location provides the benefit of a leafy outlook over Stuart Street Reserve. 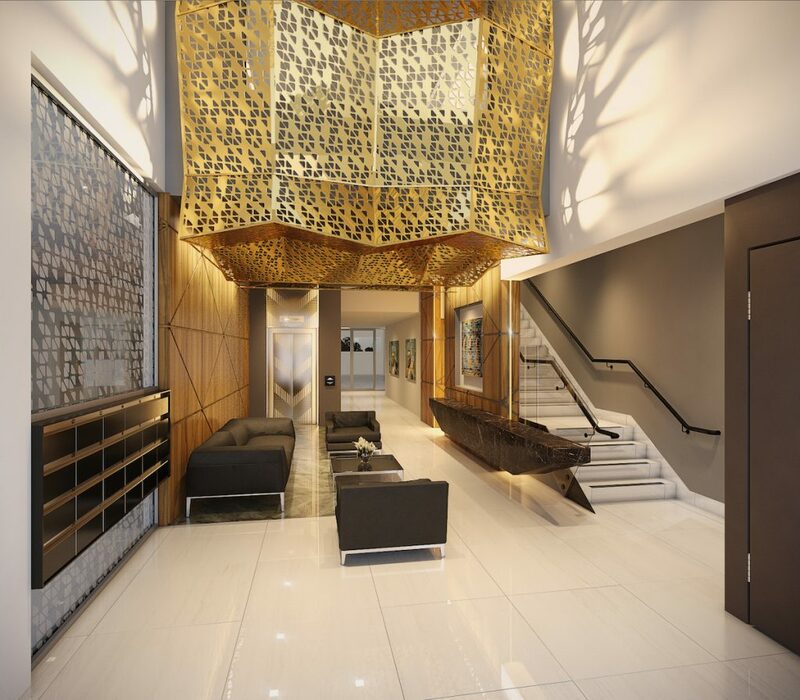 Residents to the building will have at their fingertips a multitude of nearby bars, restaurants and cafes to enjoy. 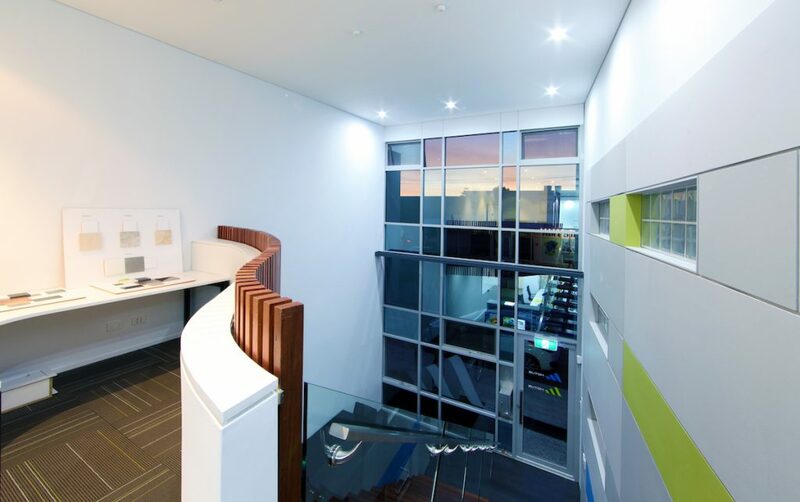 The architecture team has designed with the occupants well-being in mind. 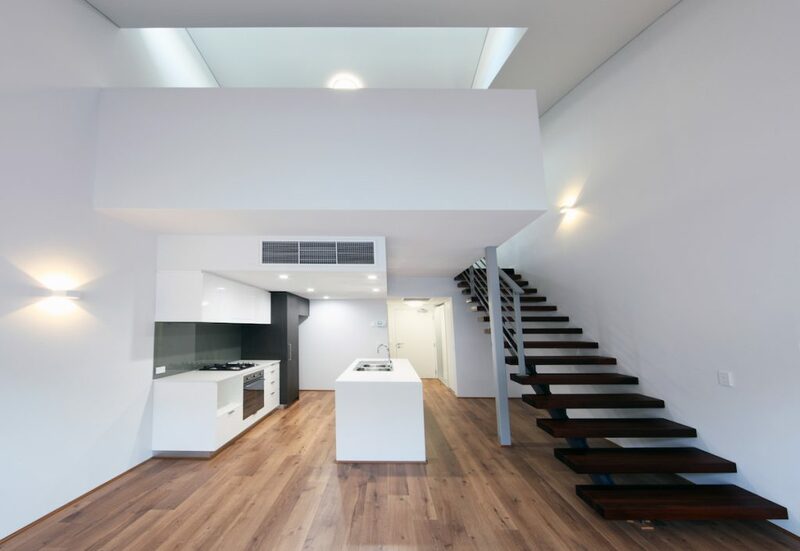 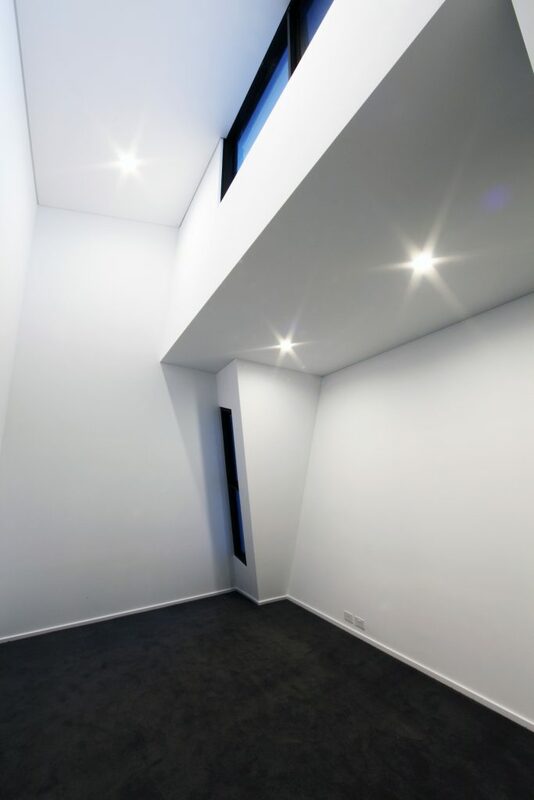 Voids that connect the floors vertically provide natural light and ventilation to common areas. 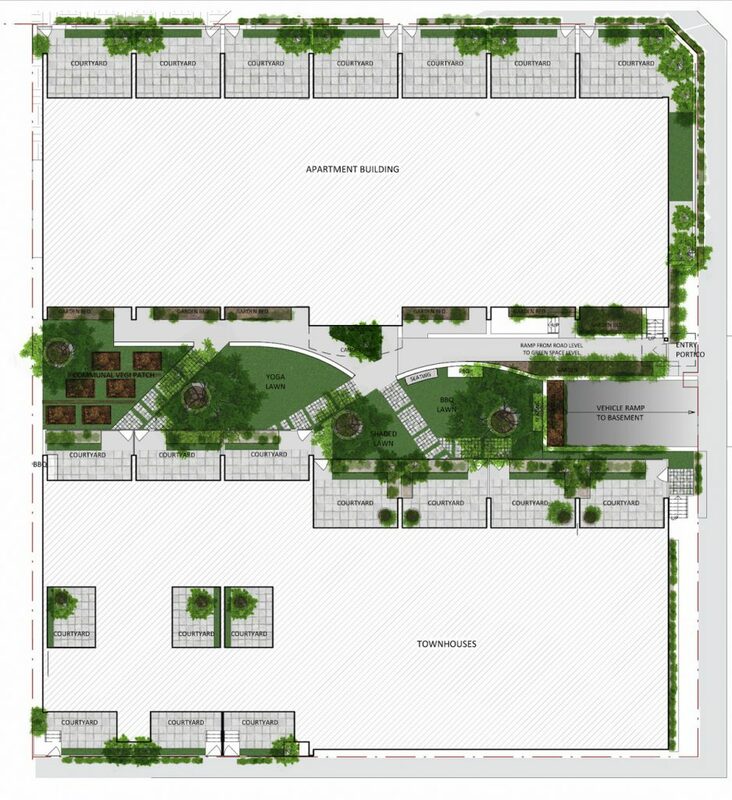 Extensive green spaces throughout have been designed with the assistance of Landscape Architect (CAPA) to provide a valuable link with nature. 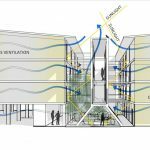 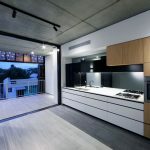 The building has been designed to be compatible and complimentary to the existing buildings in the area by using materials that can be found in the immediate locality. 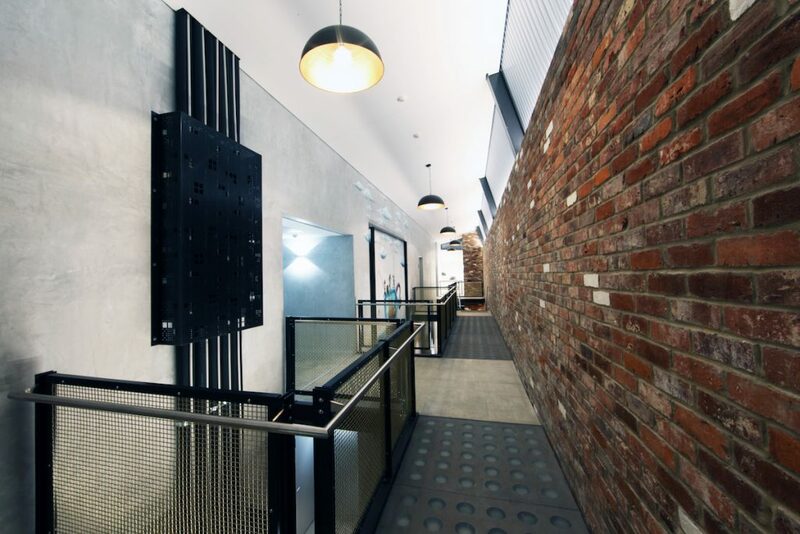 These include face brickwork, off-form concrete, metal sheeting and exposed structural steel. 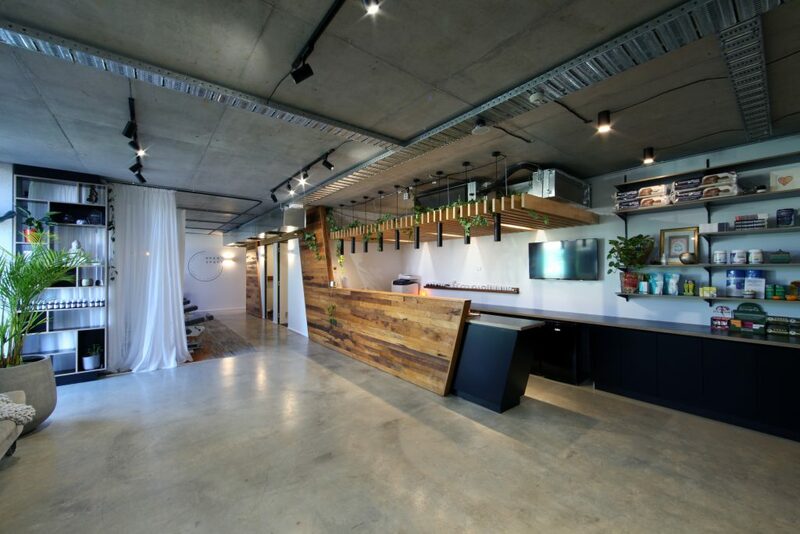 The architectural language draws inspiration from the raw warehouse aesthetic found throughout the precinct. 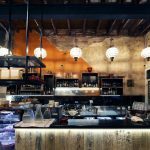 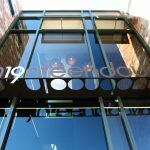 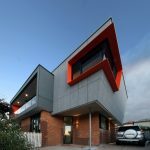 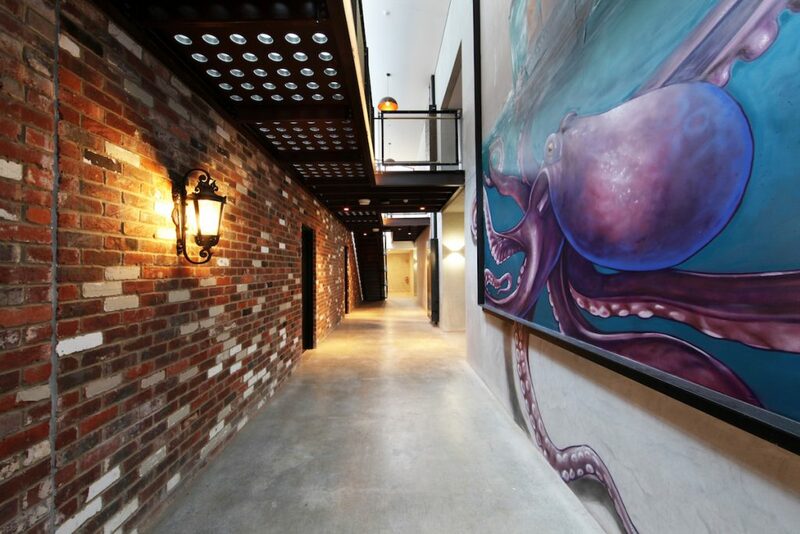 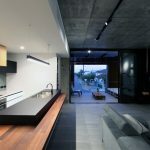 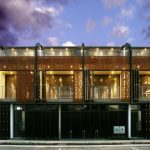 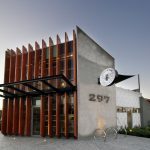 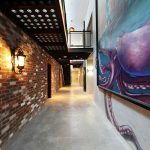 The architecture attempts to re-create the atmosphere of Fremantle in a contemporary way and draws inspiration from the existing character of the nearby Prison Precinct. 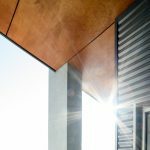 The street facades have been carefully articulated to provide both transparency and depth to help ensure the perceived building bulk is minimised at street level. 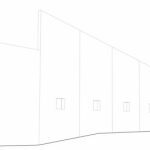 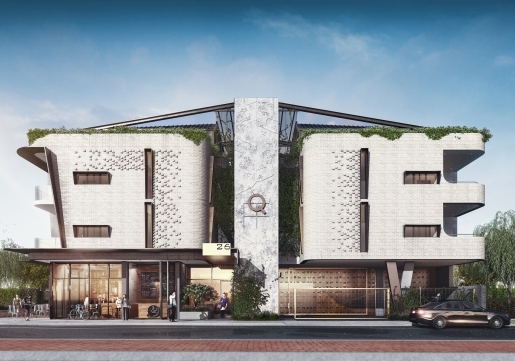 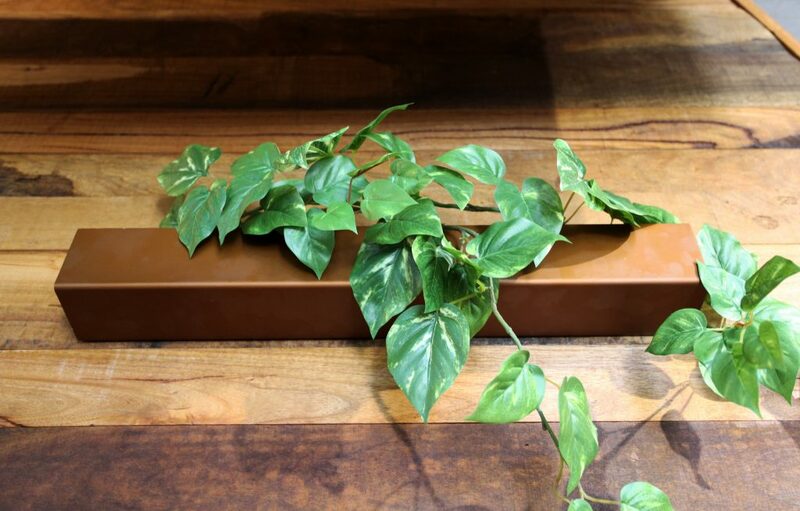 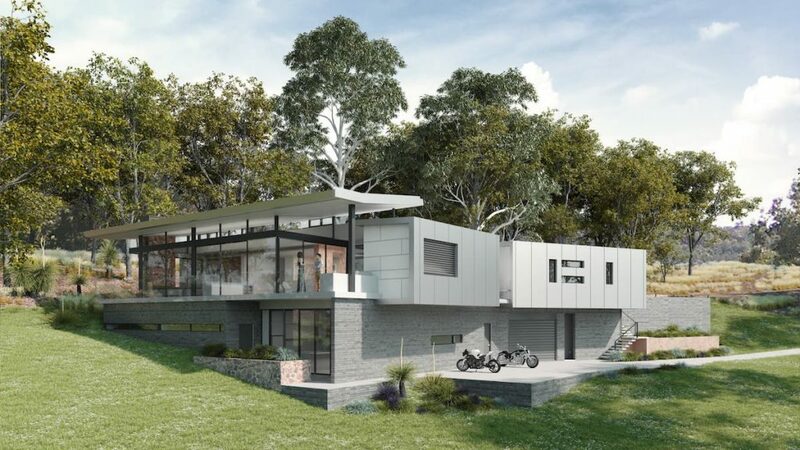 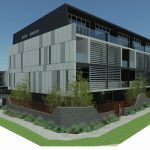 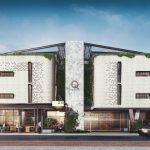 The material palette of the building will consist of limestone face bricks, exposed steel beams, natural finished concrete, Colorbond metal sheeting and green wall trellises. 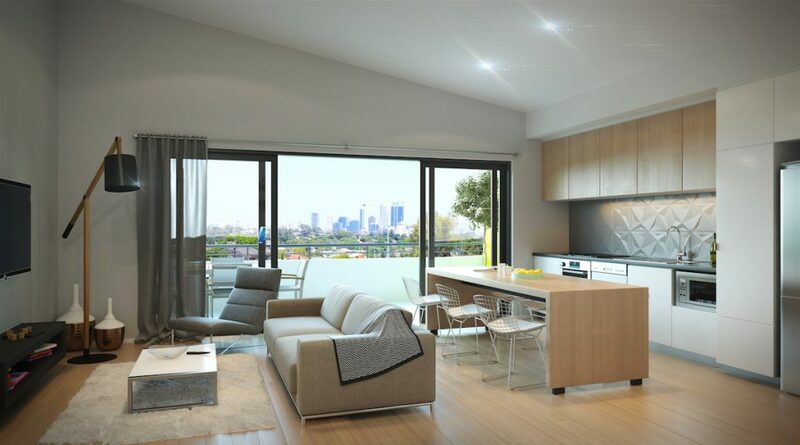 One of the main features of the building design is the large central green space that all apartments and short stay units are accessed from. 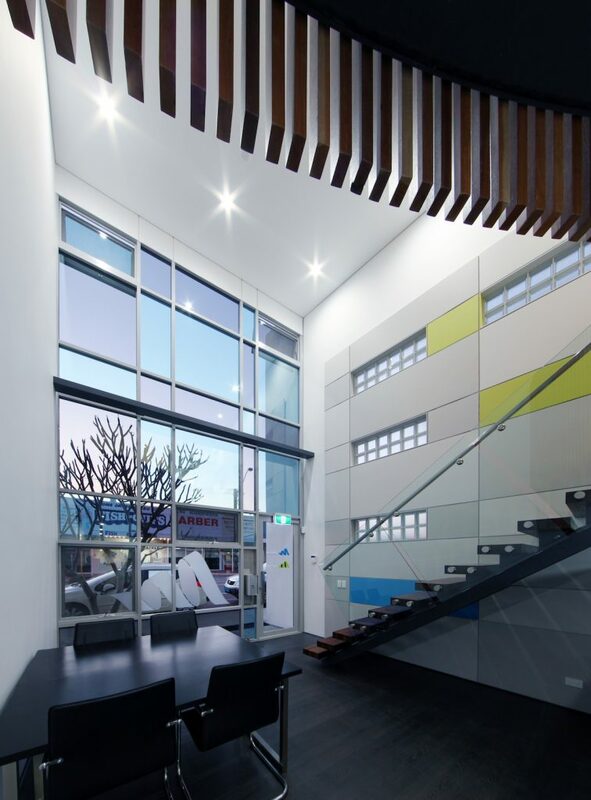 This T-shaped atrium ranges from 6m-7.8m wide and forms the central heart of the building. 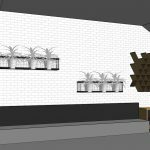 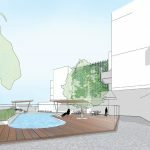 The space will be luscious and green with water features and break out spaces for users to inhabit and interact with one-another. 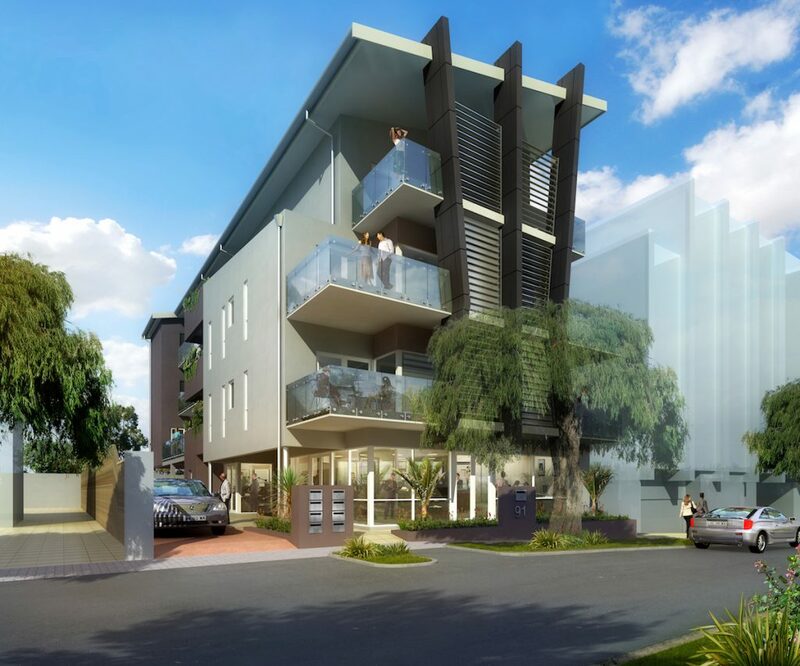 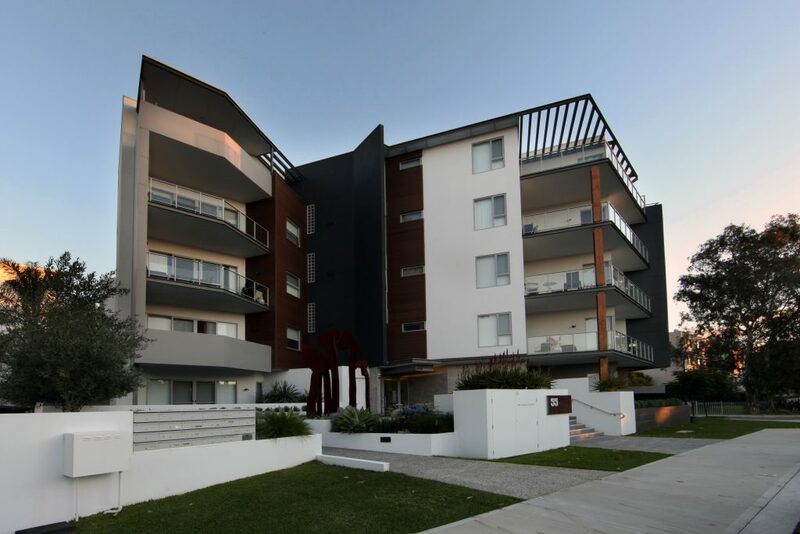 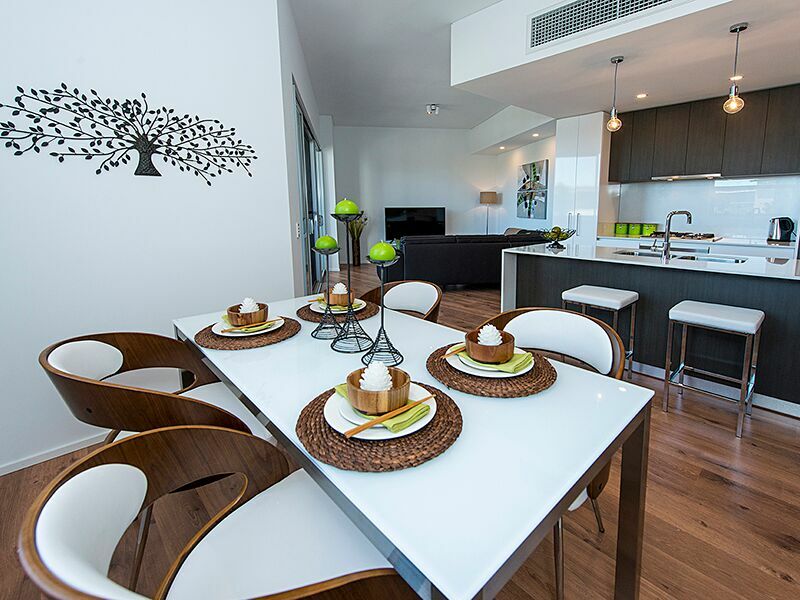 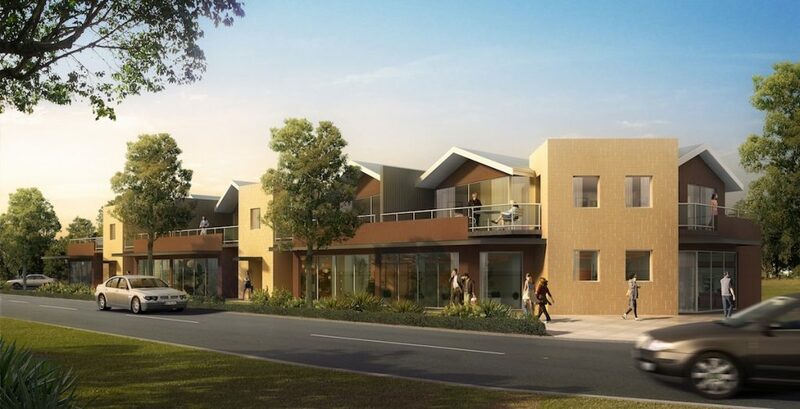 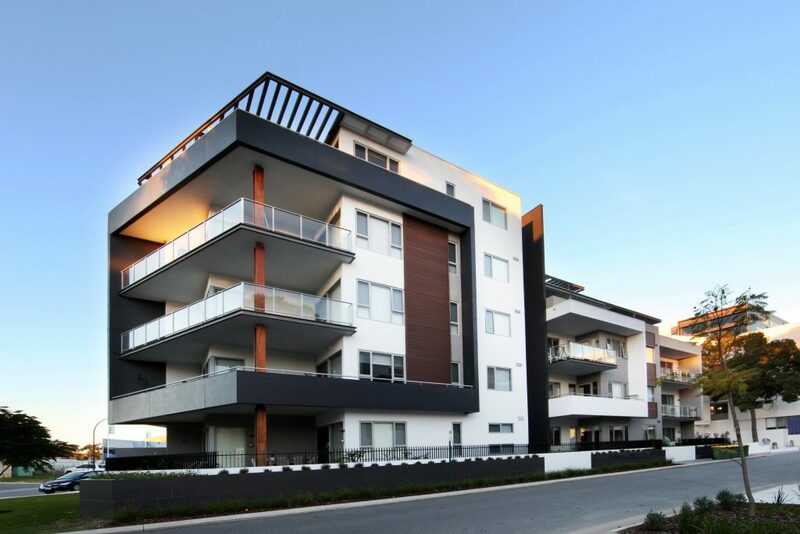 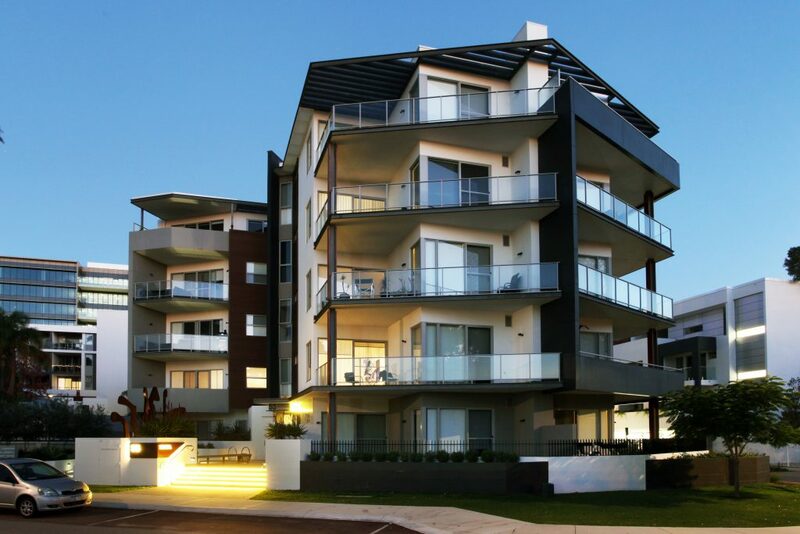 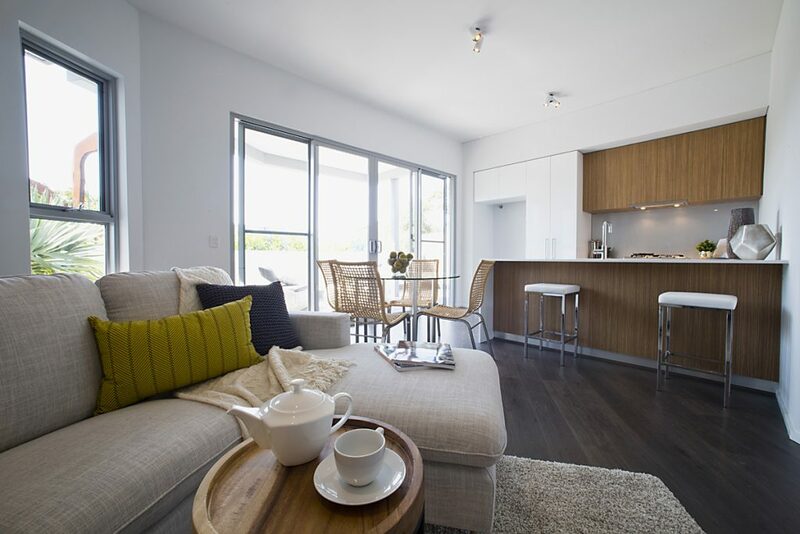 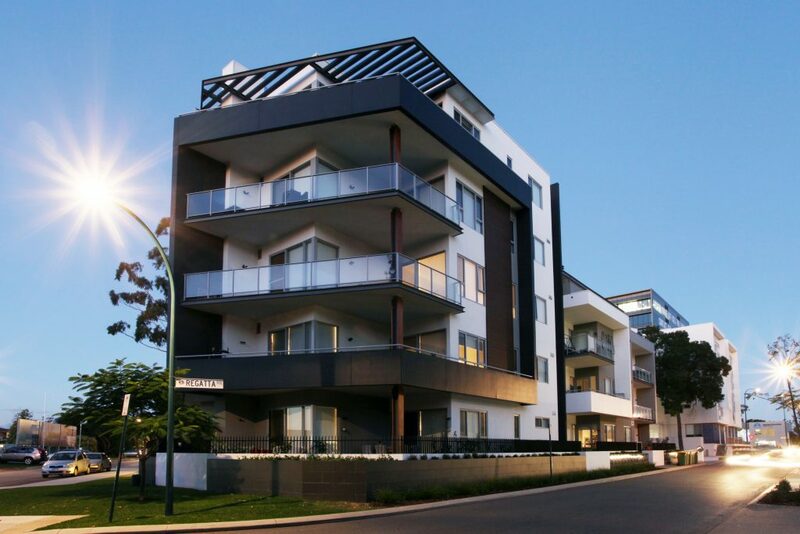 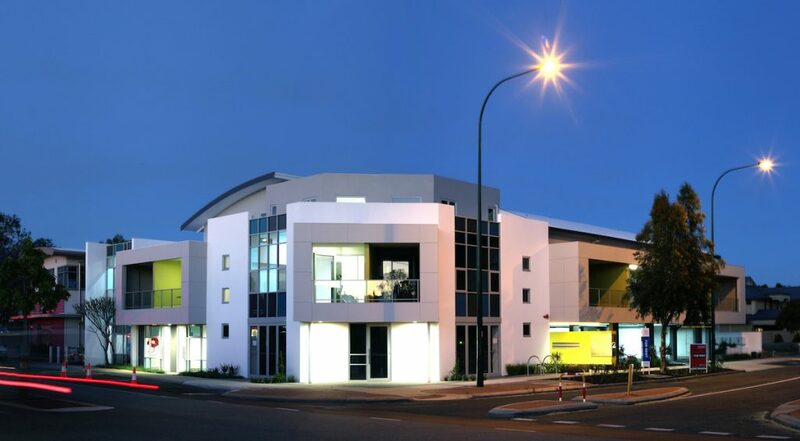 The Riseley St project is ideally located opposite the shopping mecca of Garden City, Booragoon. 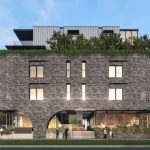 The brief was to incorporate a large portion of commercial space on the ground and first levels to match the built vernacular of surrounding development, as well as providing residential apartments above. 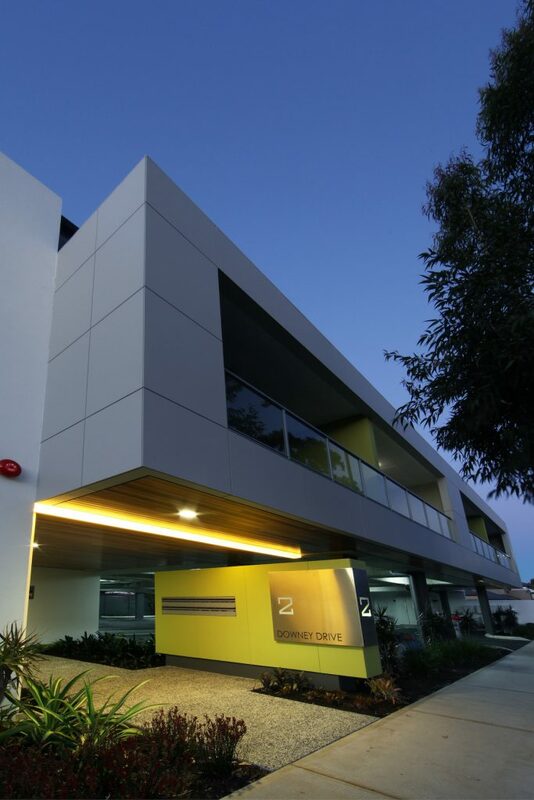 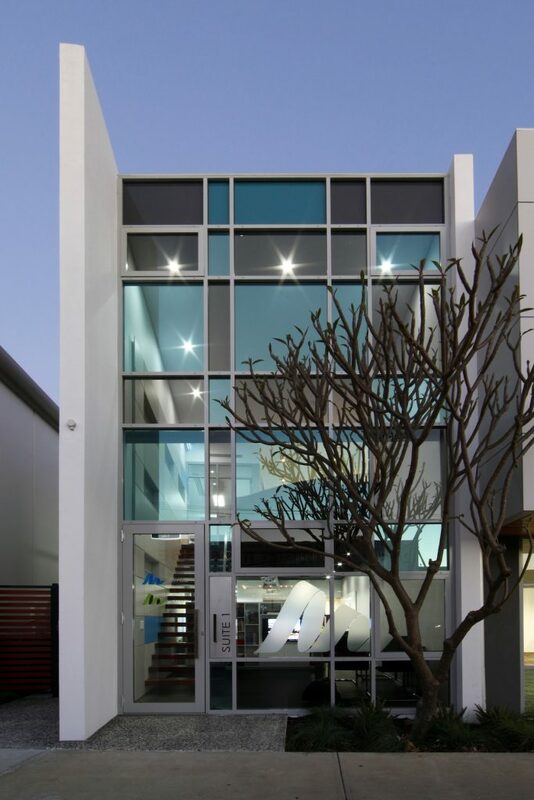 The client requested a consistent façade that spanned across the different building uses. 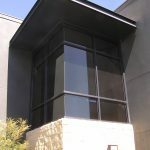 As such, full-height curtain wall glazing was introduced from ground floor to roof, hiding residential balconies behind strategically placed sash-less windows and horizontal shading fins. 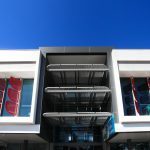 Large concrete boxes articulate and wrap the glazing, with public artwork, required by council, as accent above the shared street foyer. 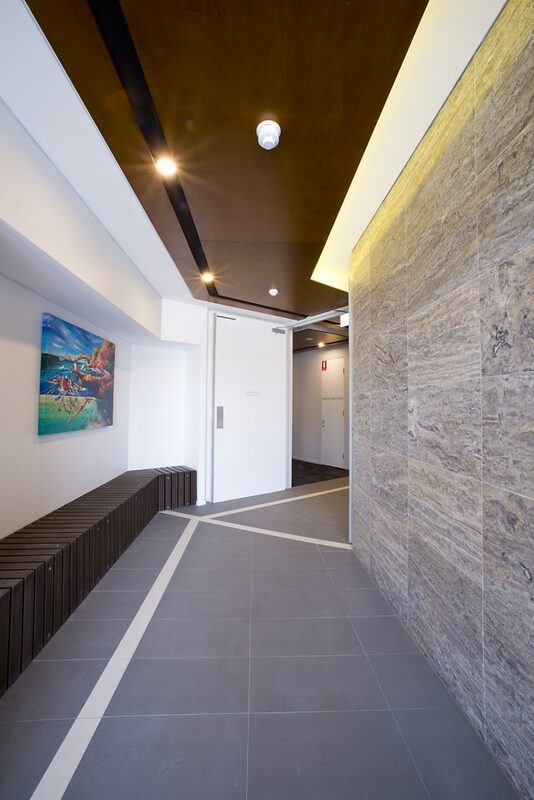 The street foyer creates an inviting space for reciprocal use by both residential and commercial occupants, ensuring the building’s layout is efficient and maximising the site’s potential. 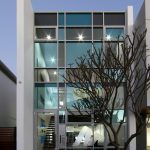 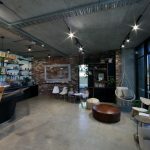 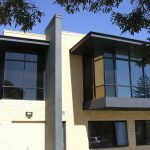 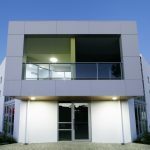 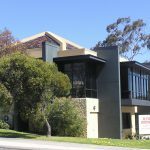 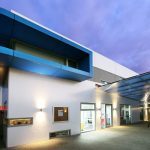 Openspace Healing is a chiropractic wellness centre located in 2 commercial suites in our mixed used building 19 Douro in South Fremantle. 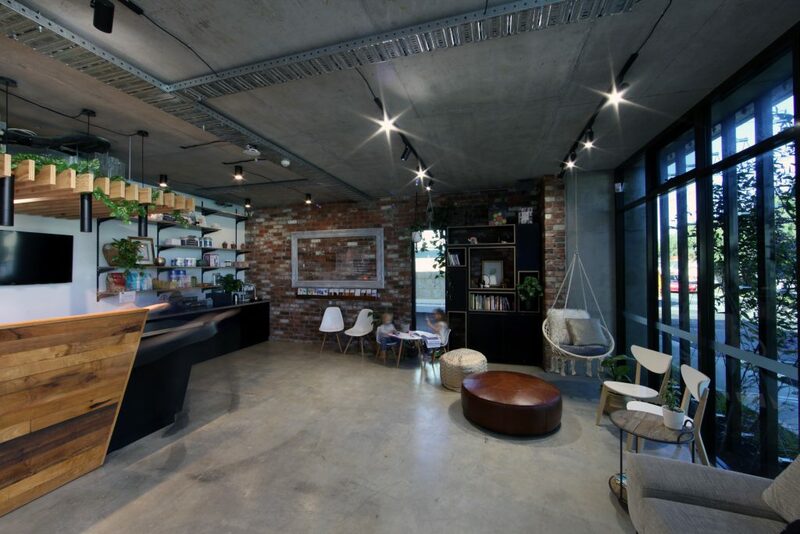 The client’s brief was to create an internal space that did not reflect a typical clinic but instead had the ambience of a tranquil retreat. 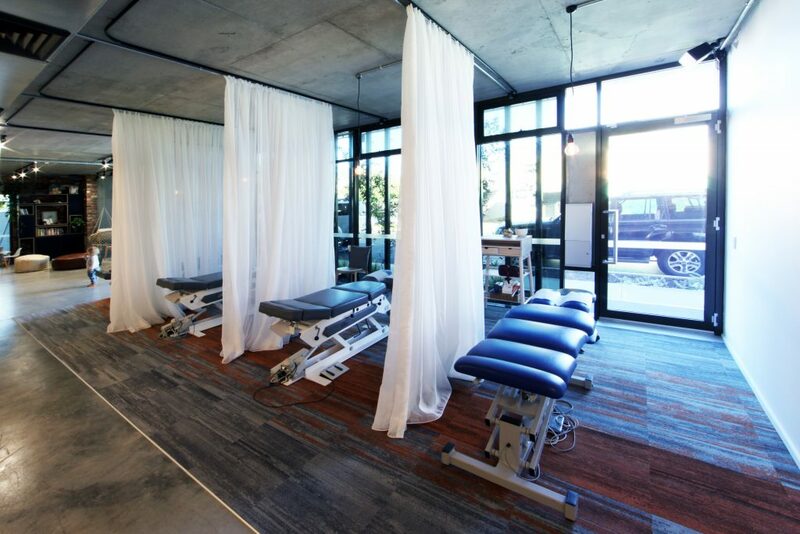 To achieve this, a new philosophy of treating clients in an open space instead of closed off rooms was introduced. 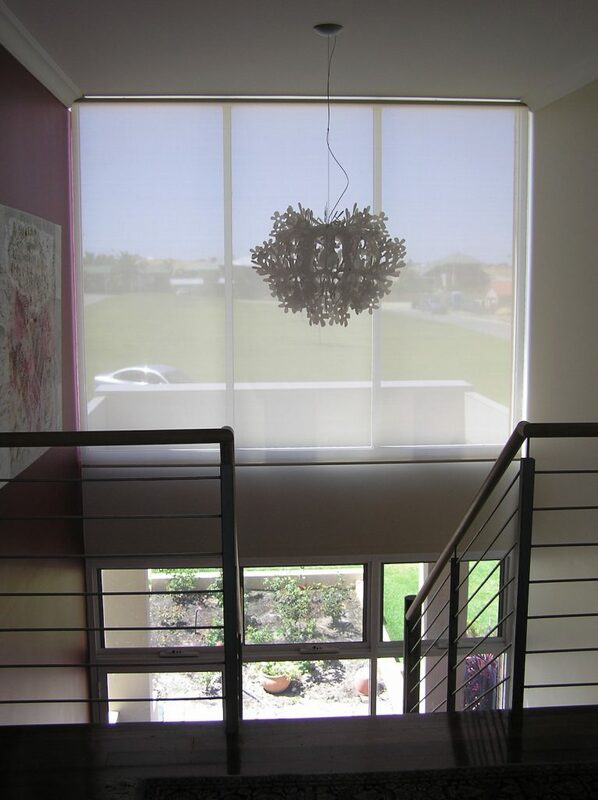 To offer some visual privacy, sheer white curtains were provided to separate the adjusting tables. 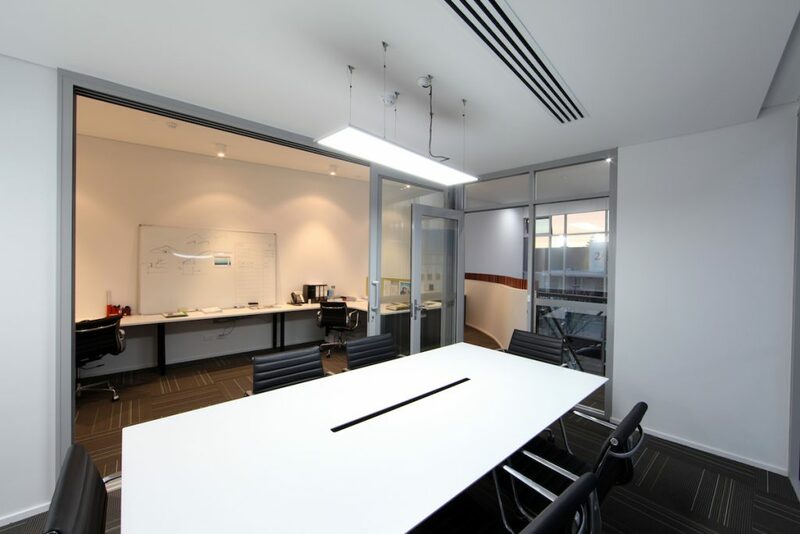 There are 2 private rooms for consultants that require privacy and for patients who request it. 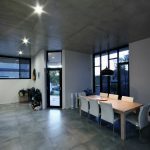 Raw concrete floors and ceilings and exposed mechanical and electrical services reflect the aesthetics of the exterior of the building. 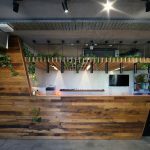 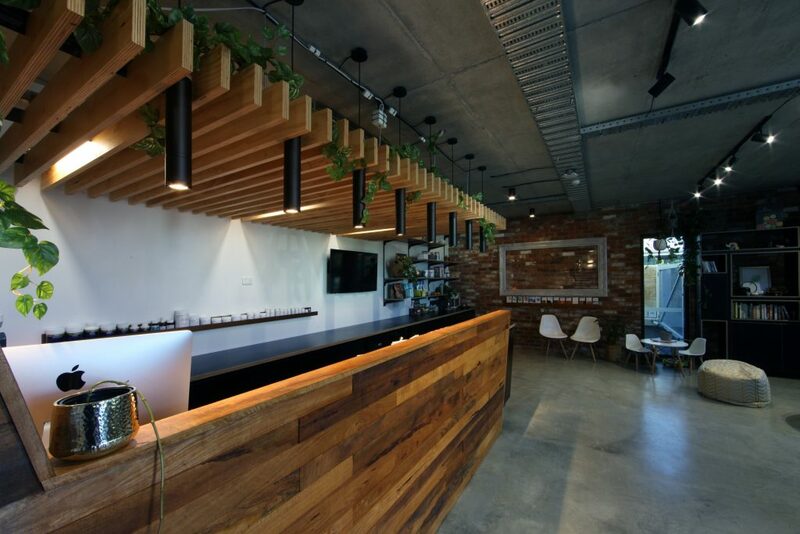 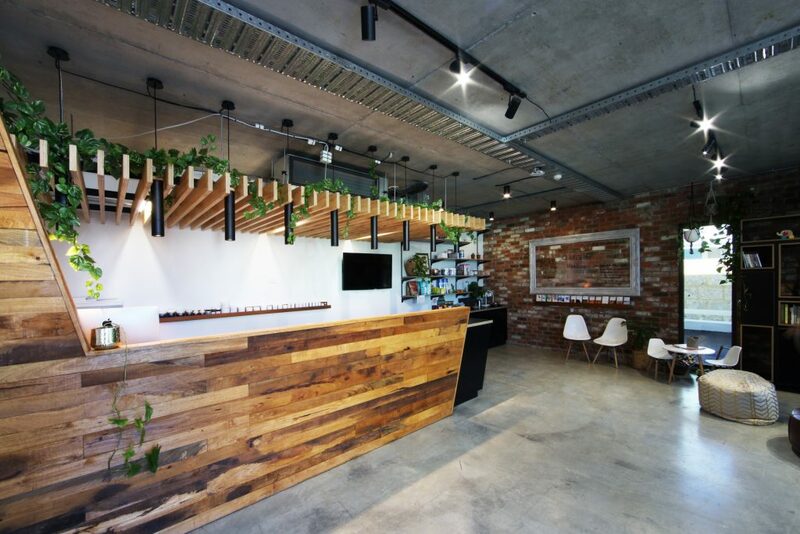 The feature recycled timber wall and greenery scattered around the clinic brings warmth into the space. 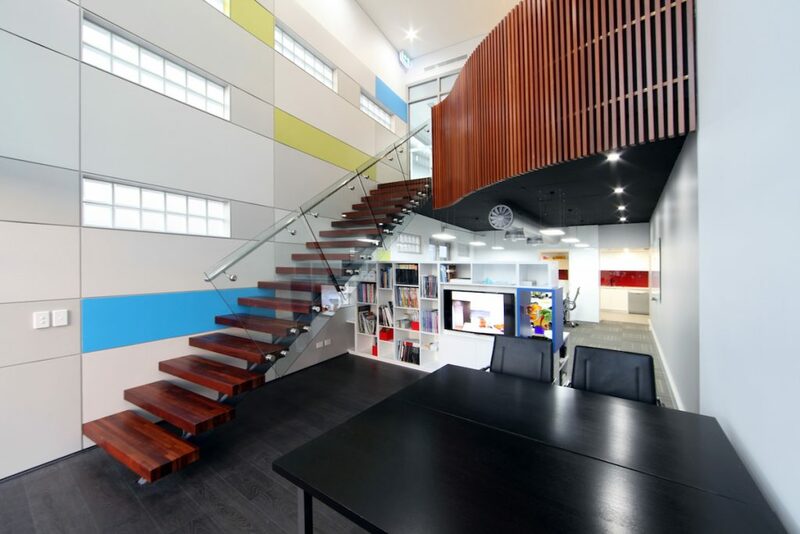 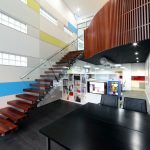 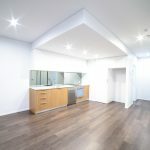 The client had a tight budget for the internal fitout. 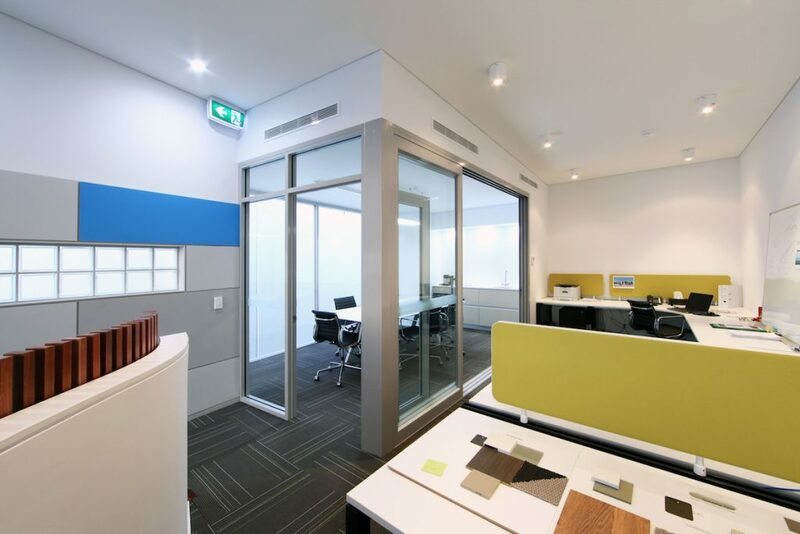 Motus provided thorough investigations into material selections and provided options in various price ranges. 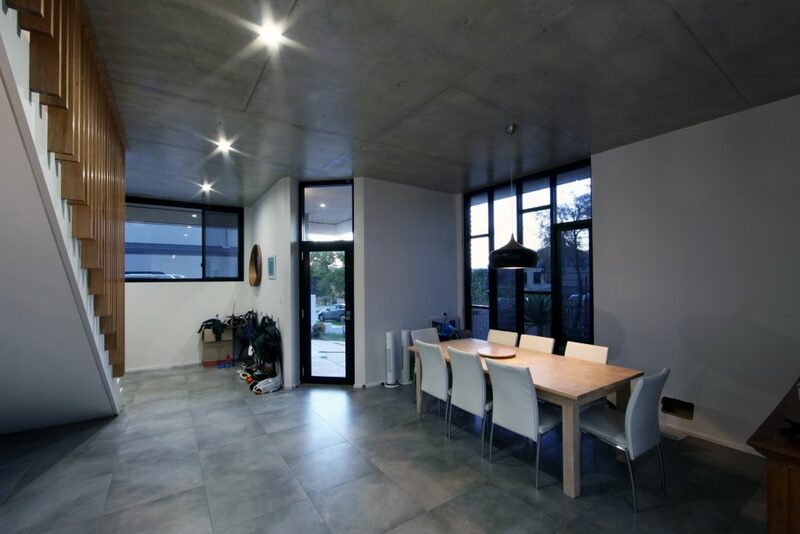 The end result was a warm and welcoming space. 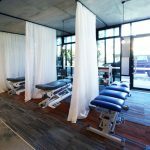 The client has received great feedback from patients about the unique clinical space. 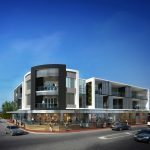 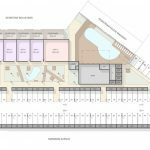 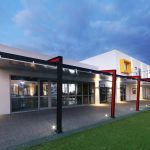 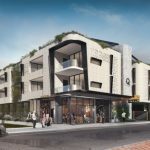 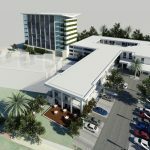 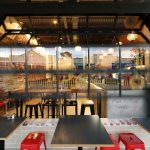 The site was selected due to its proximity to the beach (within 300m), the rapidly developing South Fremantle café strip and the Fremantle City Centre (less than 2km away). 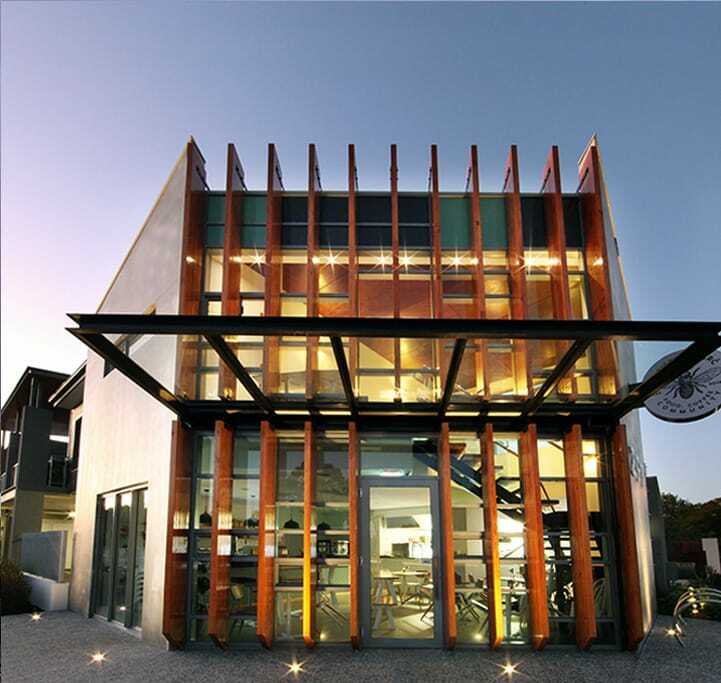 The key design goal was to achieve an energy and cost efficient, sustainable building. 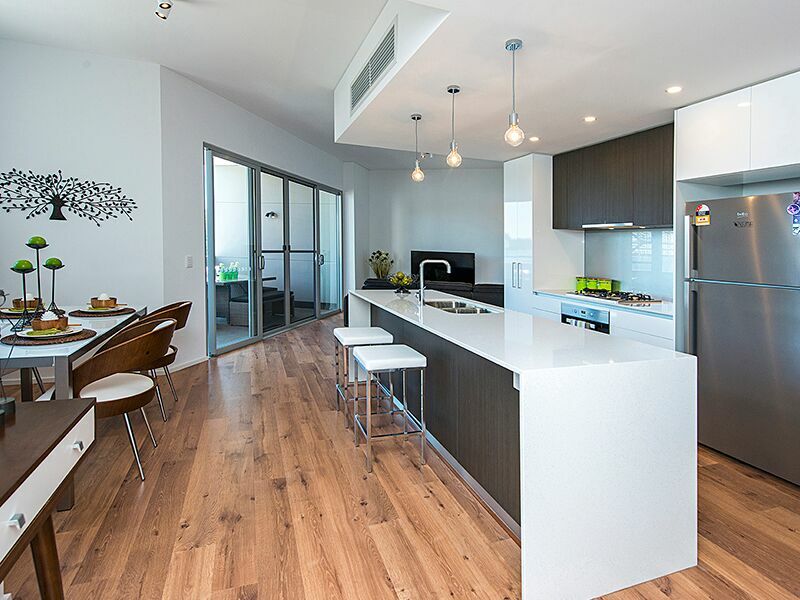 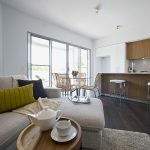 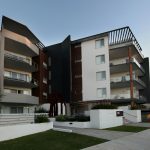 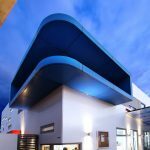 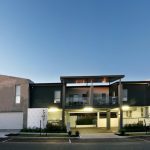 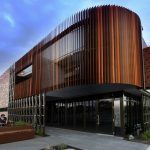 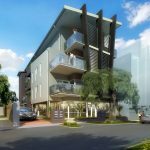 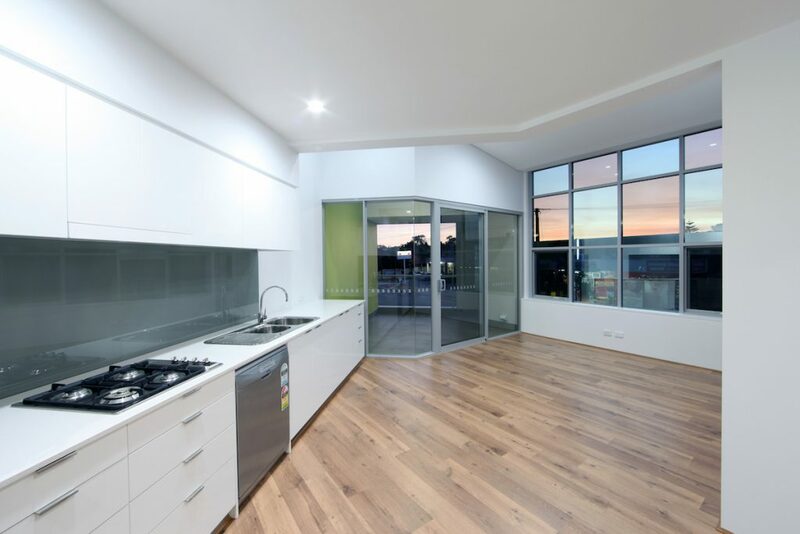 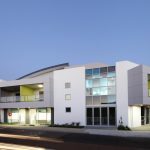 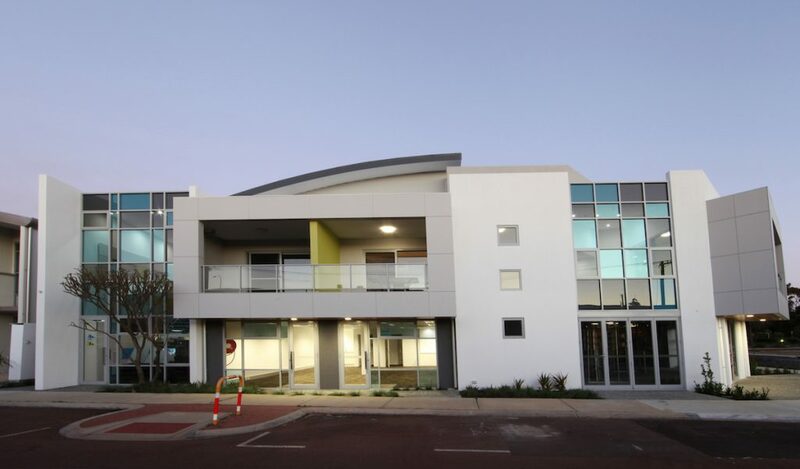 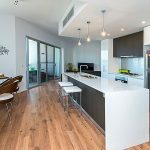 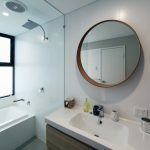 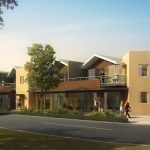 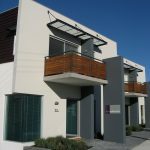 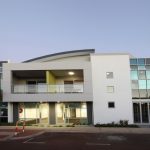 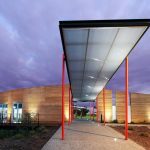 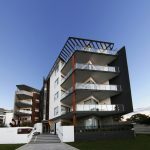 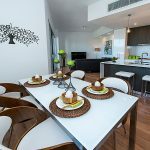 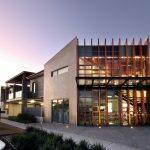 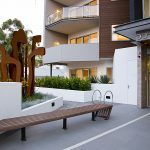 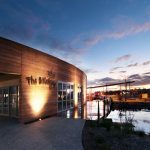 As a whole, the building achieves a 4-Star Green Star energy rating, making it one of Western Australia’s most environmentally friendly residential developments. 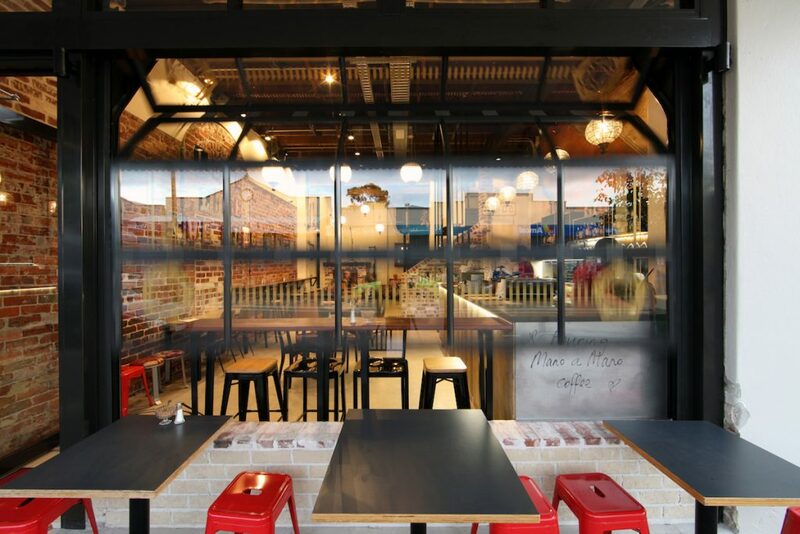 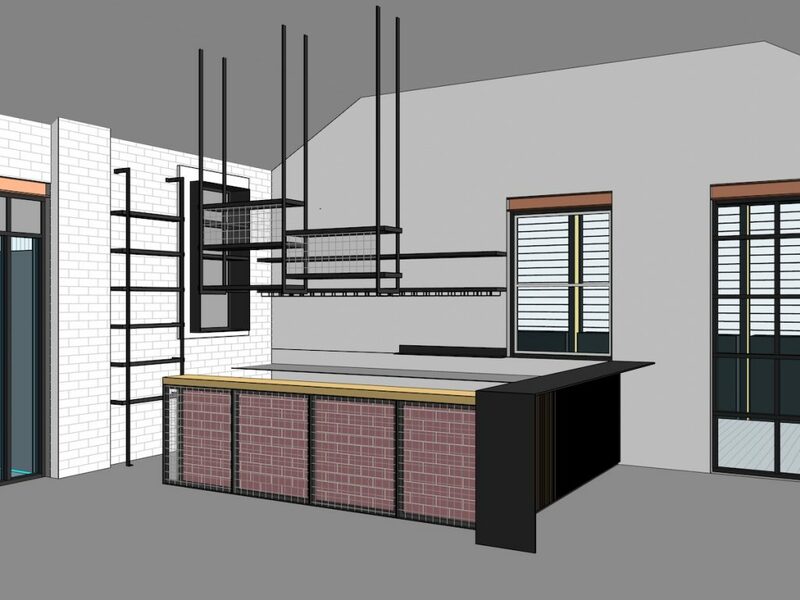 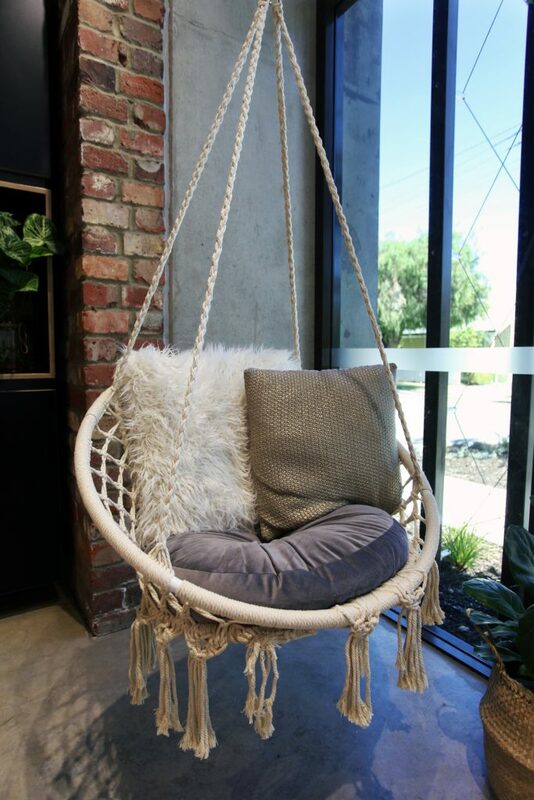 Another key design feature is the use of raw industrial materials, which was inspired by the South Fremantle locale and distinctly “Fremantle” warehouse feel. 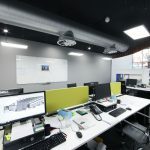 Motus successfully justified their interpretation of the planning scheme requirements to realise a far greater yield than that of previous development approvals on the site. 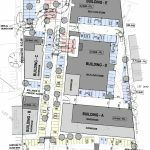 A client with a large site in Scarborough approached the team at Motus seeking development assistance with their difficult site. 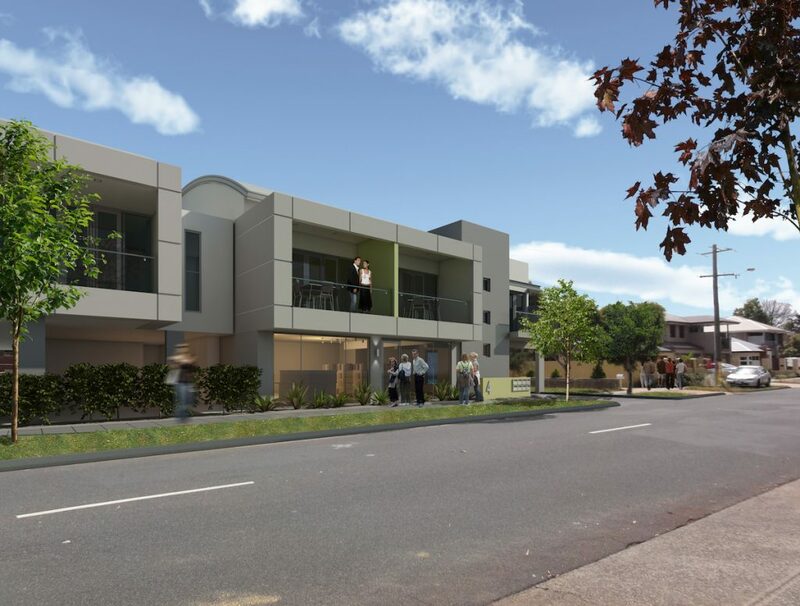 On the fringe of the Scarborough Redevelopment Area, the site was subjected to rigorous investigation in order to determine the ideal outcome for the client, site and precinct. 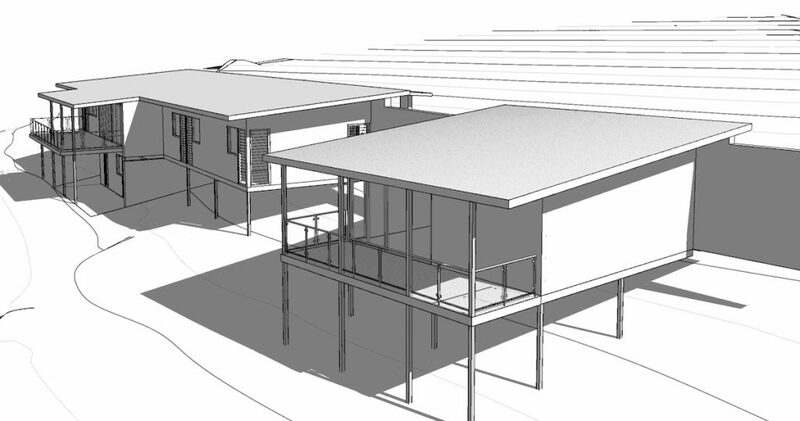 From front to back, the site had a sloping topography of 4m, which proved to be extremely challenging. 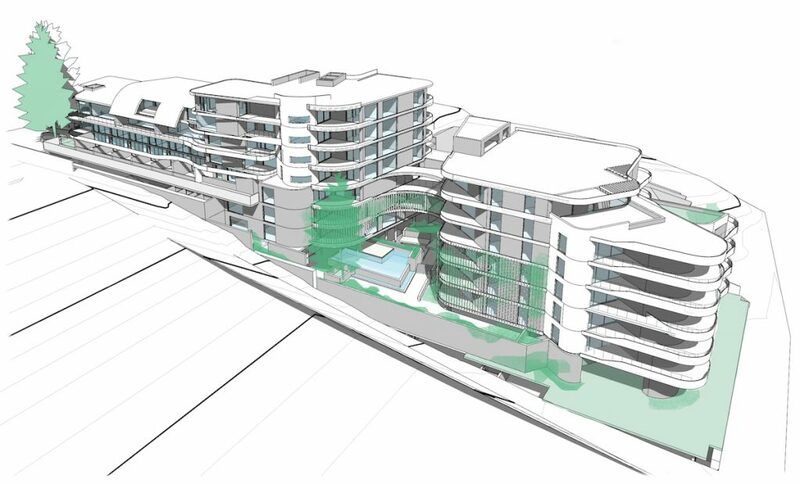 Due to strict planning regulations for the redevelopment area, the building’s height was limited to six-storeys along West Coast Hwy and 3 storeys to Hastings St. 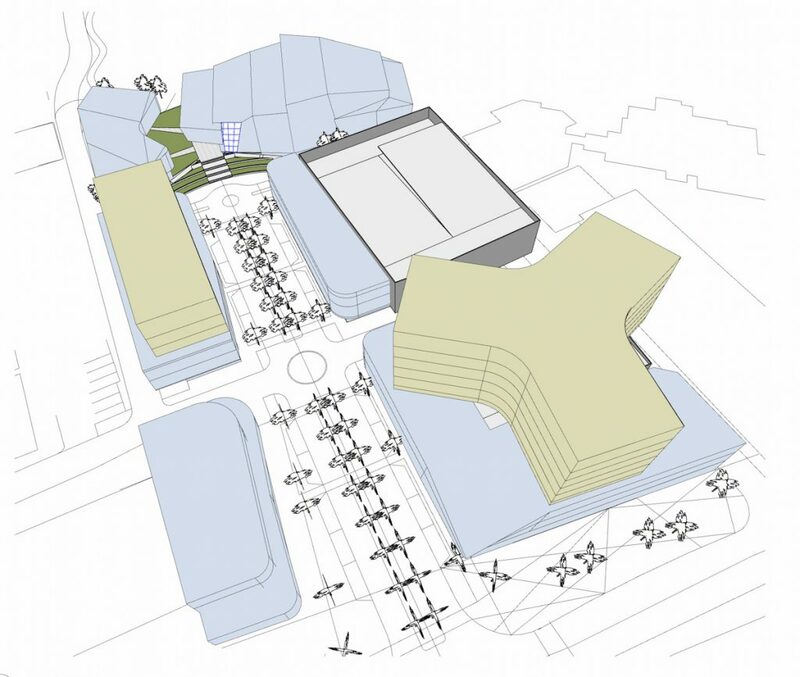 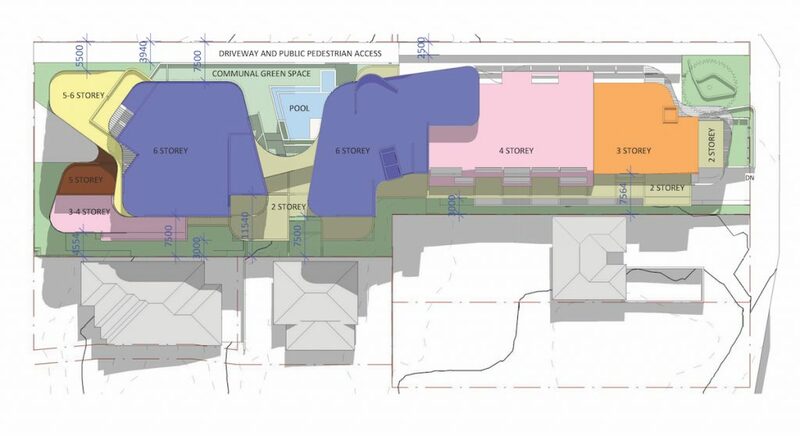 In order to create a feasible design, an alternative staged solution was proposed and pursued. 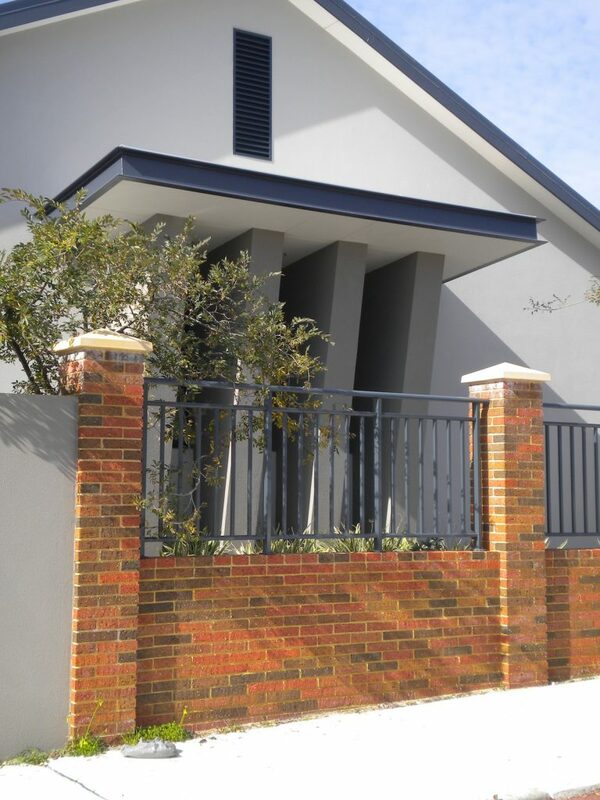 Motus were able to design a staged, tapered envelope that acknowledged the surrounding residential interface while still maximising yield for the client. 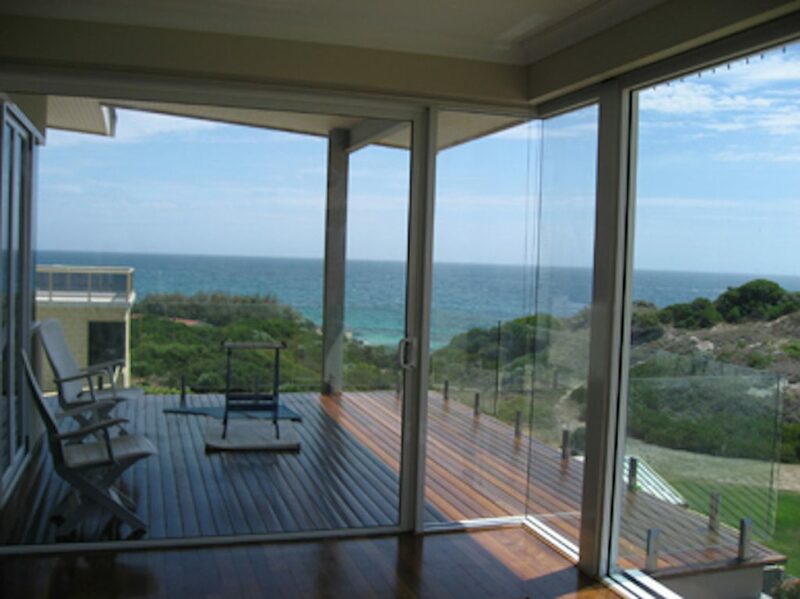 The tapered and passive-solar design allowed for ocean views wherever possible and maximum cross-ventilation, whilst the aesthetic was inspired by the local vernacular and beachside location. 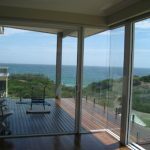 Creating exceptional, large indoor-outdoor living spaces was a driving factor through the design, as well as the retention of established Norfolk Pine trees where possible. 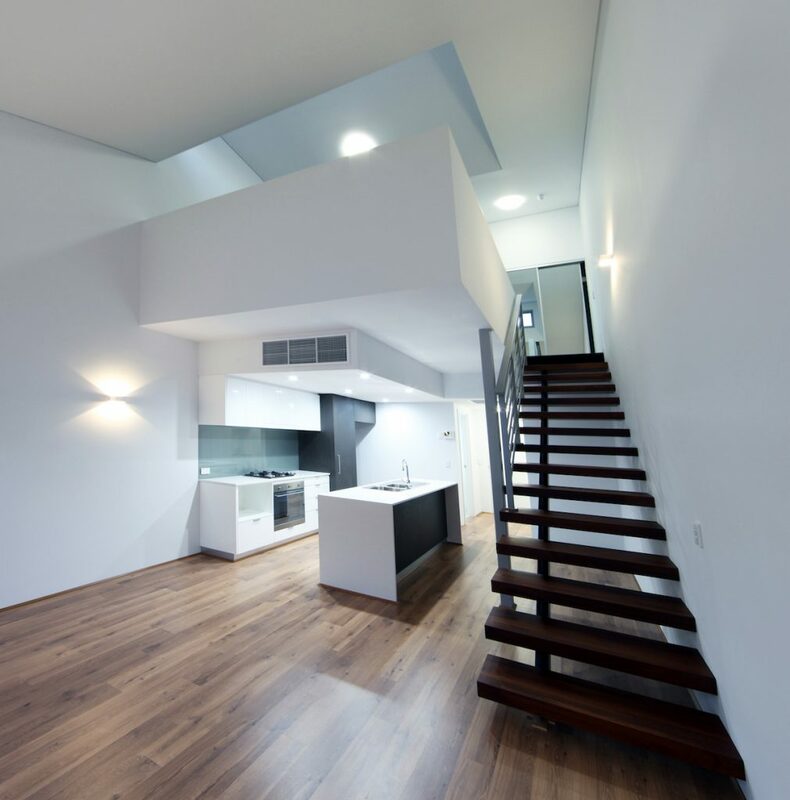 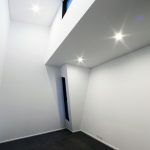 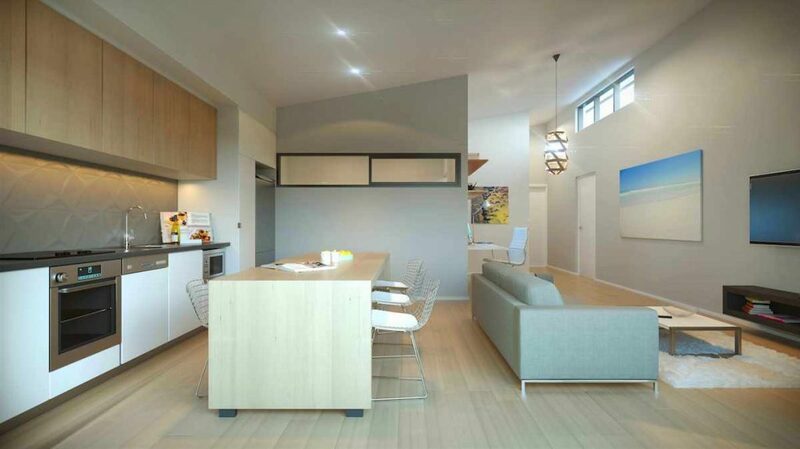 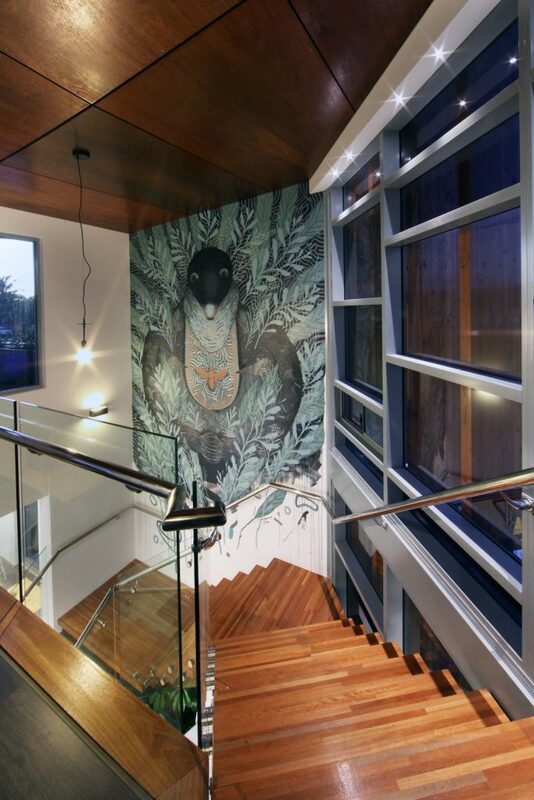 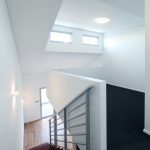 Motus was engaged to design a staged double-storey addition / renovation to the existing home of a young growing family. 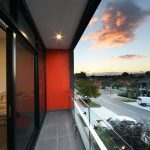 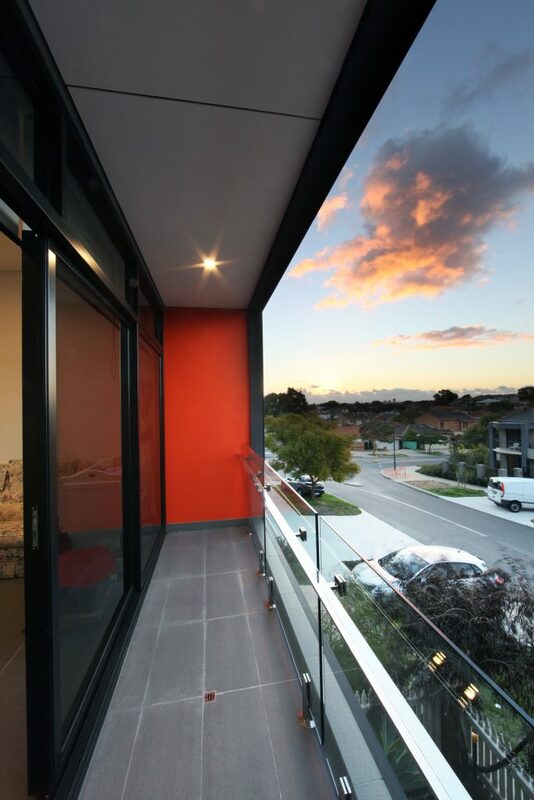 Advantageously positioned with clear city views to the north, the views from the new upper storey are focused and framed by a custom boxed balcony and orange shading fin. 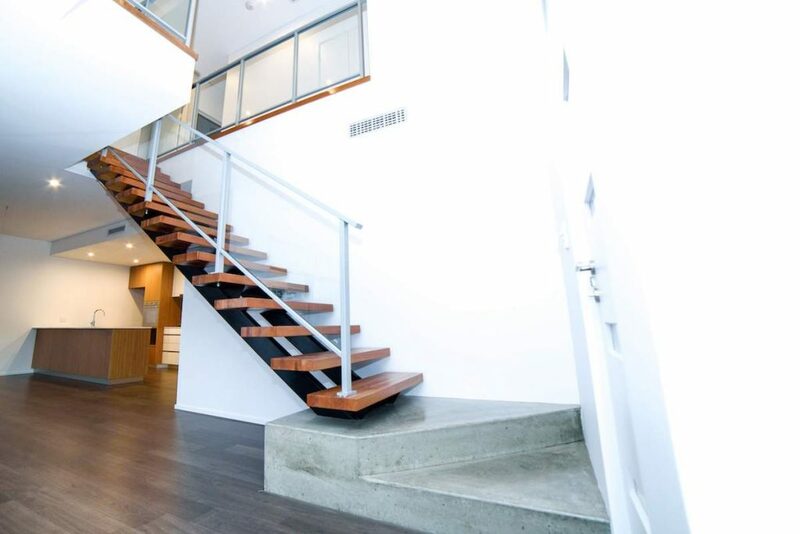 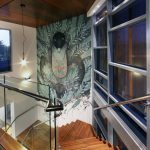 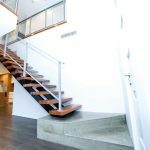 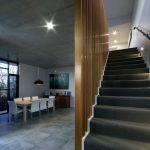 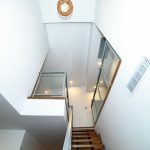 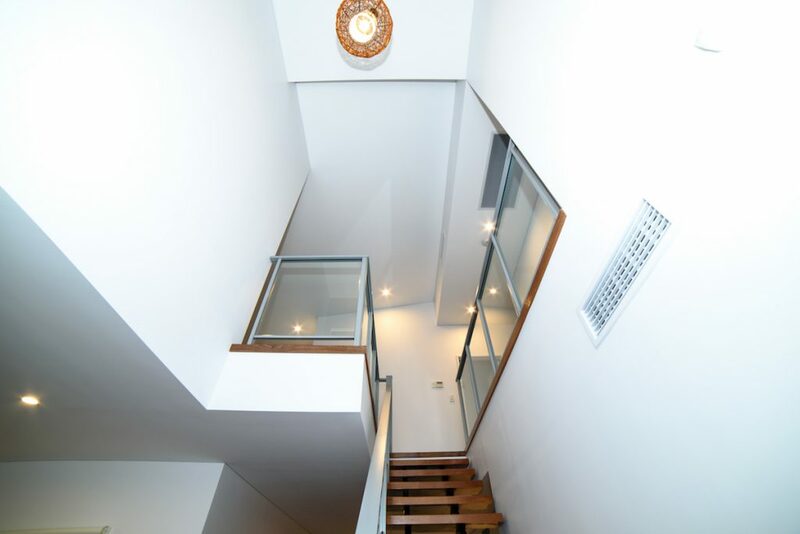 Architectural details like full-height glazed windows and feature timber balustrading leading up the staircase help to seamlessly connect the original and new structures. 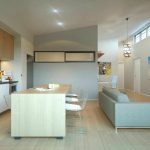 Motus was able to provide a long-term staged solution for the addition / renovation to meet the clients’ restricted budget. 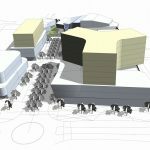 Most stages have been completed but a few external finishes are incomplete. 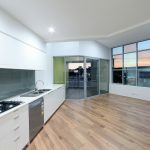 Located in Bedfordale, the site was part of a larger semi-rural property with clear views of the city. 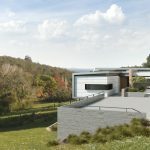 With a lower basement level cut and nestled into the hillside, the upper level of the structure stands proud of the surrounding landscape. 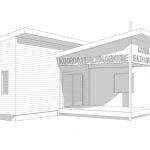 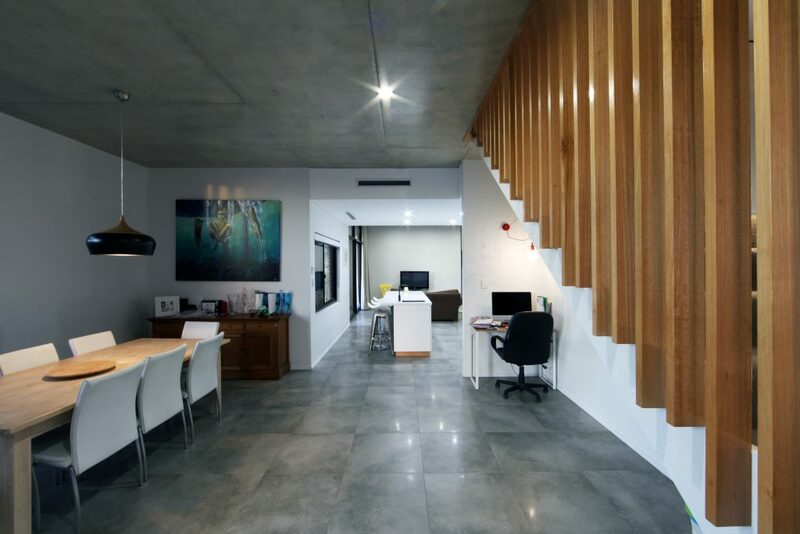 The client had a very specific brief, focussed around a large basement for the storage of cars, their motorcycle collection and integrated workshop. 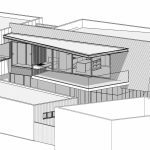 The upper level contains all living spaces, with architectural features like frameless wrapping windows and a rammed earth wall as a central spine. 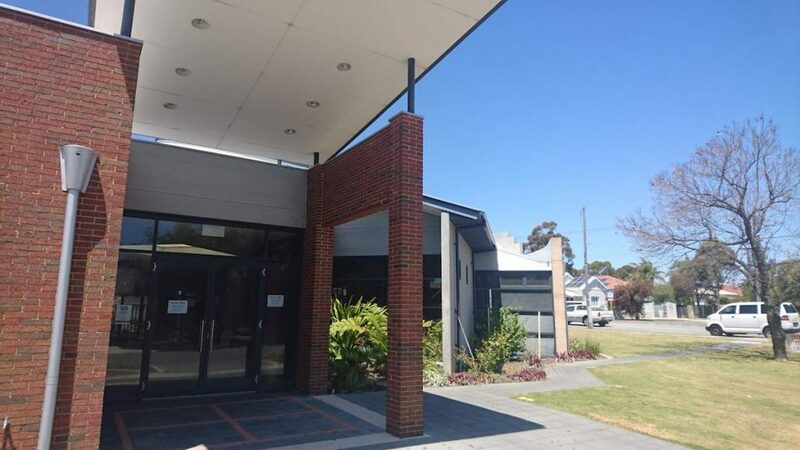 Motus were able to assist in coordinating consultants and liaisons with council to meet local requirements regarding fire and site maintenance. 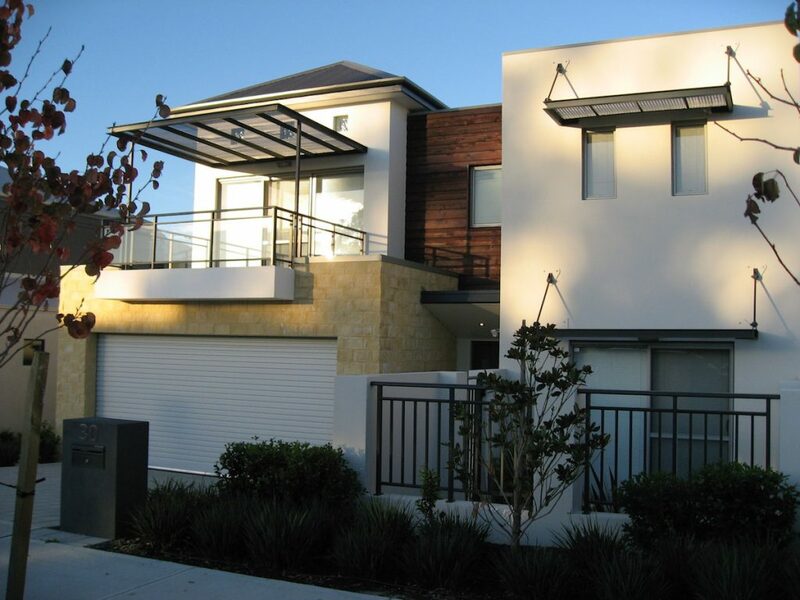 To avoid installing box gutters, a clever roof design strategically directed water away and down the hillside. 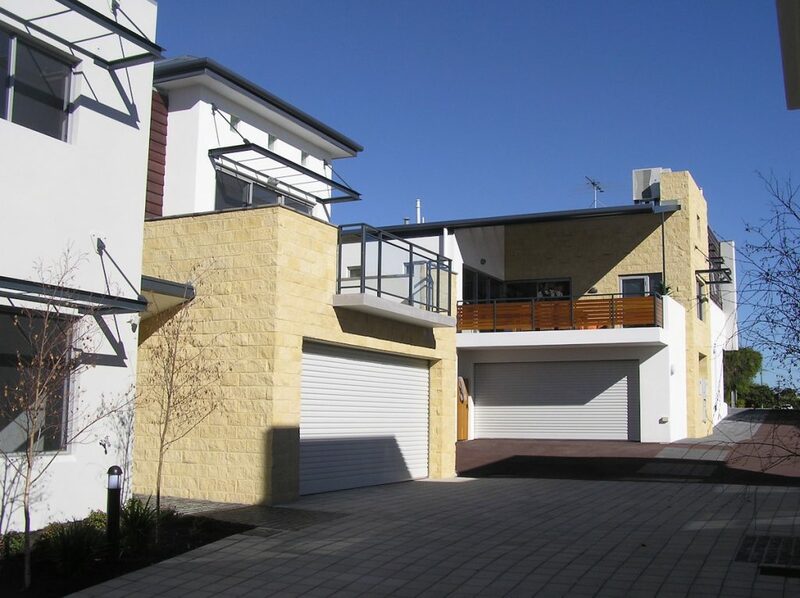 The White Gum Valley precinct represents an eclectic mix of architectural styles. 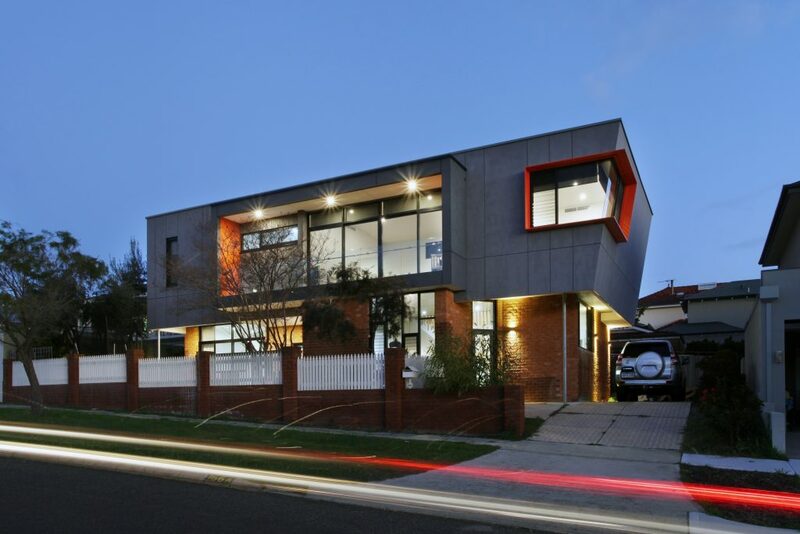 Diverse in scale and materials, the suburb is somewhat tired and in need of rejuvenation. 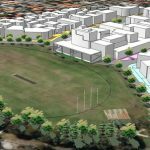 This competition presented an opportunity for Motus to design and develop a project in the new White Gum Valley Landcorp Redevelopment Area. 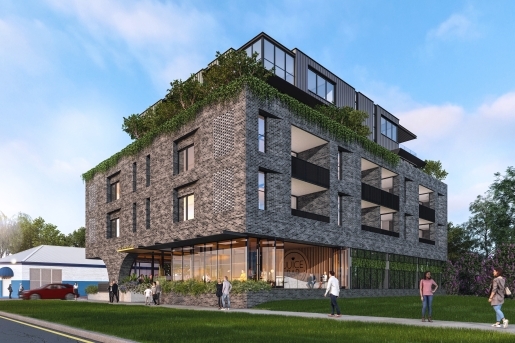 Our proposal was to create an intensification of density in a way that re-thinks conventional accommodation and lifestyle amenities, and encourages a more positive balance between privacy and community. 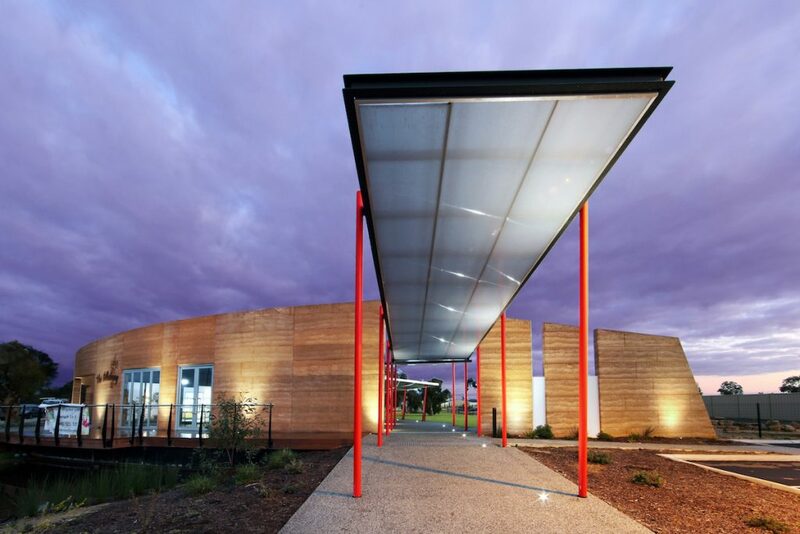 Key design principles for this project were Sustainability, Community and Lifestyle. 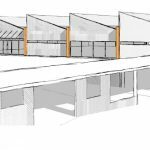 The design has a strong focus on the activation of the ground floor level and interaction of the building with the community spaces. 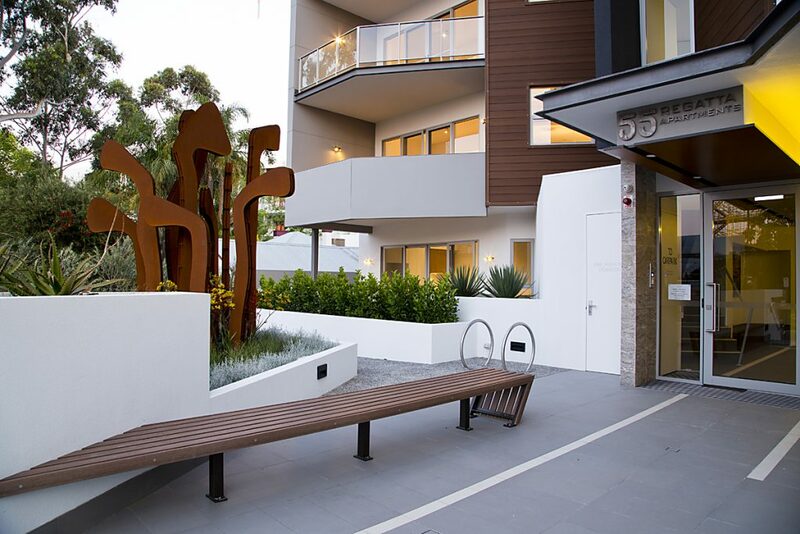 With outdoor seating, planting and communal gardens this space offers a great place for residents to gather and interact. 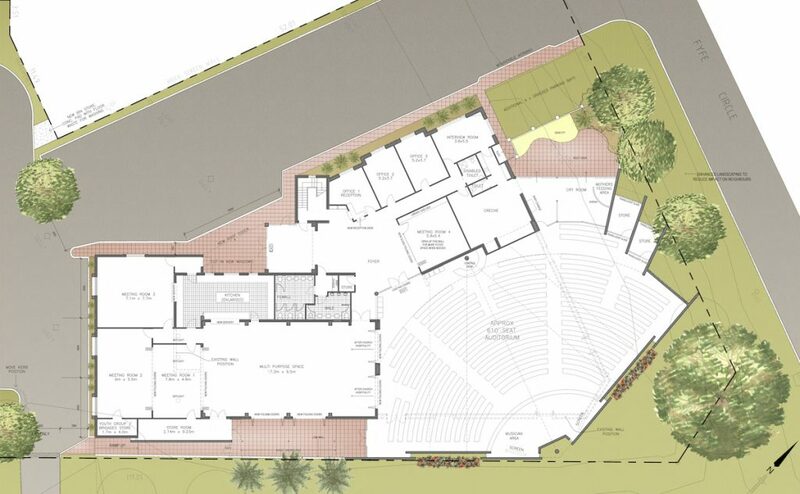 It is also envisioned that community activities could occur in this space. Being both Architects and Developers Motus was able to offer a holistic response to the brief. 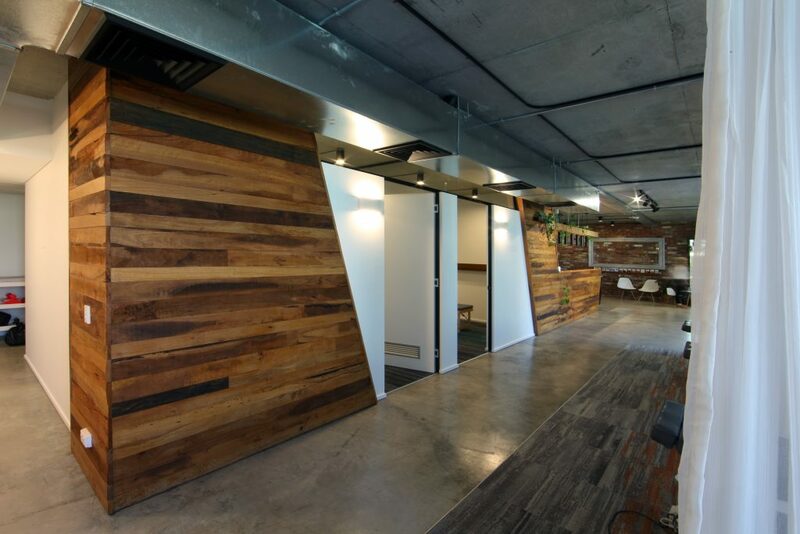 A major design feature is the striking, curved, rammed earth wall that encompasses the Café / Entry / Foyer zone. 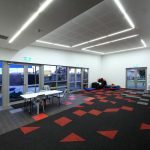 This leads to a linear polycarbonate walkway that connects the site from front to back to serve as the main circulation axis. 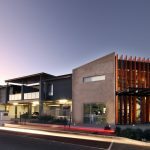 The Community Centre / Office / Auditorium building was designed in such a way to make it supremely flexible, to allow for different spatial configurations depending on the use. 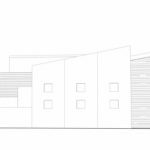 The result was an aesthetically playful composition that delineated the separate uses whilst still providing a rational and functional working centre to be embraced by the local community and individual tenants alike. 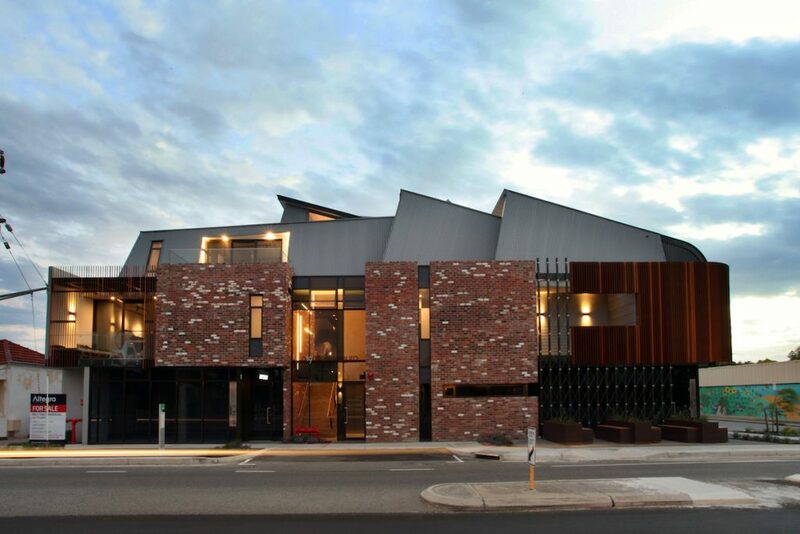 The brief was to provide a mixed use development comprising 1 single house, 2 apartments, and a café. 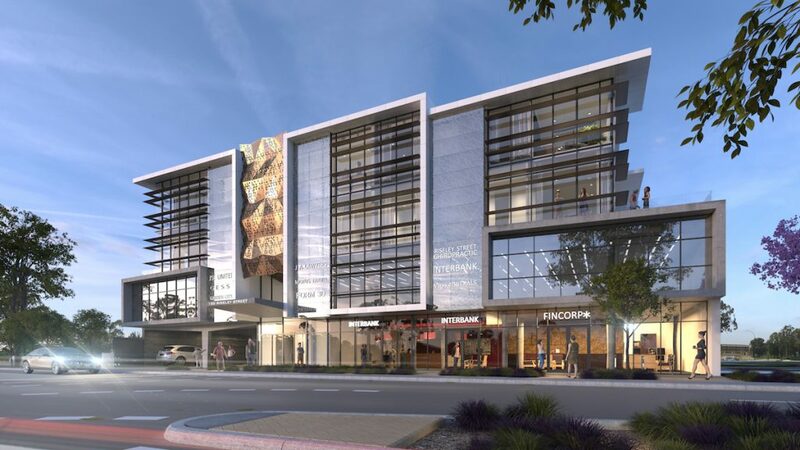 Being located in a prominent location along a busy Hwy presented a mixture of positive and negative attributes. 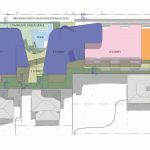 Traffic noise being one of major issues to resolve. 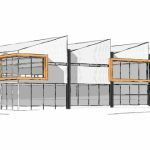 The design celebrates the café on the corner of the site by way of a large two storey curtain wall facade. 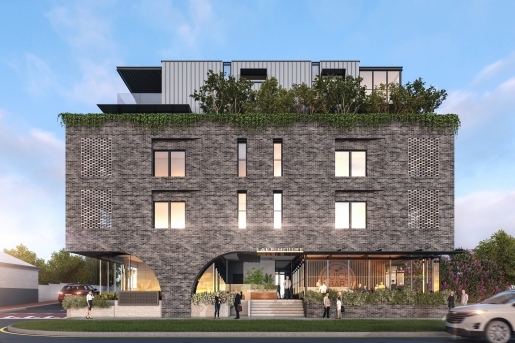 This brings interest and intrigue to the site and activates the streetscape, whilst also acting as buffer to the traffic noise for the residential component of the development beyond. 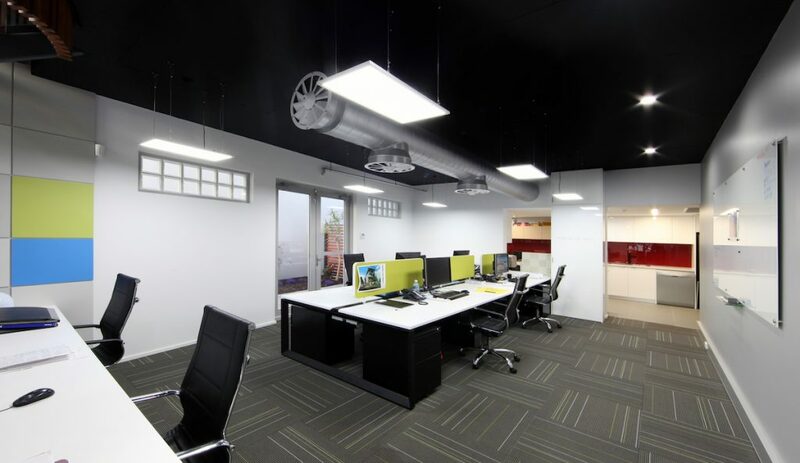 The client, based overseas, relied upon Motus to undertake not only design but project management as well. 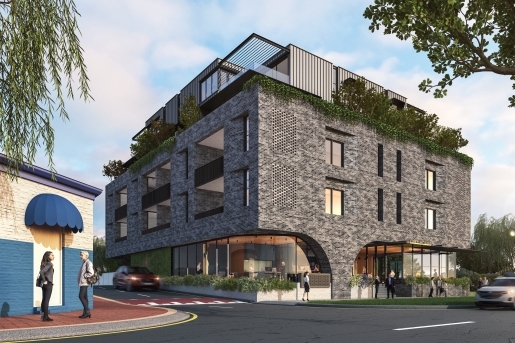 Motus successfully negotiated increases to the allowable building density and changes of use for the site which resulted in a significant scale of development on a small 600sqm site. 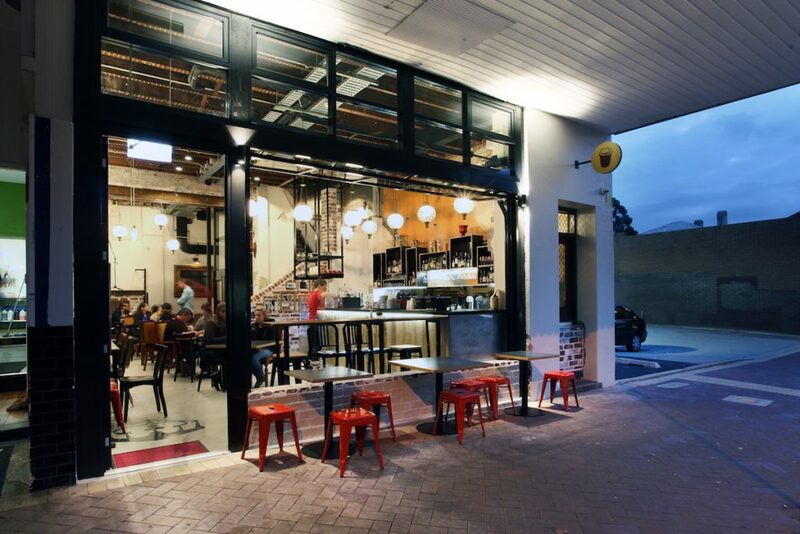 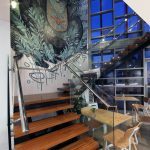 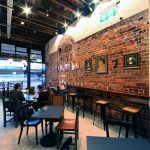 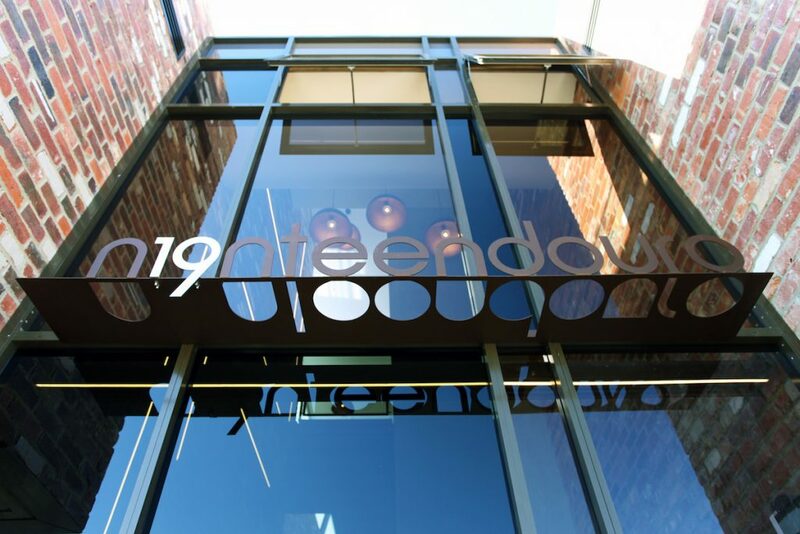 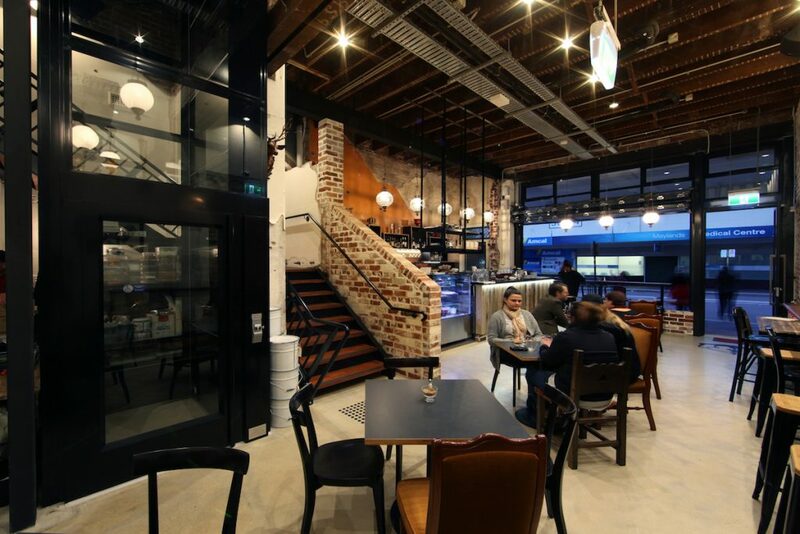 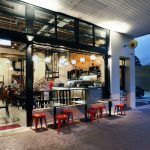 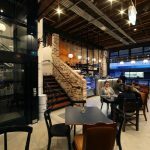 Located in the heart of Maylands on Eighth Ave, the brief was to design a space that celebrated the history and structure of the existing 90 year old building and could incorporate the local arts scene within the café/bar space. 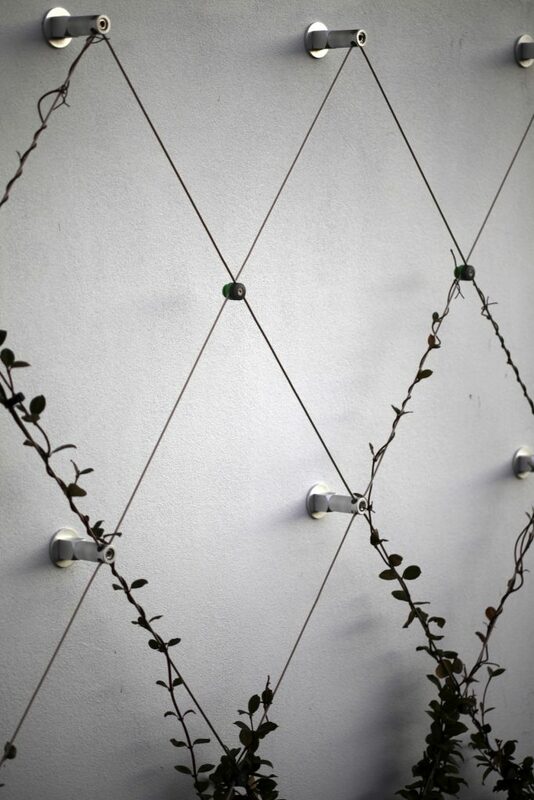 Recycling existing materials from site was fundamental to the aesthetics. 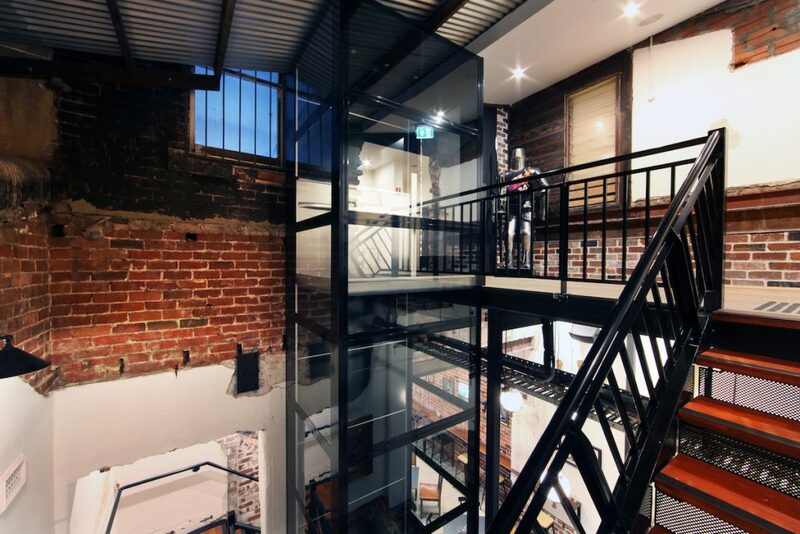 The existing internal volume was retained, with aging steel beams and timber structure above exposed and celebrated. 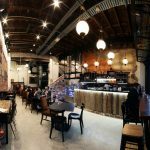 The existing building (originally a cinema) has now been revitalised and repurposed into a contemporary hospitality space. 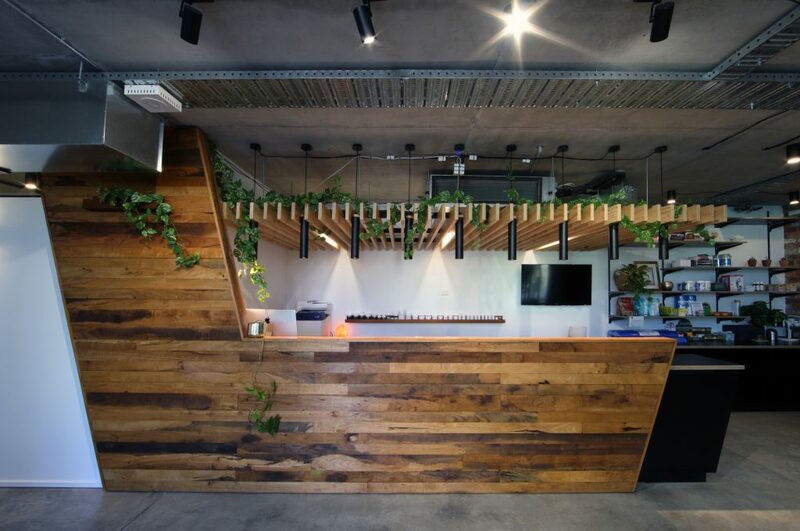 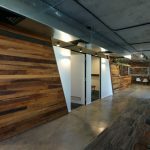 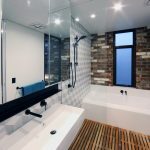 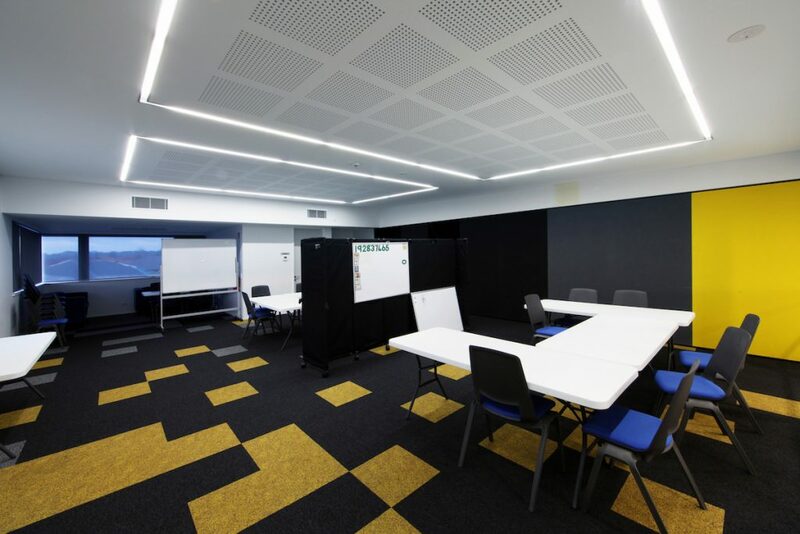 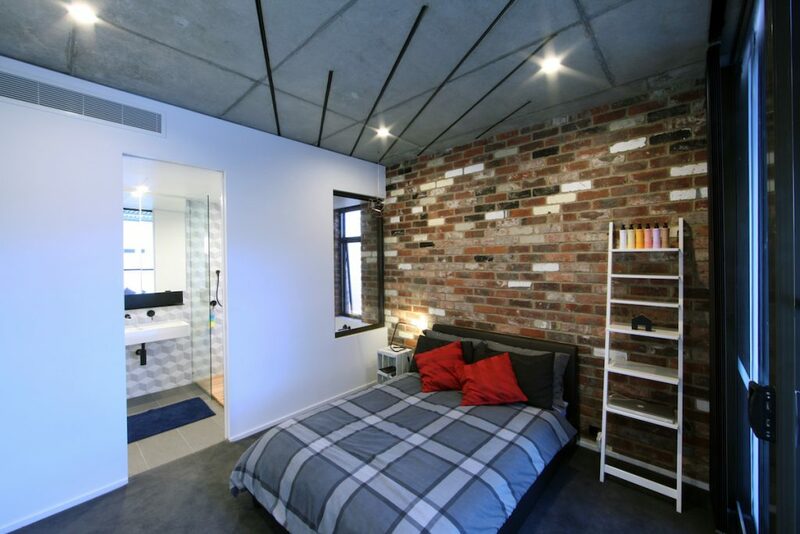 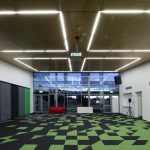 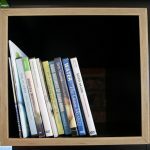 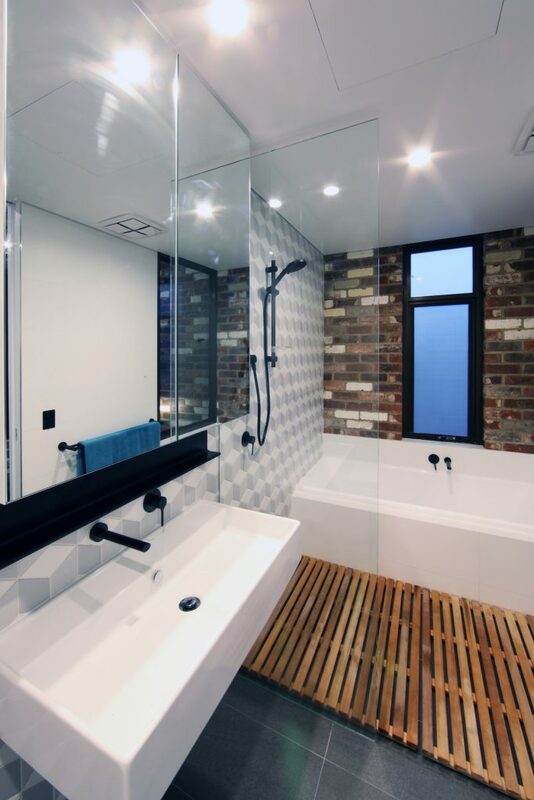 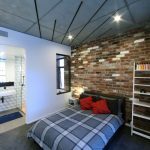 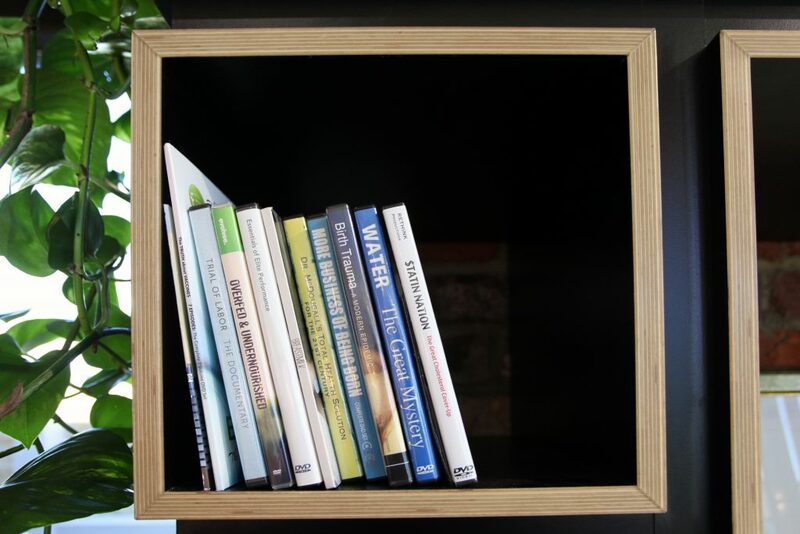 Motus used innovative design to upcycle and integrate as much of the original material as possible into the new fitout. 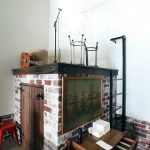 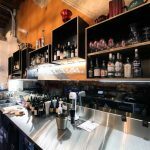 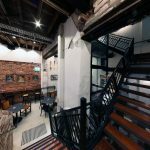 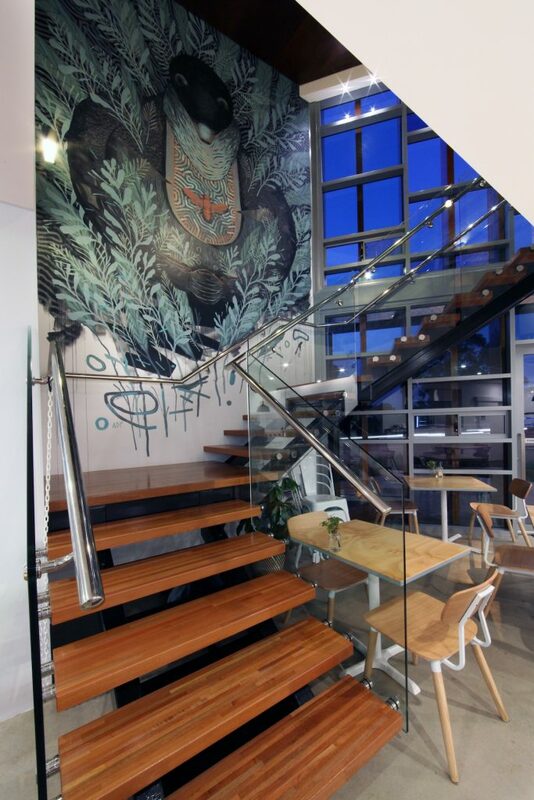 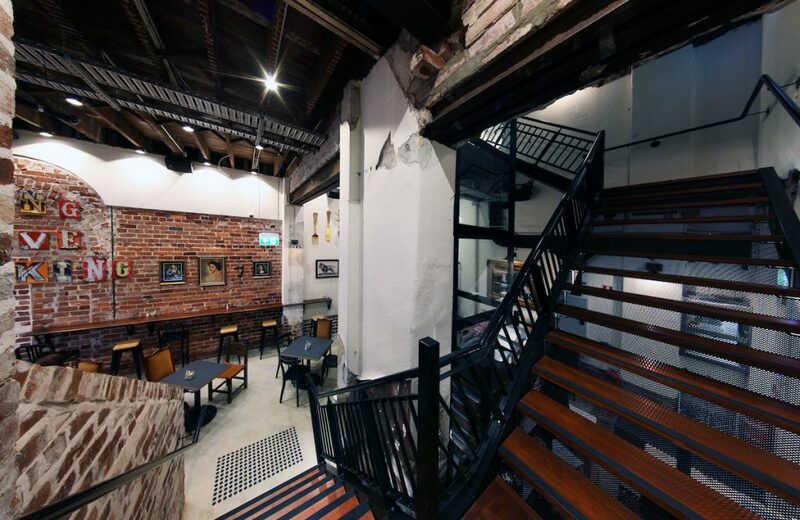 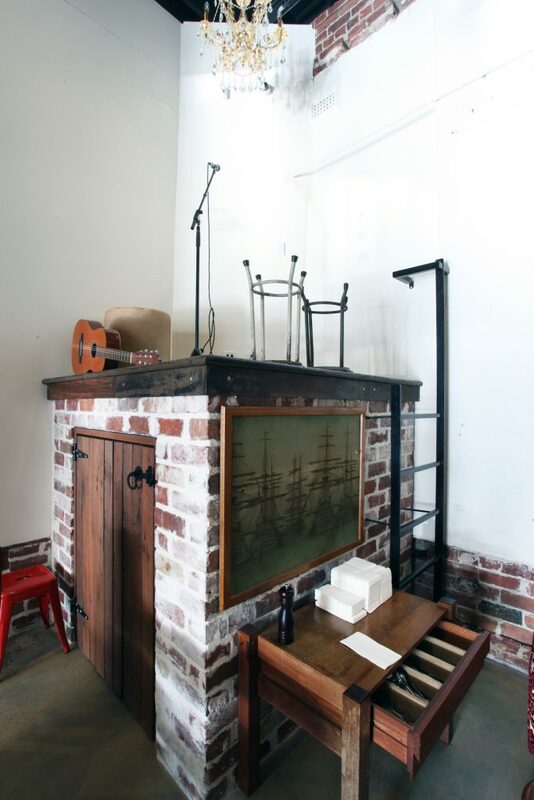 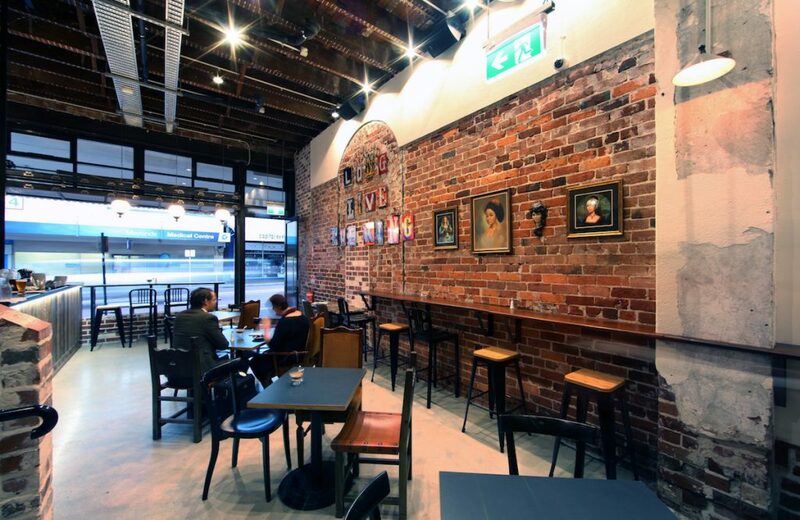 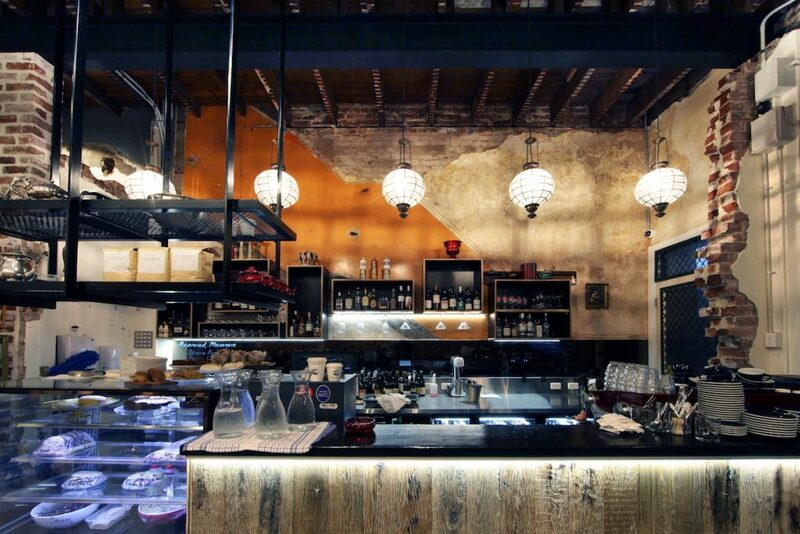 The original timber staircase was reused for benchtops and stage flooring, and the painted profile of the original stair remains on the wall behind the bar. 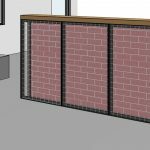 Demolished face bricks were re-used for the stage, bar, storage and dividing walls. 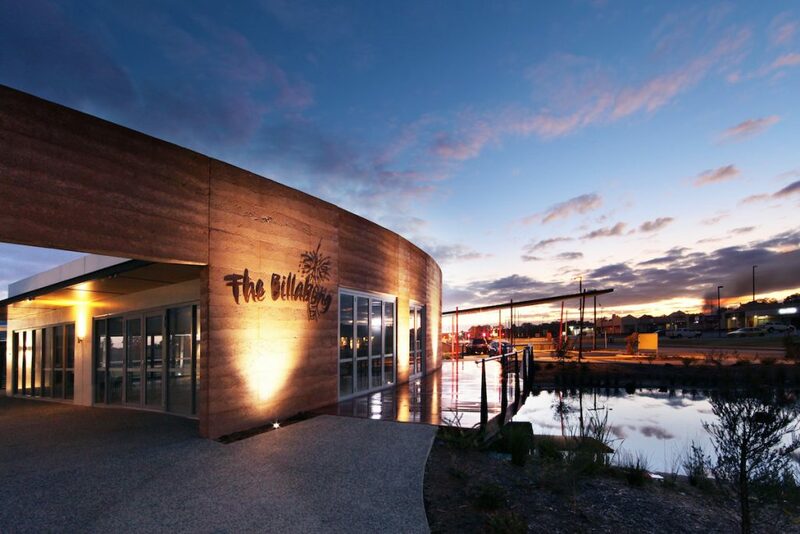 The Regatta Apartments site is in a landmark development precinct, Rivervale Springs, in Western Australia. 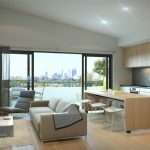 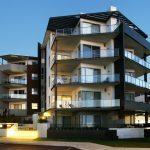 Ideally located, the site is set between the Perth CBD, the Airport, and walking distance to the Burswood peninsula and Swan River (less than 100m away). 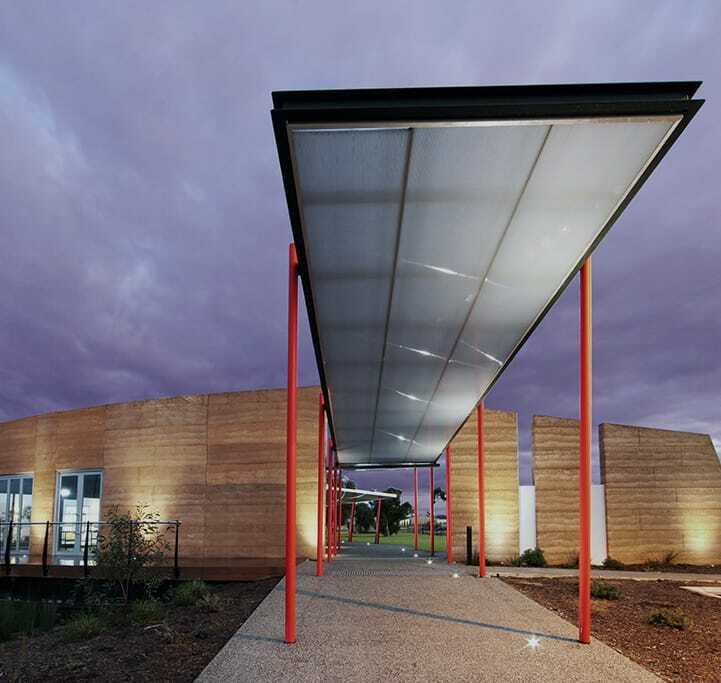 Sustainable design features have been incorporated into the building, and include solar panels to power all common areas of the building. 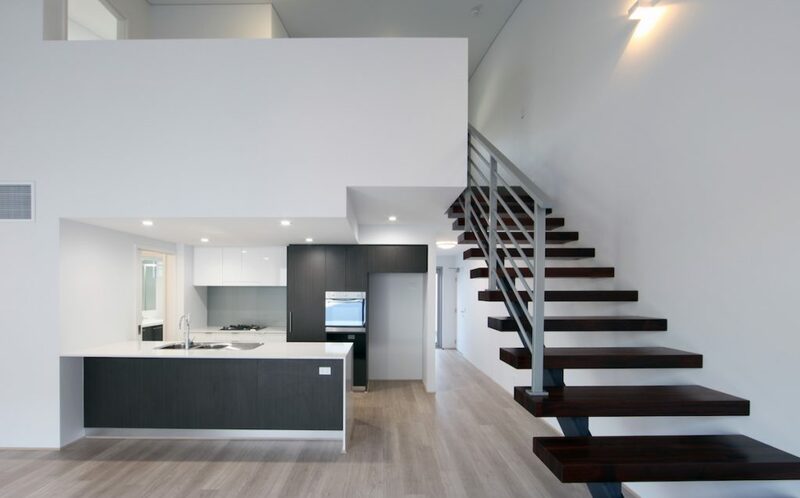 Careful consideration was also given to each layout, which resulted in spacious apartments filled with light and naturally ventilated spaces. 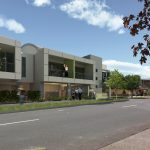 Motus successfully engaged with the City of Belmont’s planning team during the design stage, to ensure the site was developed to its full potential. 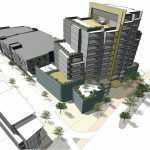 The result was a 5 storey building with plot ratio of 1.9, which represented an increase of over 300% on the local planning scheme limits. 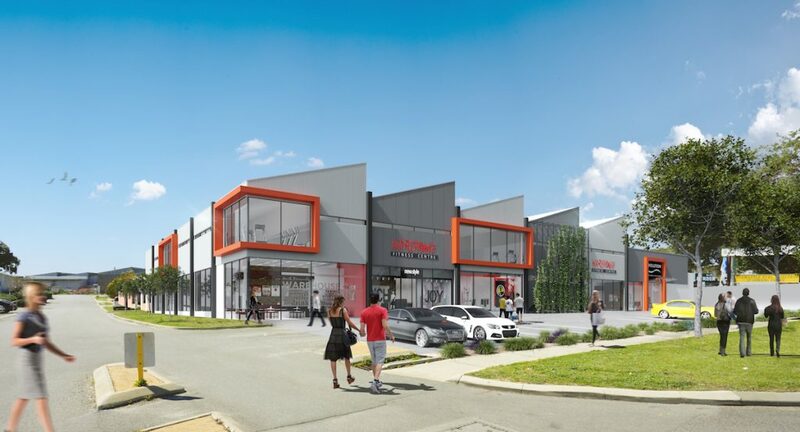 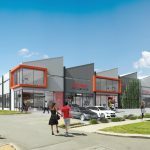 Located opposite the popular Galleria Shopping Centre in the Perth inner suburb of Morley, the client saw the opportunity to develop the site into a mixture of retail, showrooms, office space and a café. 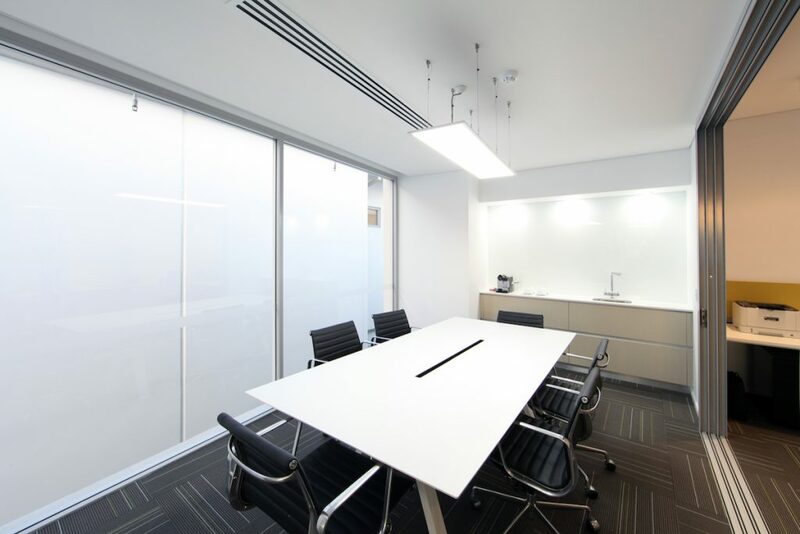 The brief was focused around flexibility, with the intent for each tenancy to have the capacity to evolve and be used for any desired use. 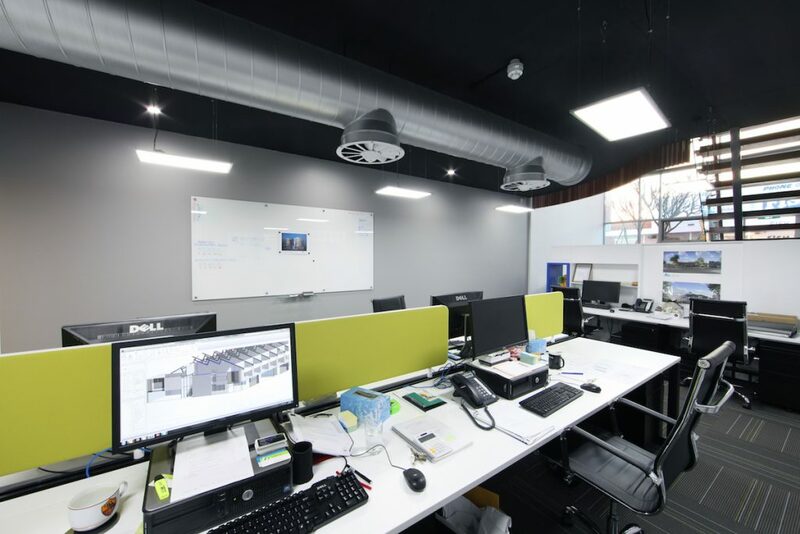 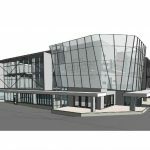 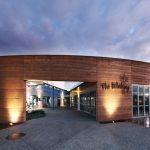 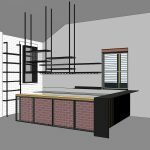 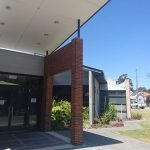 The client also intended to hold the building as a long term investment and had a desire to minimise the general on-going running costs of the building. 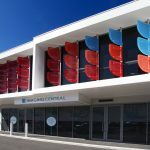 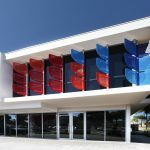 Motus designed and implemented an extensive series of coloured solar-shading fins along the front façade. 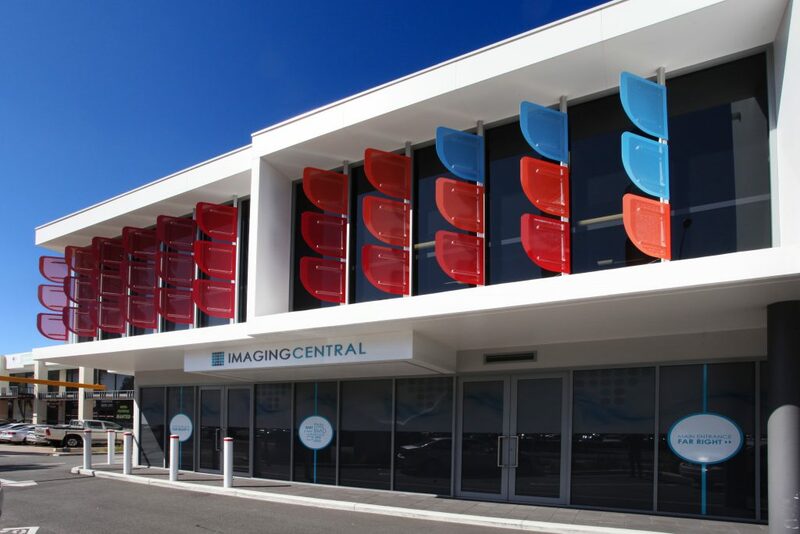 The fins helped to maintain cross ventilation, improve natural light, and minimise the material maintenance of the design. 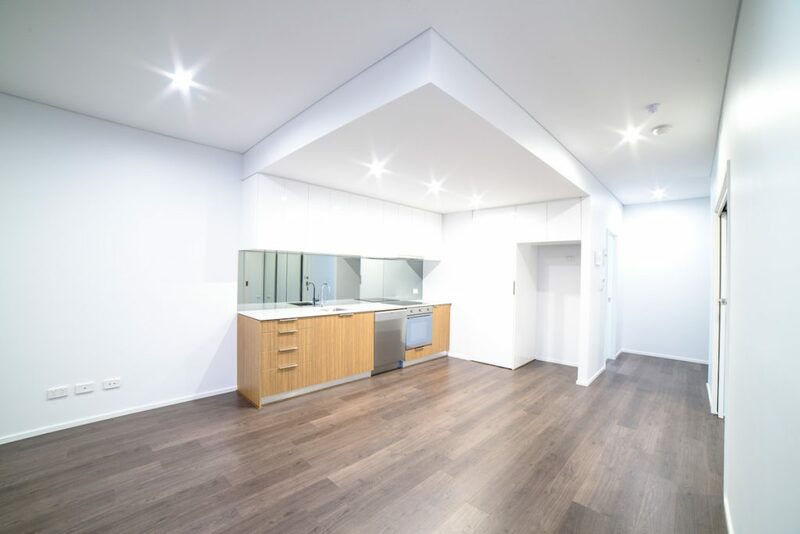 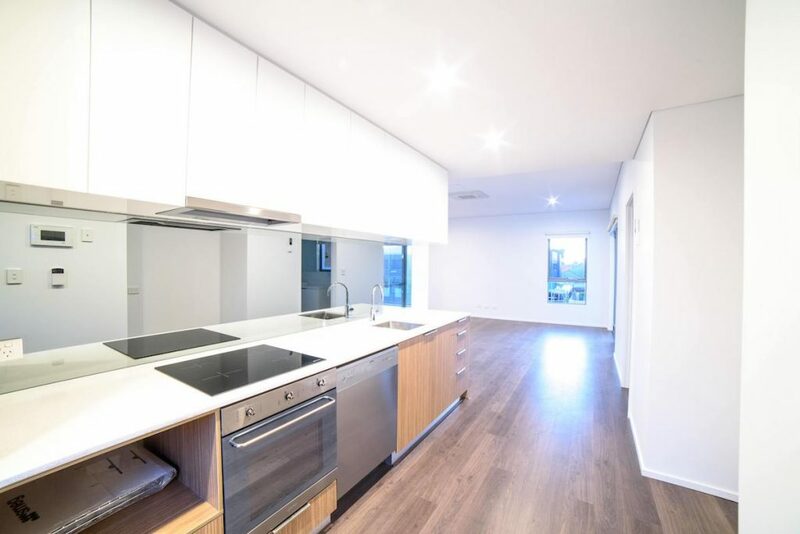 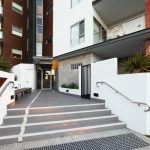 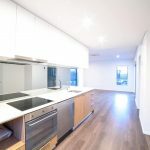 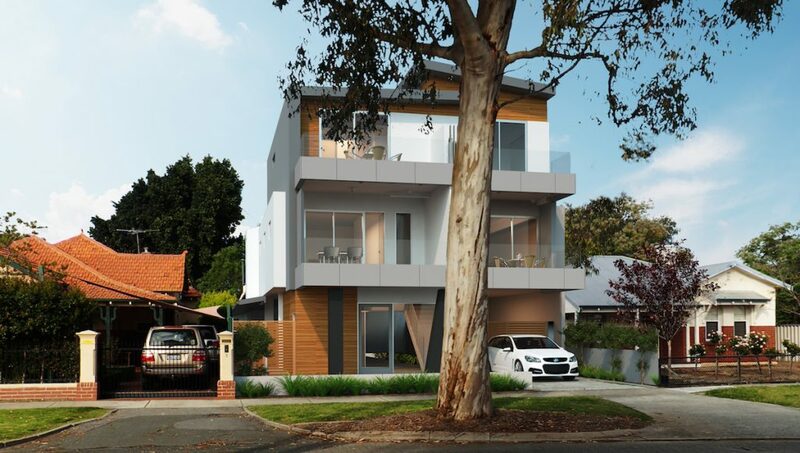 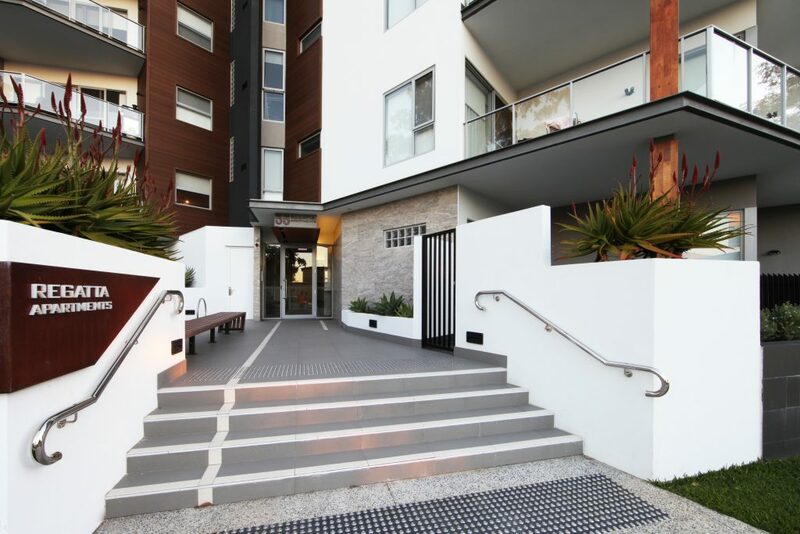 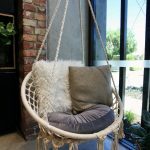 Located on a street corner in Como, across from a large well established green space, Elysium is a fine example of modern inner city living that celebrates the varied uses within the local community. 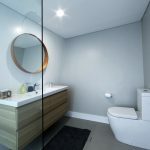 The design ensures that there is distinct division between residential and commercial spaces, ensuring the privacy between uses is protected. 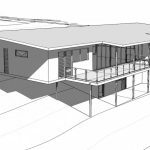 The design utilises curved roofs to house an additional mezzanine floor. 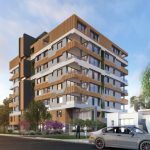 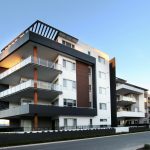 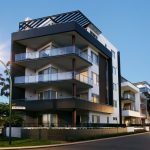 The development was completed on time and on budget, with all apartments successfully sold off the plan and commercial suites held by the investor syndicate. 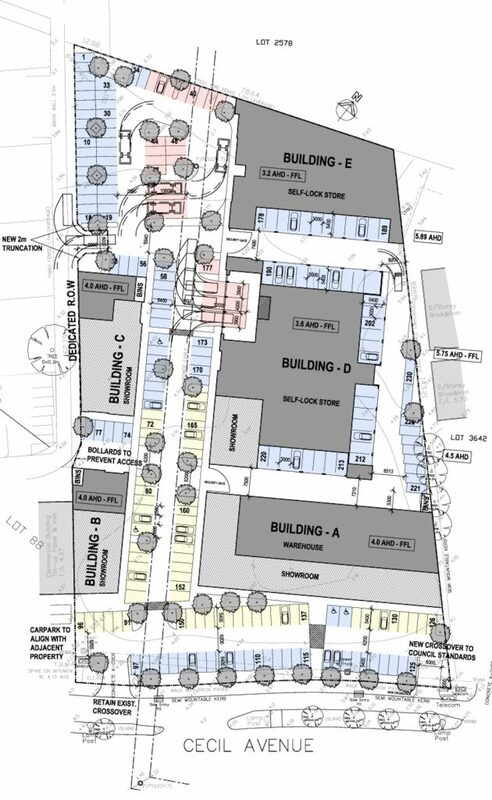 The unusual zoning of the site allowed for greatly increased density should the applicant propose a development that ‘integrated’ with the existing commercial buildings within this zone. 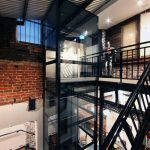 Motus identified potential in the rare site, and through clever design and planning, was able to achieve an additional mezzanine floor within the strict local height limit. 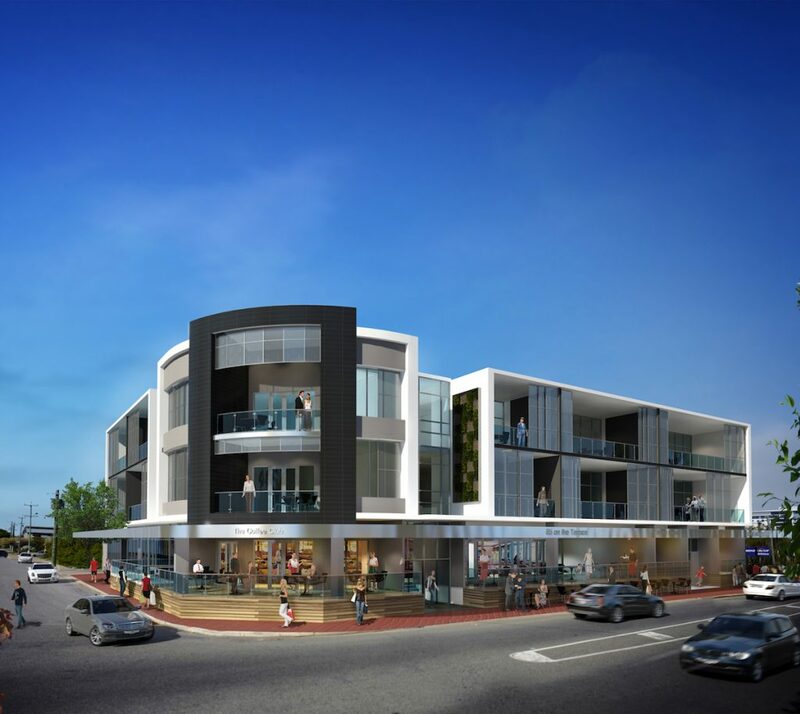 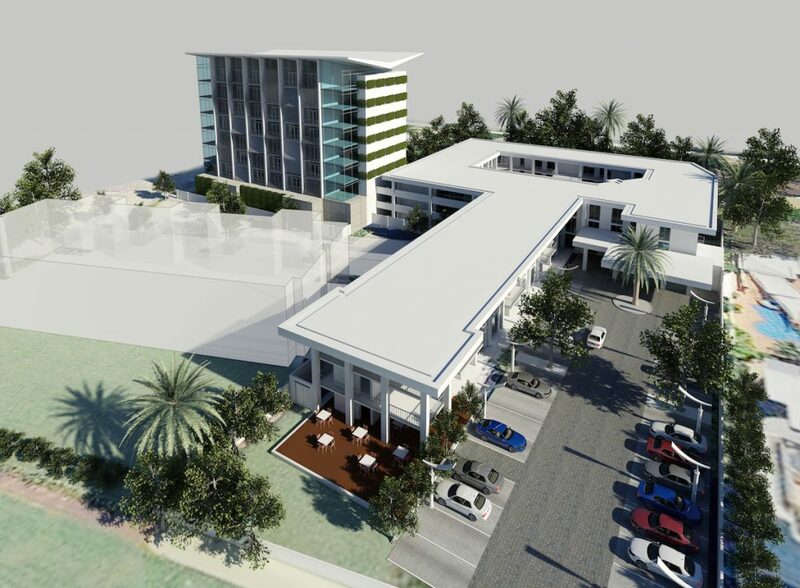 The Motus office is located in a mixed used development on the corner of Ley Street and Downey Drive in Como. 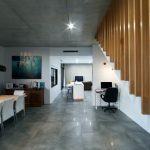 The brief was to design a space that demonstrated the firm’s motto ‘Evocative Spaces – Inspired Solutions’ within the angular, two level mezzanine office space. 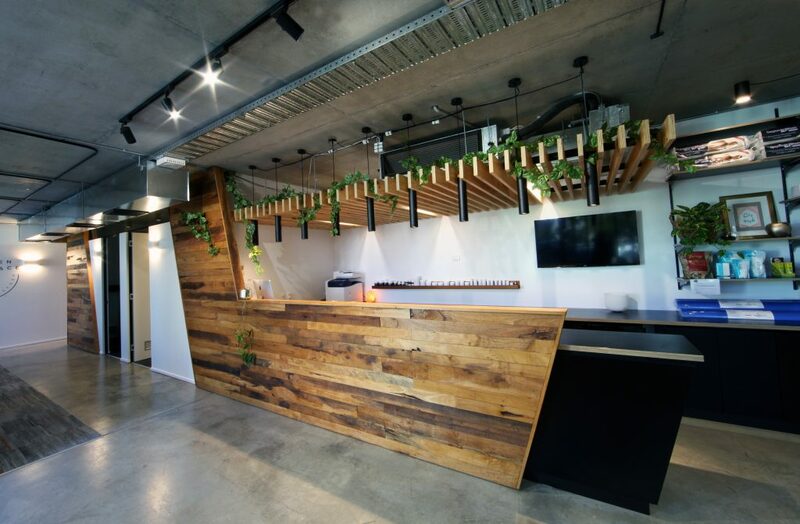 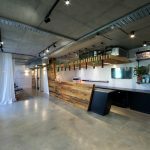 This space employed minimalist industrial materials, natural timbers, modern furnishings with splashes of colour that aligned with the company branding to successfully achieve this. 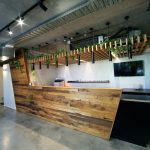 This design was intended to represent the energetic and youthful nature of the ‘Office’, while in parallel providing a refined work environment appropriate for a professional firm seeking to expand into larger and more complex work. 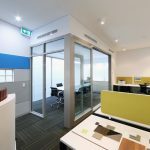 This project explores how the fit-out of a space can represent a corporate identity, from its flare and flamboyance to aspiration and professionalism. 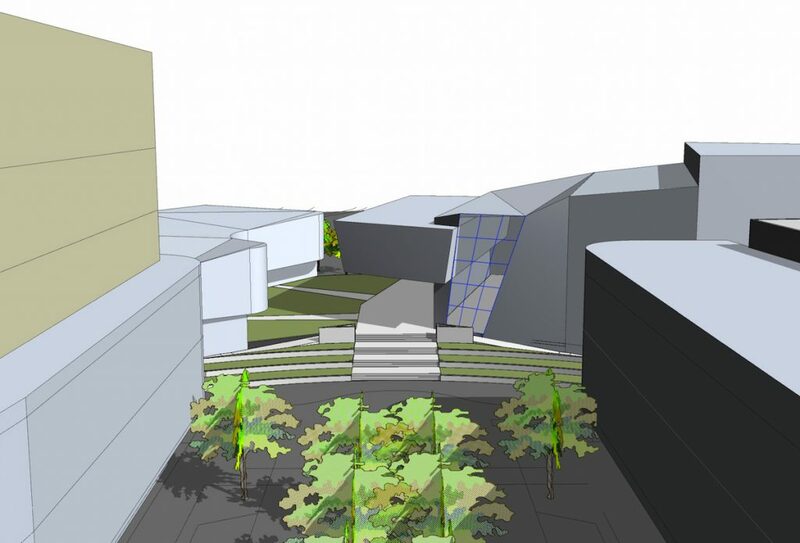 The project site neighbours Motus’ Elysium project in Como. 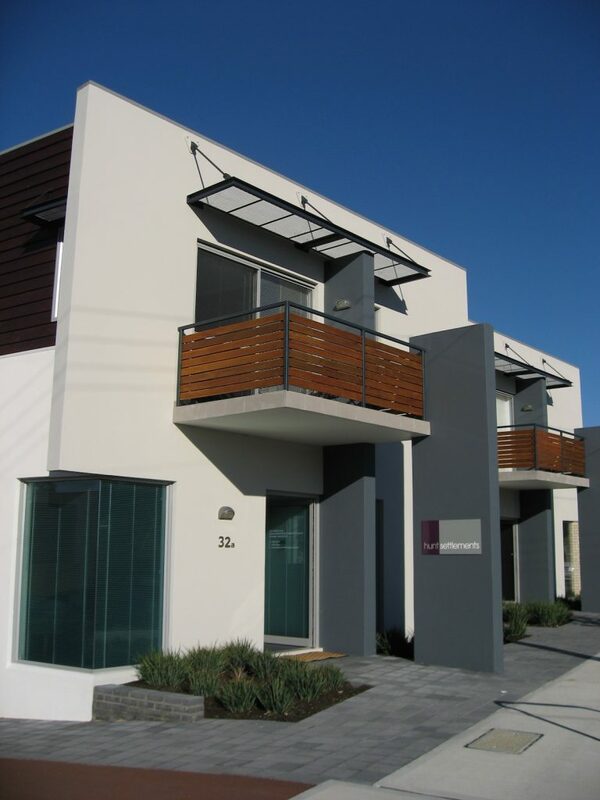 This mixed use project was part of a wider urban renewal initiative by the state housing authority. 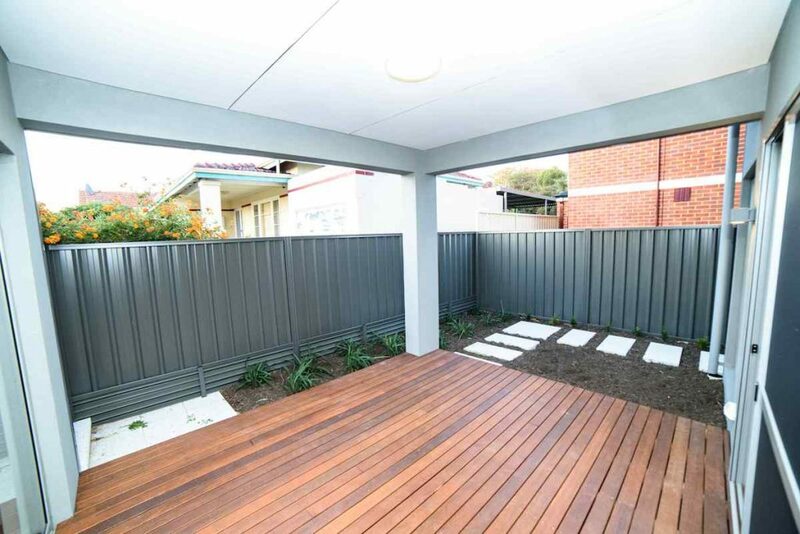 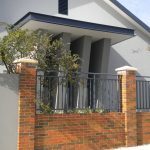 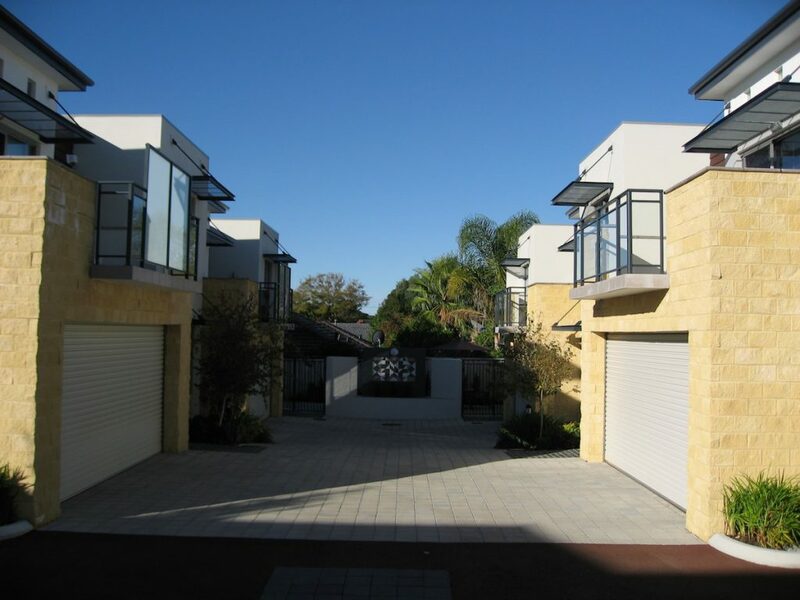 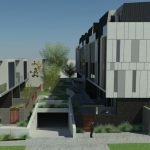 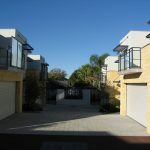 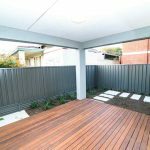 This infill project is part of a larger town centre rejuvenation that is occurring throughout the inner suburbs of Perth. 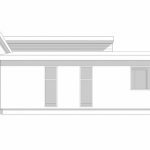 The original design included six apartments and one ground level commercial suite in the place of an existing standalone house on site. 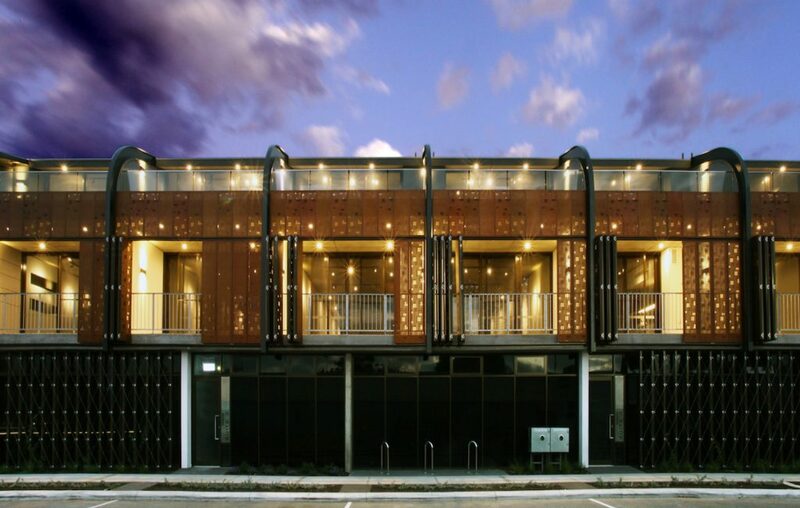 The building façade was designed to replicate and tie into the Elysium development, visually extending the box motif around the corner. 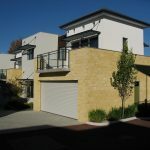 During documentation, the scope was amended to nine apartments at the request of the client. 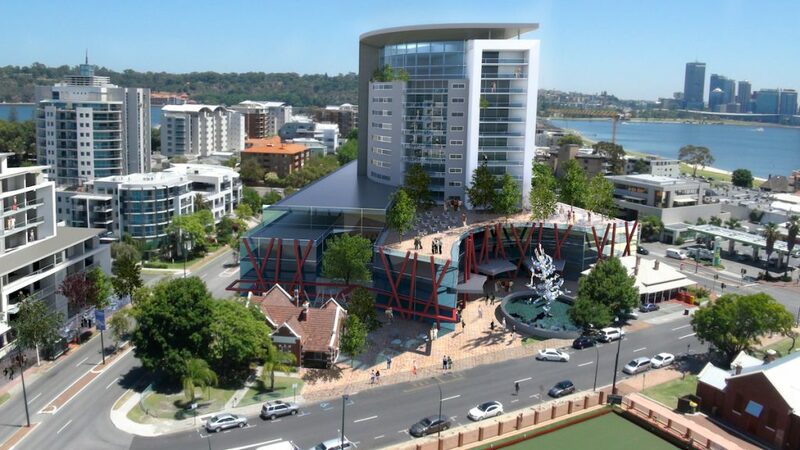 Based on precedent, Motus were able to negotiate with council to achieve approval for higher density to match Elysium. 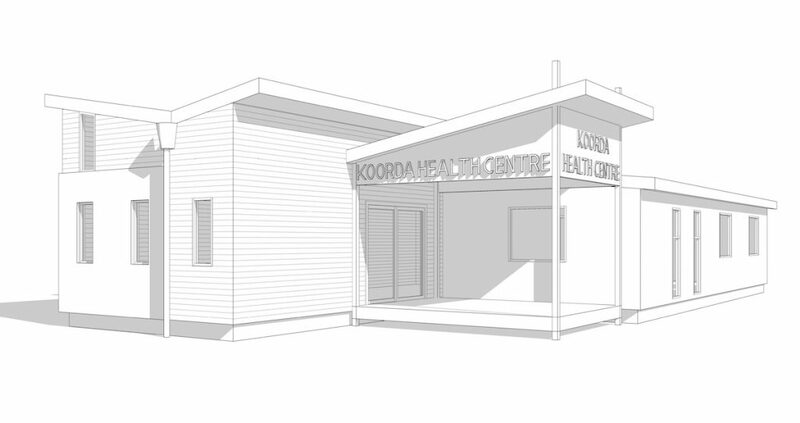 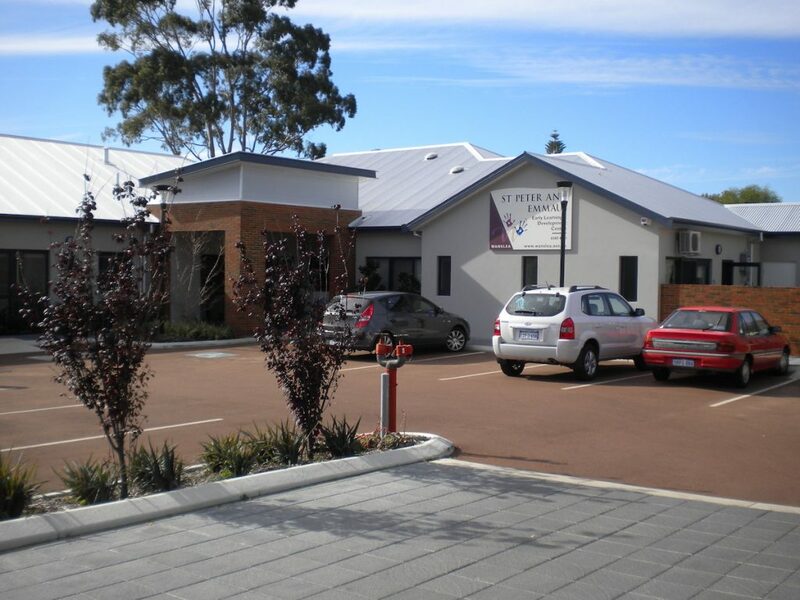 Located 3.5 hours north east of Perth, Koorda is a small country town in the wheat belt region of WA. 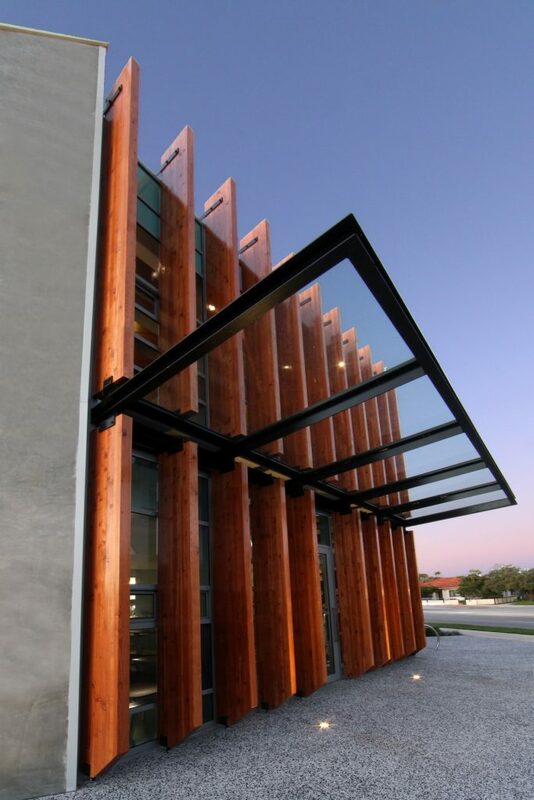 The harsh and dry climate in comparison to that of Perth meant that a different type of building was required. 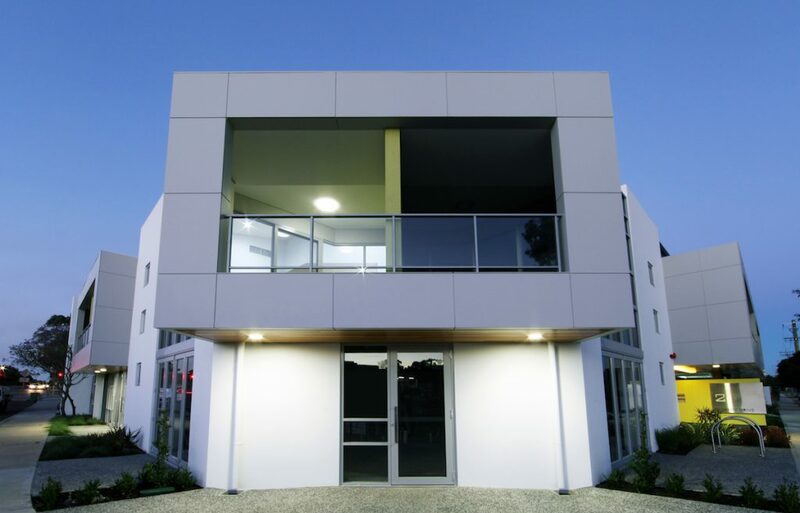 Motus provided a modular transportable building which suited the building’s remote location. 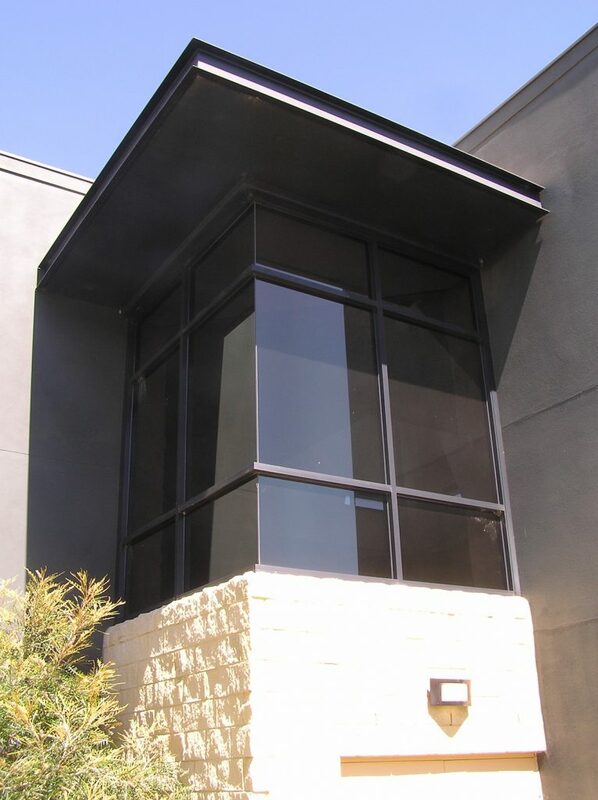 Passive solar design was incorporated throughout and in particular cross ventilation to all modules. 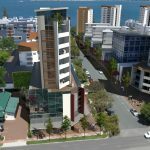 The landmark site, located on the Mandurah Waterfront, provided significant obstacles such as requirements to build above the 50-year flood level, sedimentary soils that complicated the structural capacity of the site, strict setbacks, and a requirement to activate the street level. 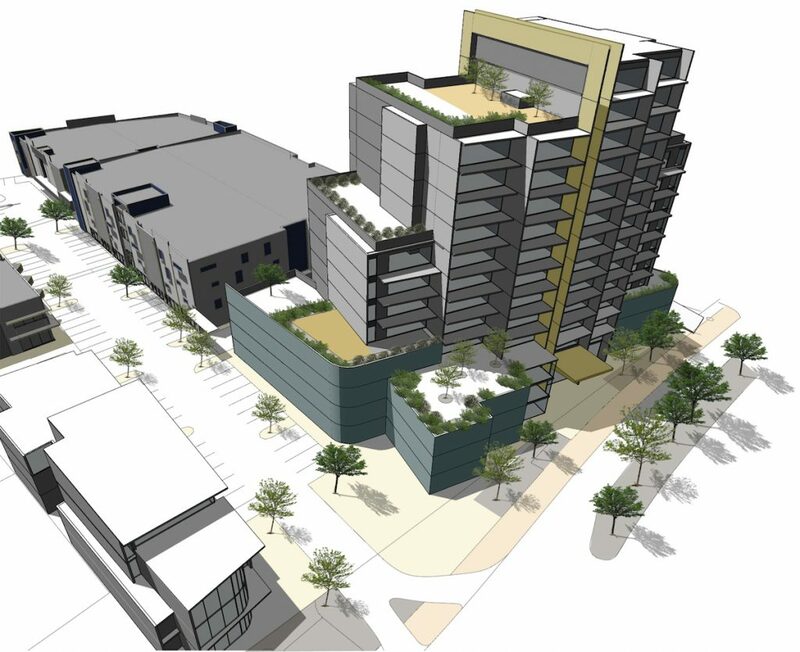 Zoning for the site allowed nine floors, however the economic climate presented restrictions to the development. 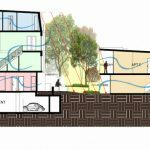 As a solution, Motus suggested the project be developed in multiple stages and occupied progressively over a number of years. 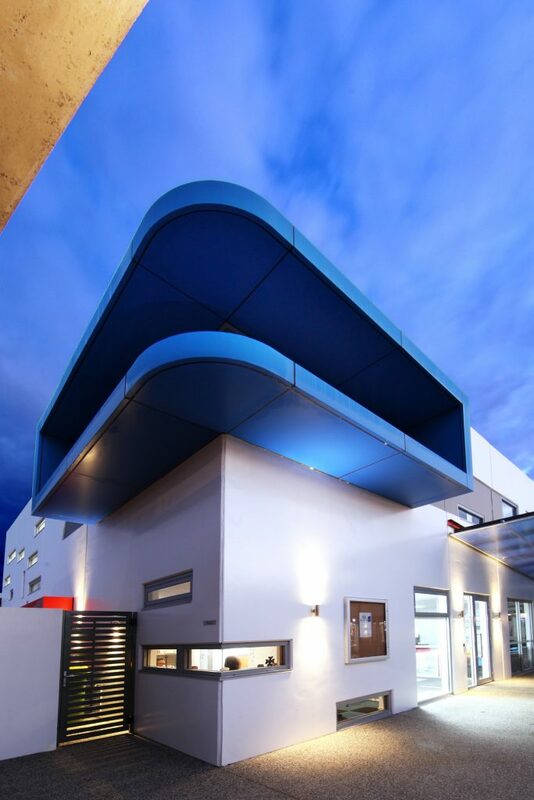 Motus took advantage of the corner lot by creating an architectural statement at the corner of the building. 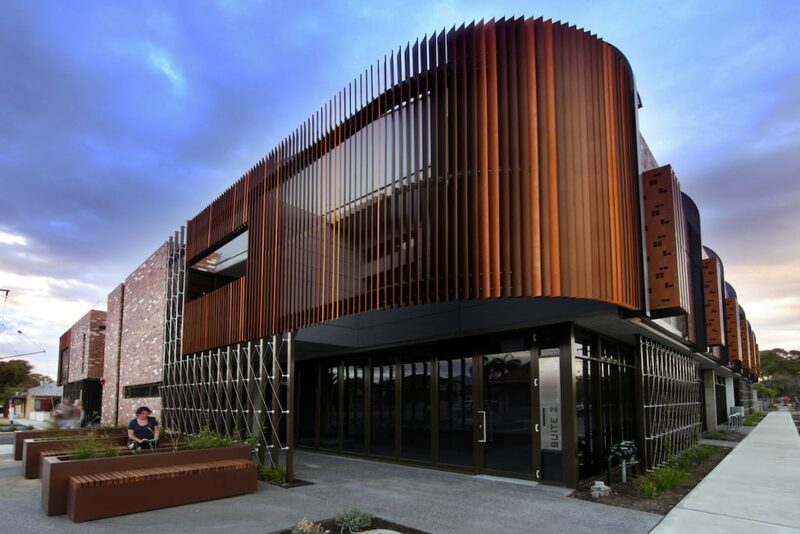 The perforated screens create interest and intrigue to the building beyond. 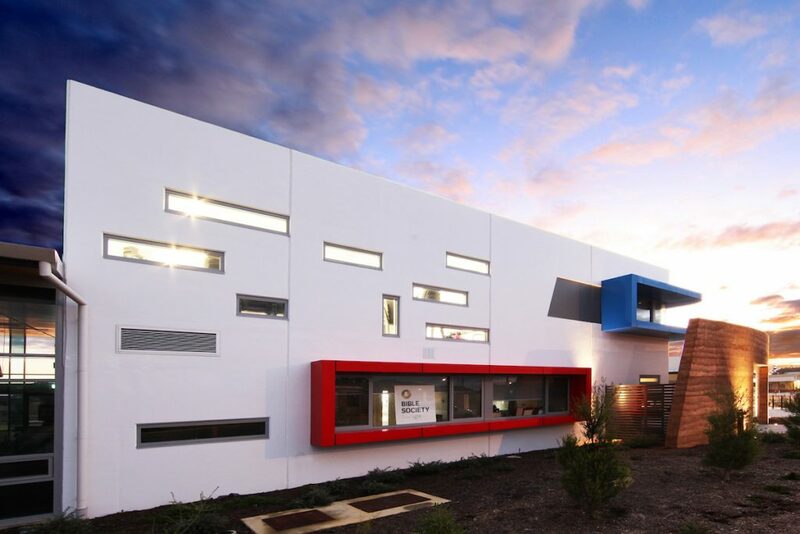 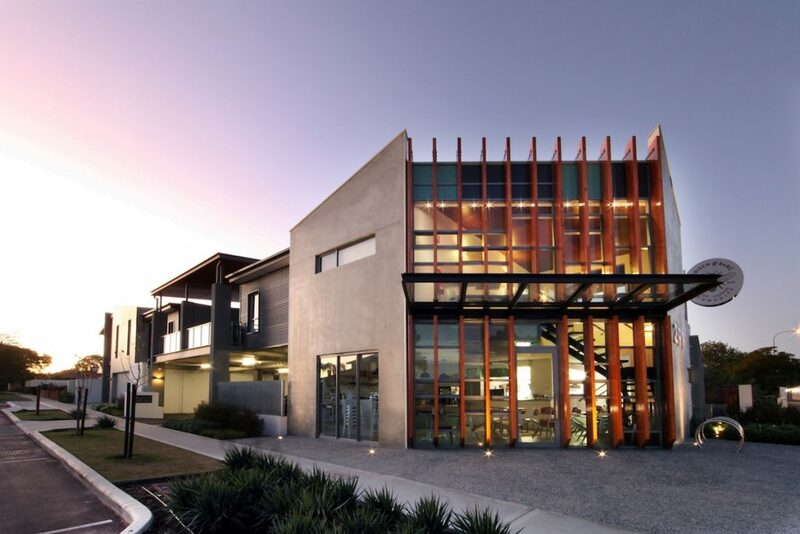 This Church and Community Centre was developed on the back of a tight budget. 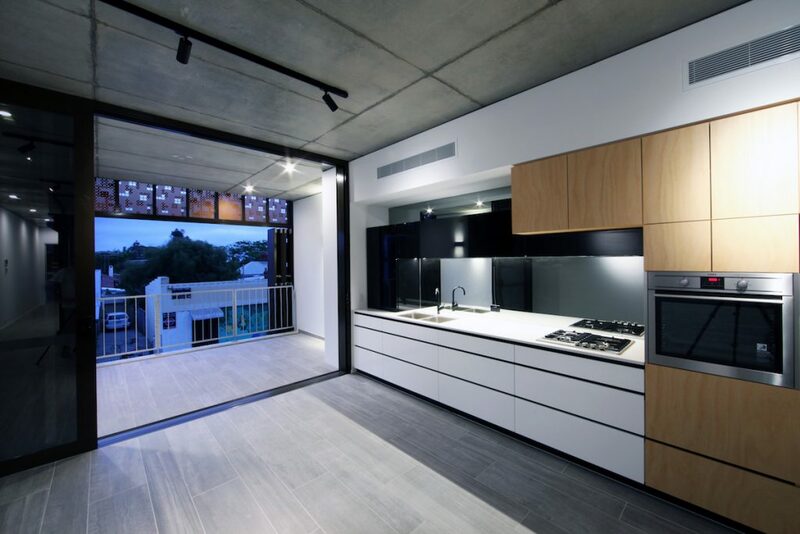 Every aspect of the design was critiqued for its efficiency and functionality. 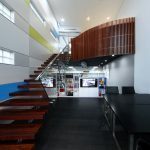 Motus is quite proud to have achieved such a successful outcome given these constraints. 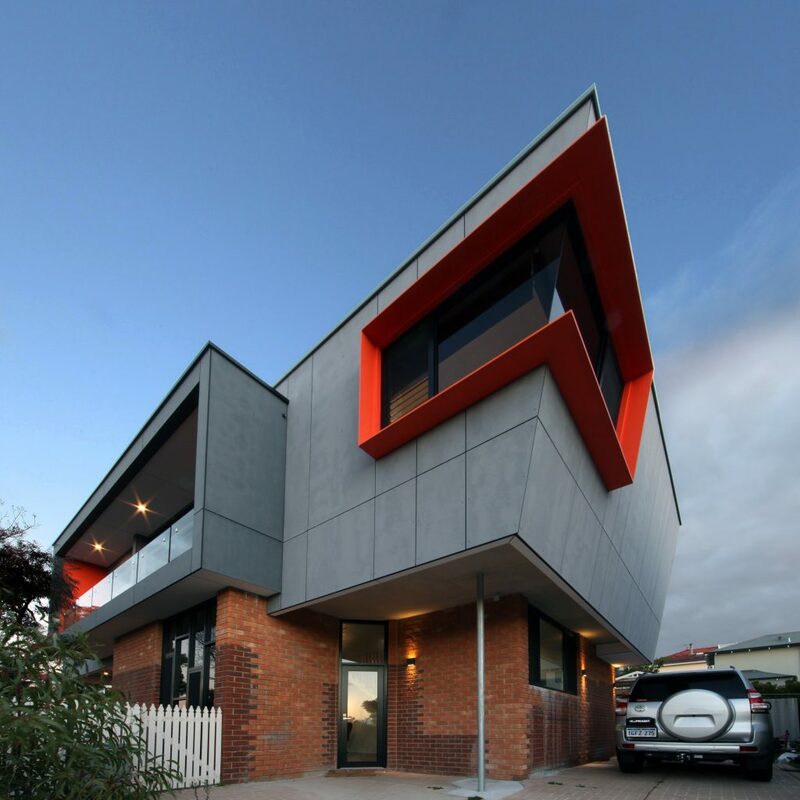 The treatment of the building facades was subject to multiple revisions and the end result is quite profound. 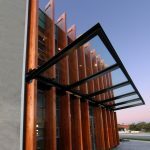 Glass blocks were used to provide a subtle reference to the centres religious ties and steel shading awnings became bold architectural elements. 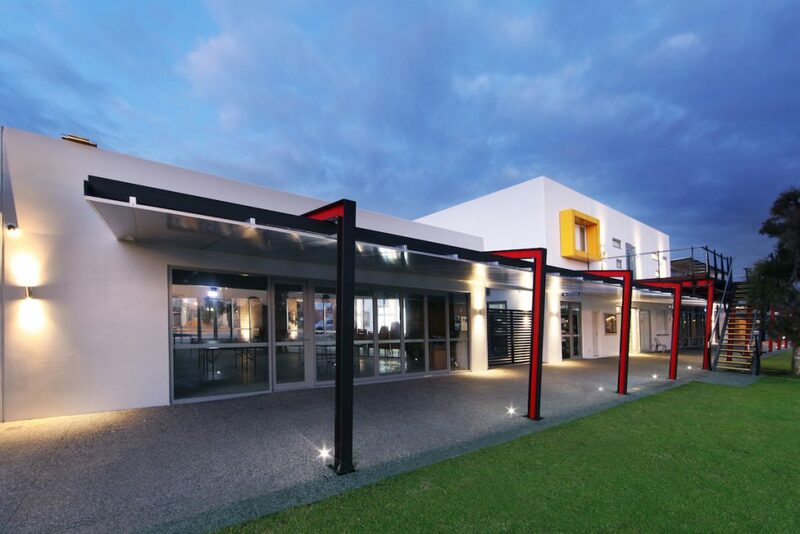 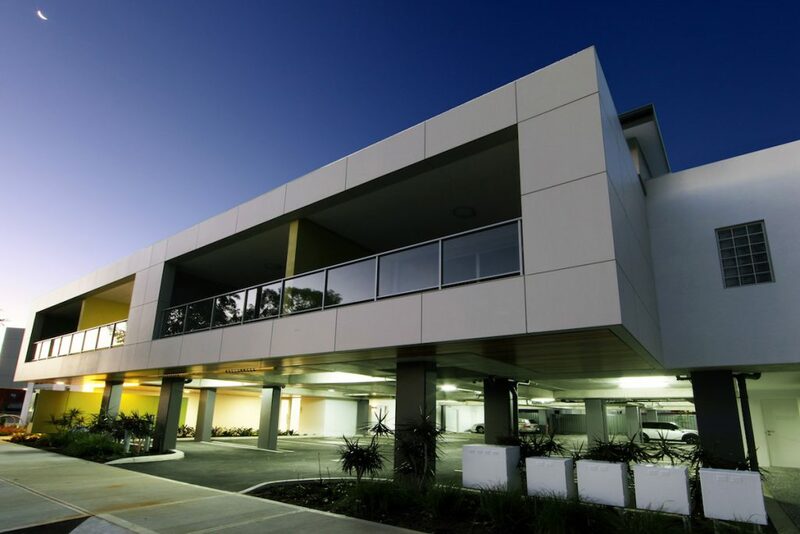 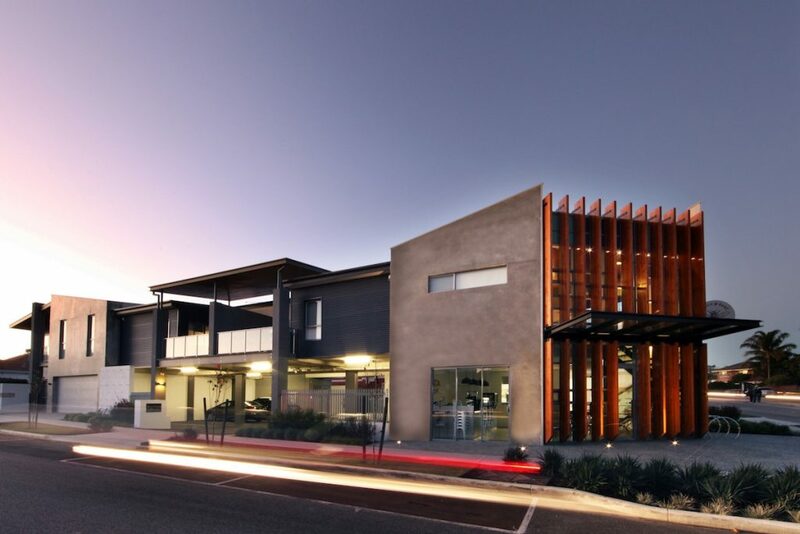 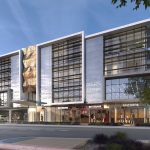 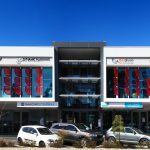 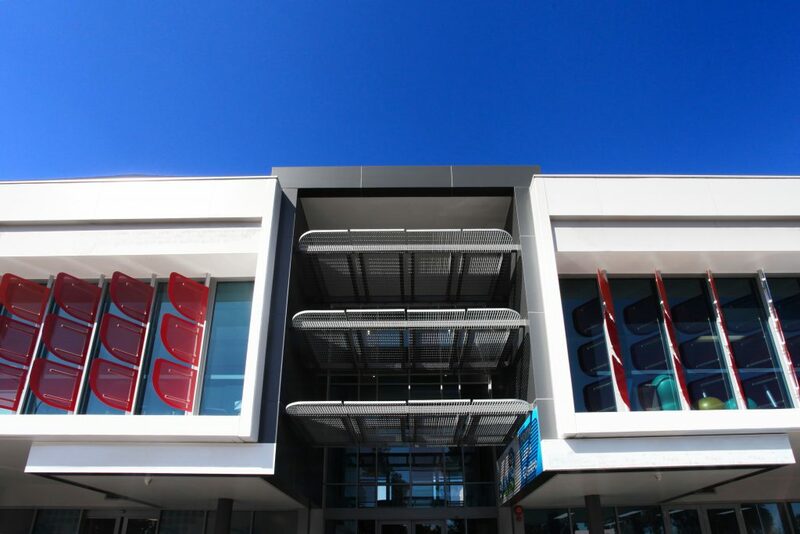 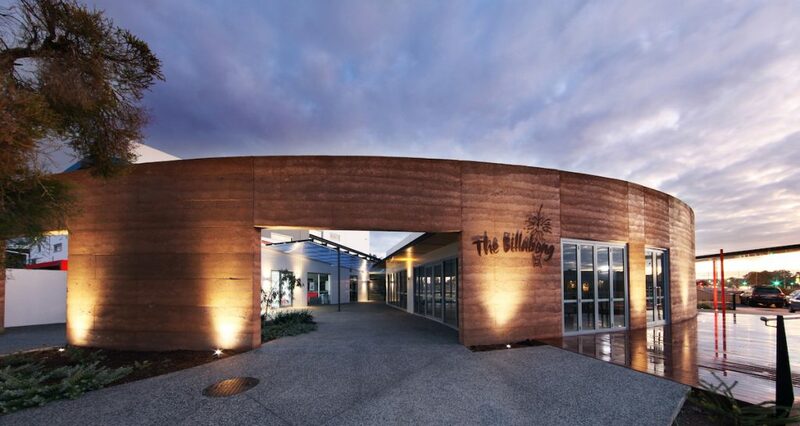 This building looked to expand the thriving Galleria Precinct within the Perth suburb of Morley. 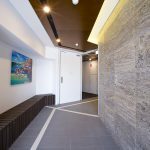 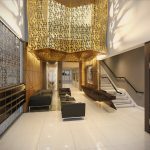 Located on a busy arterial road the project was centred about a grand entrance that opened into a shared reception and waiting gallery. 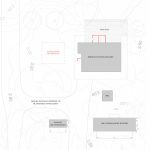 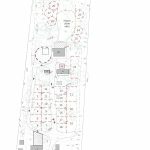 The intent of this layout was to promote small business within the area, with small tenancy sizes that utilise a shared reception service. 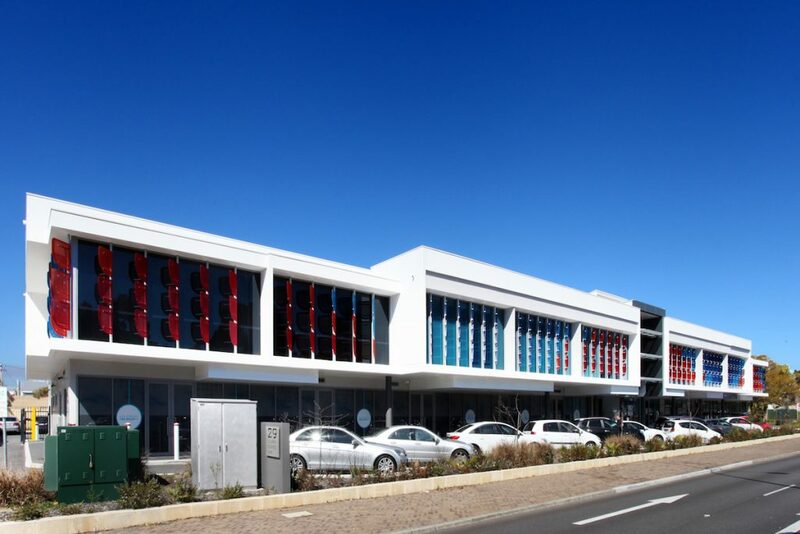 At ground level retail / showrooms achieve primary street front location. 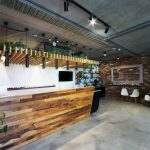 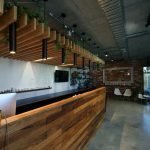 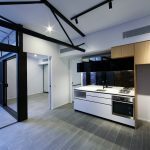 Aesthetically the building commands attention from the street, which is an essential quality for small businesses to be recognised, and aids in improving rental demand and values. 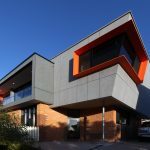 The most striking quality of this private residence is its rare location backing onto the sand dunes of Burns Beach in Perth’s northern suburbs. 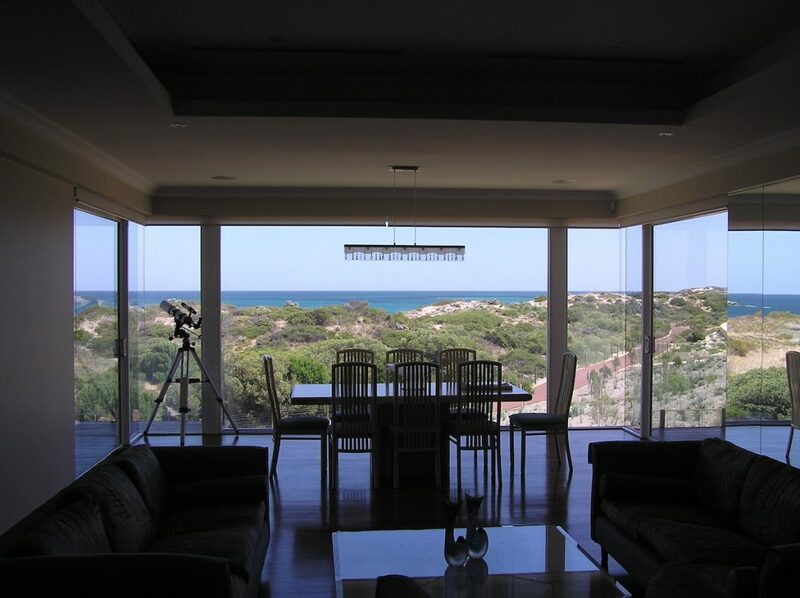 Panoramic views of the dunes and ocean were achieved from all floors and accentuated within the home using frameless glazing from the living spaces. 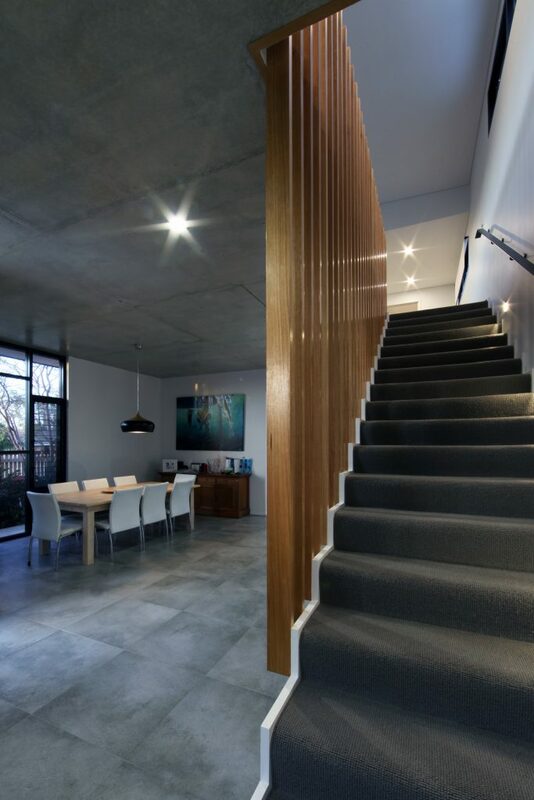 Natural materials also helped to provide a more relaxed aesthetic, suited to the beachside lifestyle of the client – a builder Motus had worked with previously. 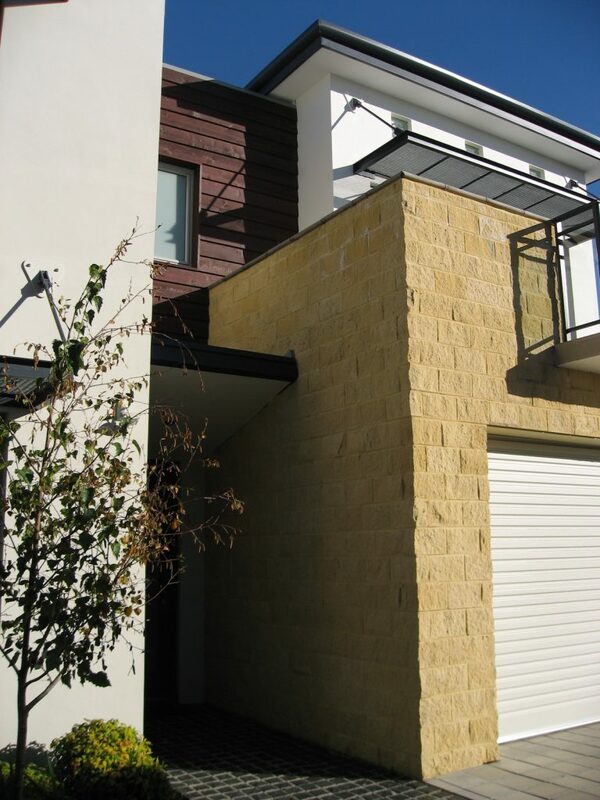 The brief was to retain an existing single storey fibro house and build around and above the existing structure. 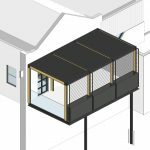 Motus opted to utilize exposed superstructure as the supporting elements, which allowed minimal disruption to the original home. 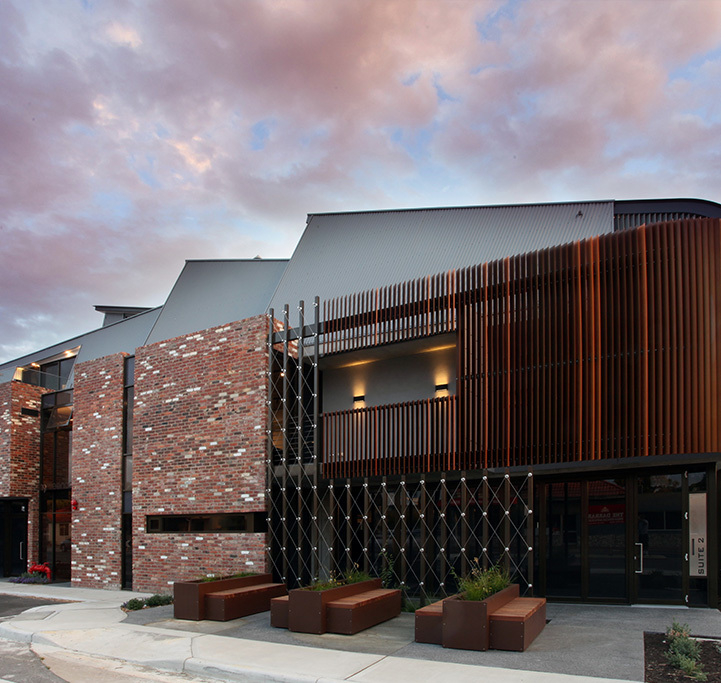 The Client approached Motus with a brief to maximize the capabilities of this inner suburban site in Como. 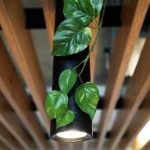 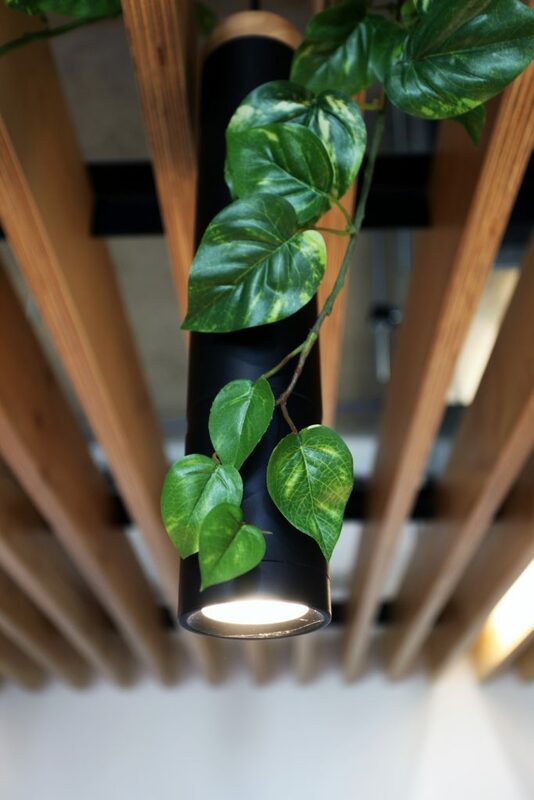 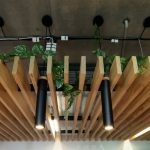 The project exhibits some architectural flare within the developer driven brief, while exploring the use of natural materials for a commercial application. 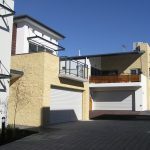 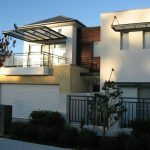 This helped bring a residential scale to the project and soften its integration with the neighbouring residential properties. 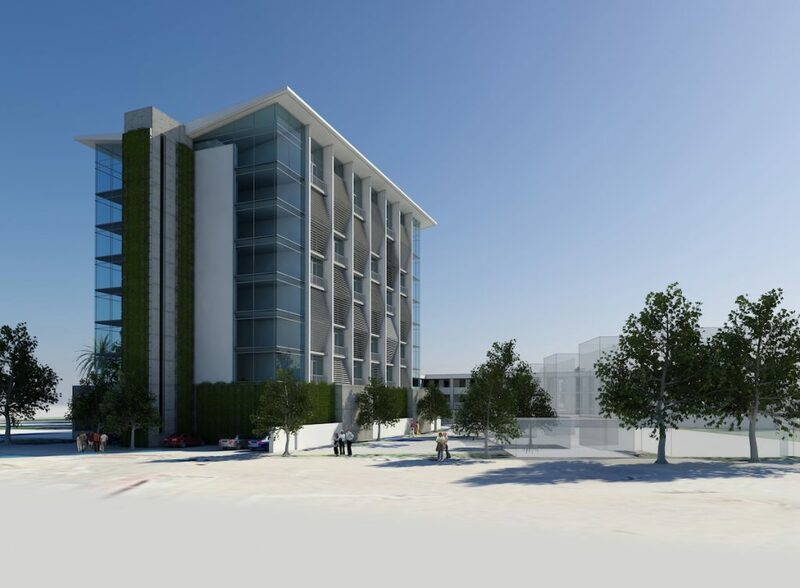 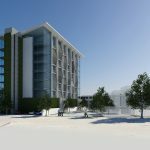 Motus is proud to have built lasting relationships with the local authorities that in this case allowed Motus to negotiate bonus development on the site beyond the local planning scheme. 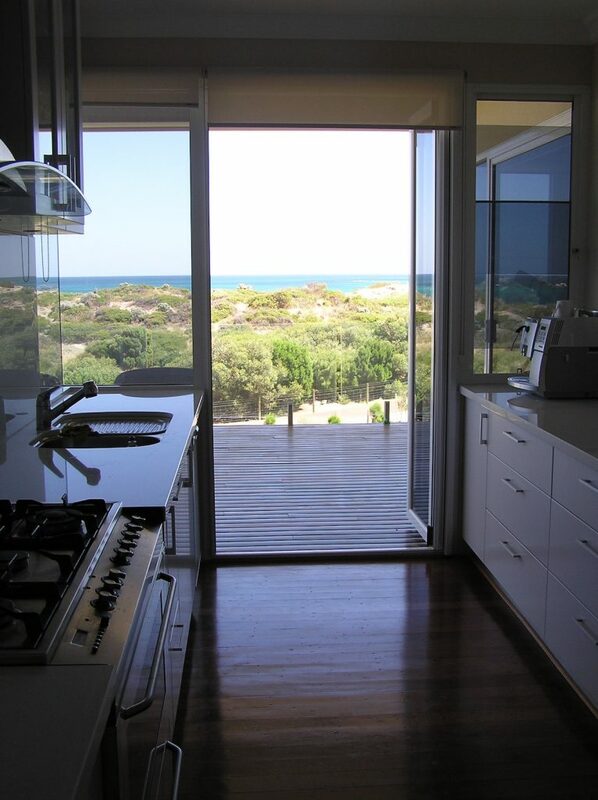 Located 5 hours south of Perth, Denmark is a coastal town well known for its beaches and flora & fauna. 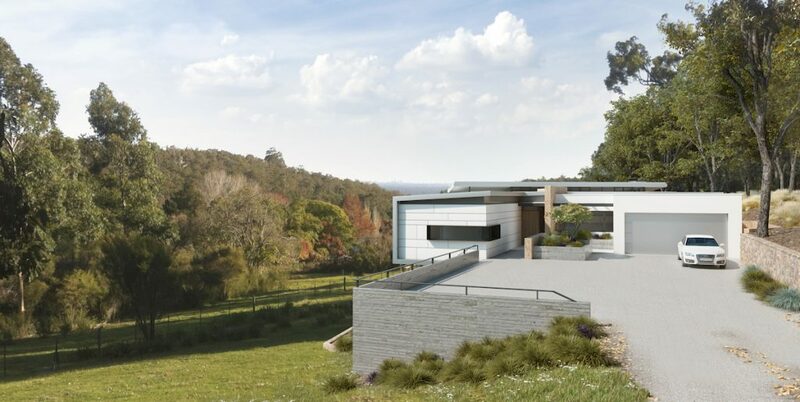 The client has a large bush block with sloping photography and wanted to capture the views back down the valley towards the state forest. 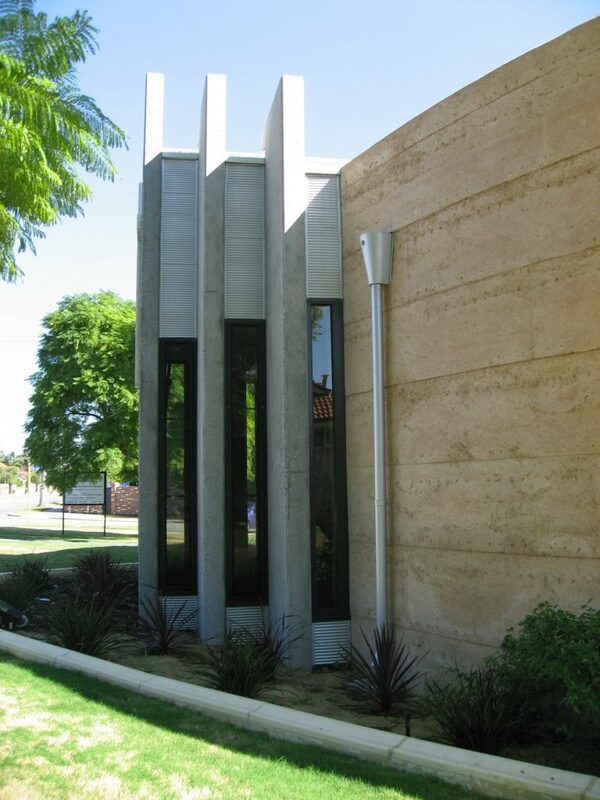 The entire building is elevated on column supports making its impact on the land minimal. 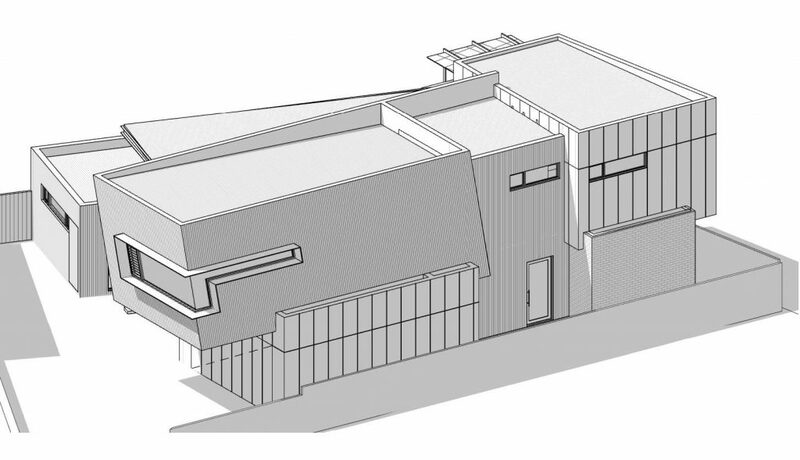 The roof pitch follows that of the land contours allowing the building to be inconspicuous to its surroundings. 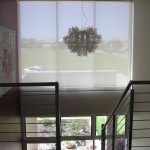 Passive solar principles were applied throughout the building. 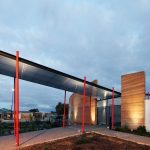 A recent initiative among many local inner city councils is to revitalise local suburban precincts with increased density, transport hubs, community facilities, and public open space. 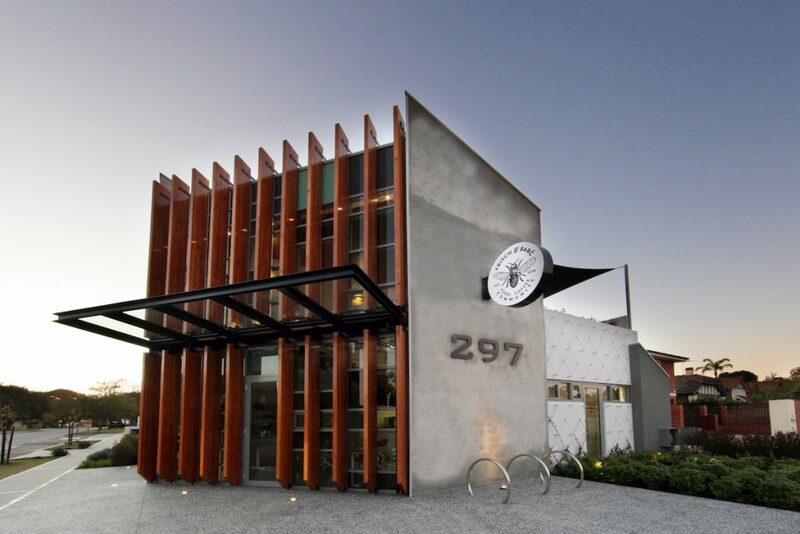 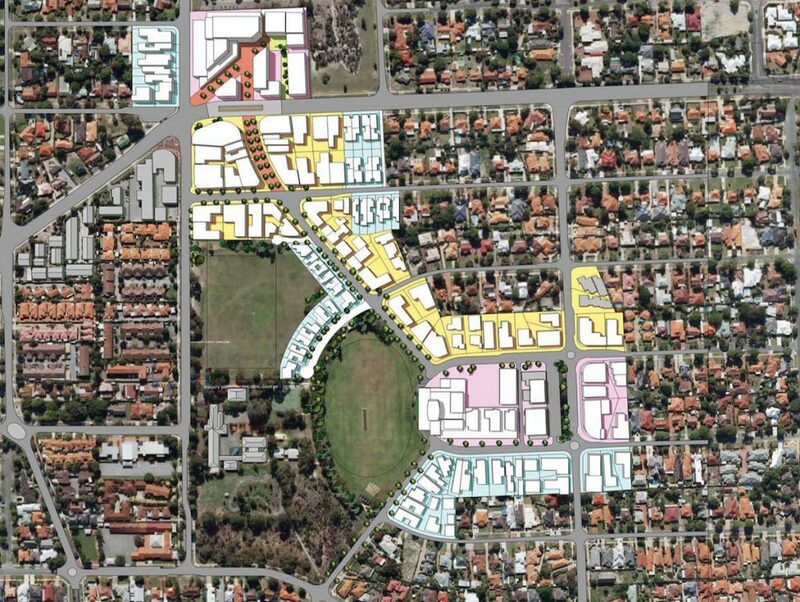 The City of South Perth nominated a number of these precincts, and Motus was granted the responsibility of investigating opportunities to enrich the inner city suburb of Manning. 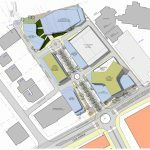 The council’s initial concept was to simply re-develop an old shopping area into a higher density node, however, Motus approached this area in a different way. 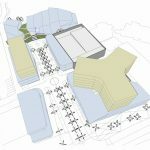 Motus recognised that a better connection to transport links, therefore the greater city, was essential. 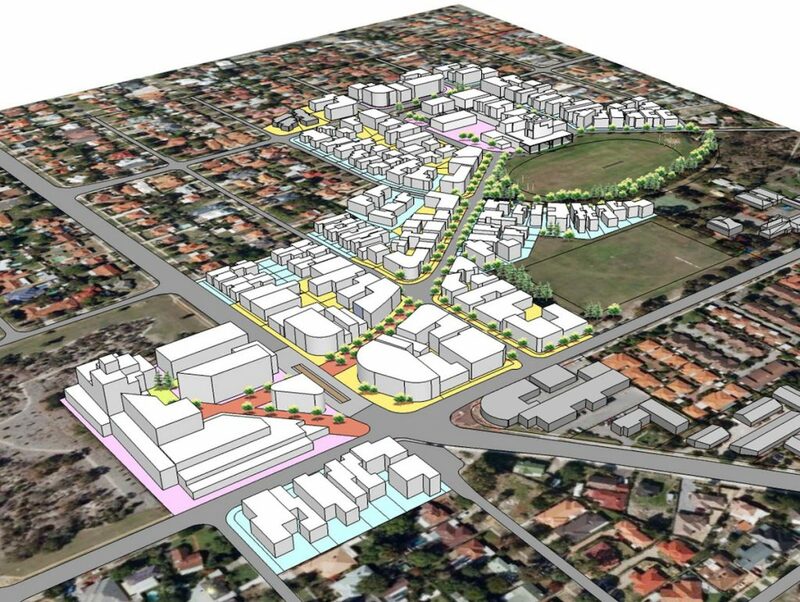 A larger redevelopment of the suburb was proposed, to link community facilities to suburban rail and major arterial roads. 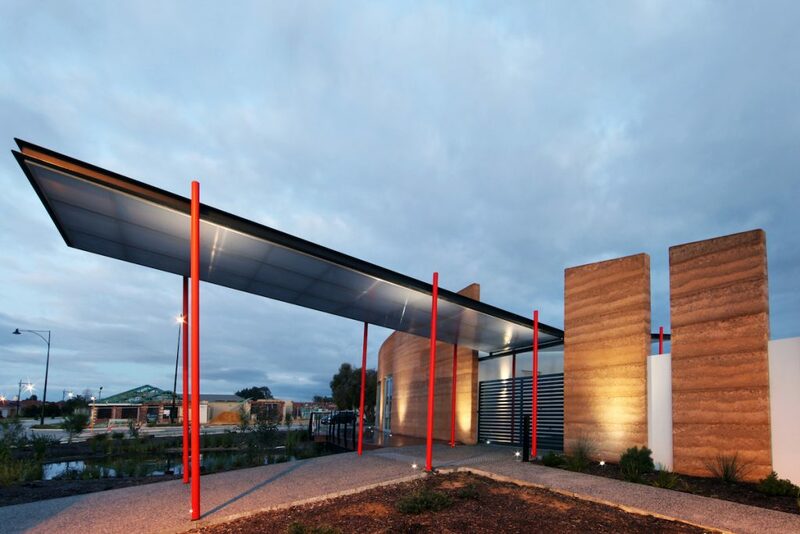 With increased density focused around established green space and along tree-lined activated promenades, the design promoted a community reminiscent of Subiaco or South Perth. 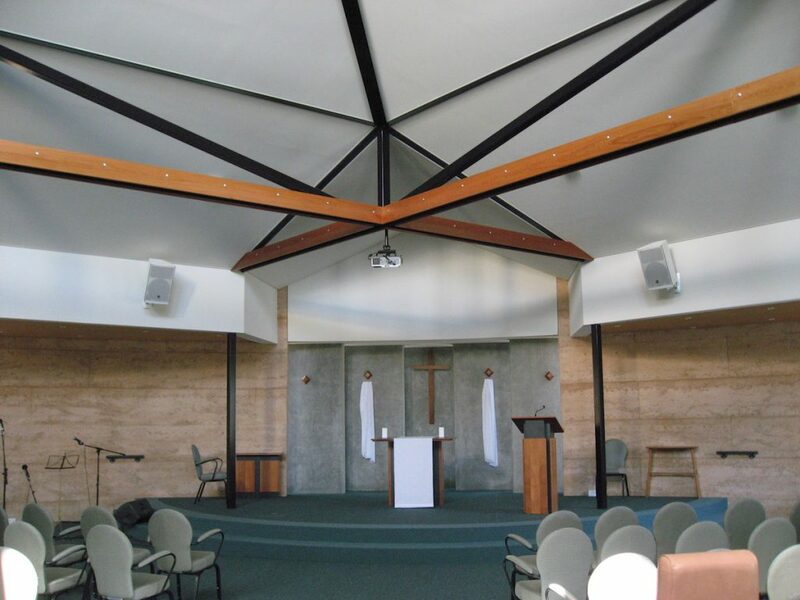 This project involved the renovation of an existing Church and community centre. 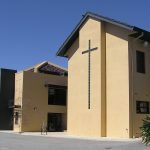 The brief was to revitalise the tired building into a modern Church with additional worship space. 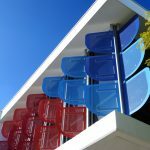 Located on a busy street corner, Motus designed a new auditorium seating 600 people, which provided a new focal point for the site. 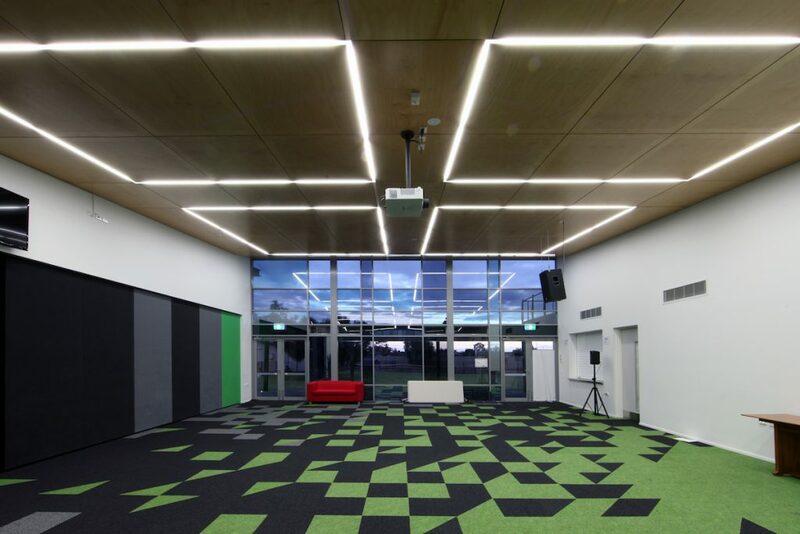 Internally, massive exposed steel beams fan out from above the stage embracing the curved seating arrangement, while suspended timber panels provide the space with acoustic quality. 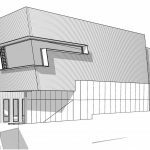 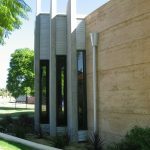 Precast concrete walls wrap the main auditorium and culminate with a huge tapering column that is the visual and diagrammatic focal point of the entire structure. 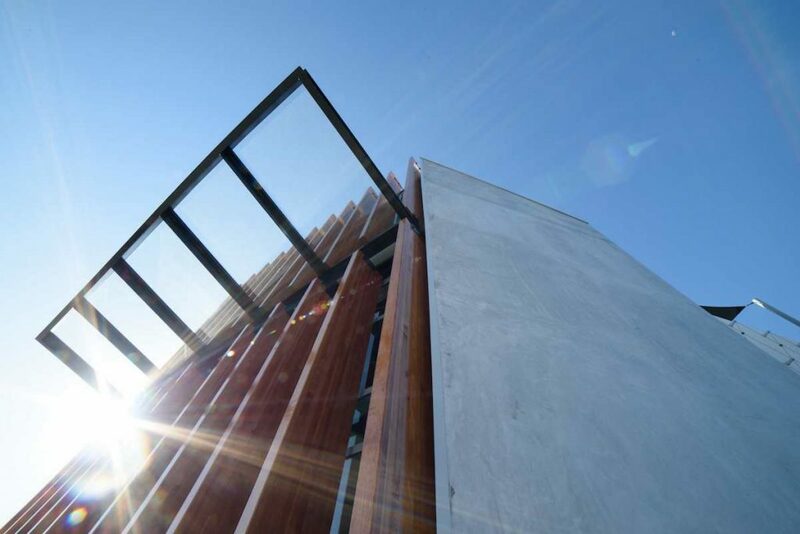 Motus designed a structure that was efficient and something to be celebrated. 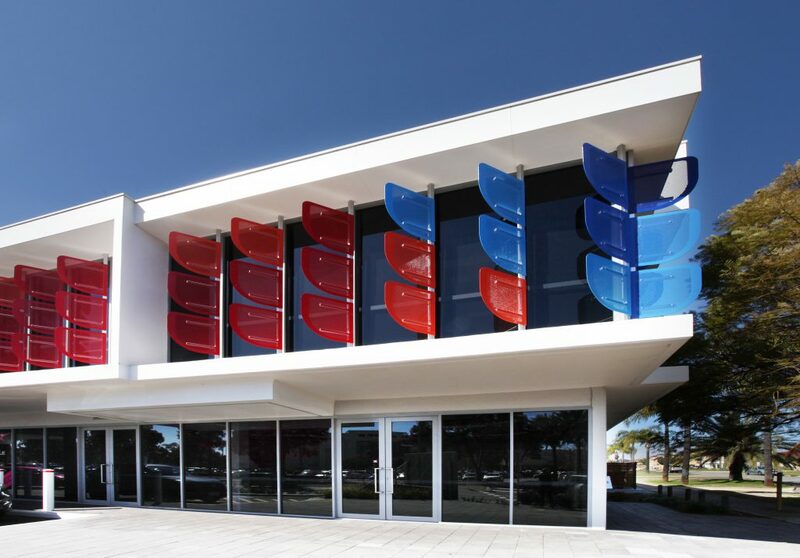 Ridged geometric design was employed to further strengthen the architectural characteristic of the original complex. 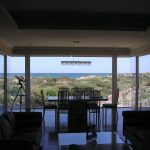 This was all achieved on very restricted budget. 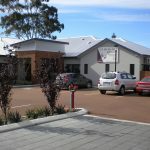 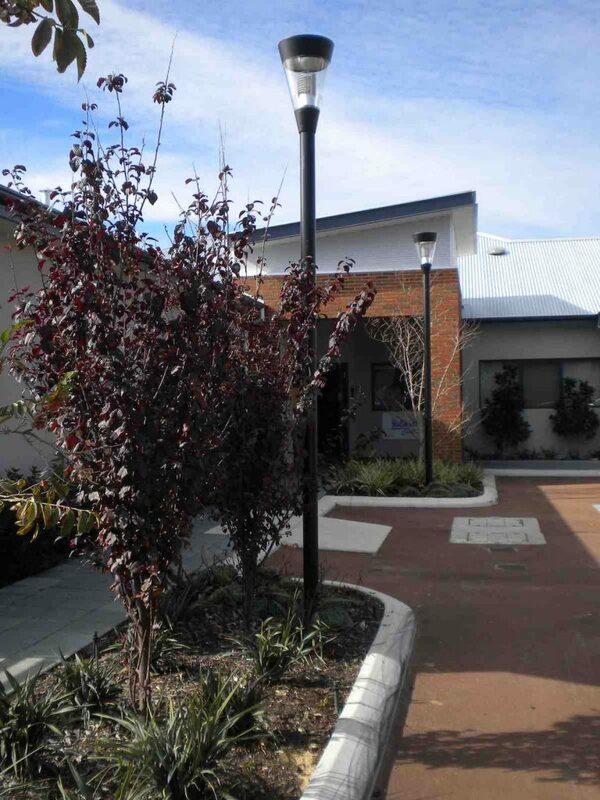 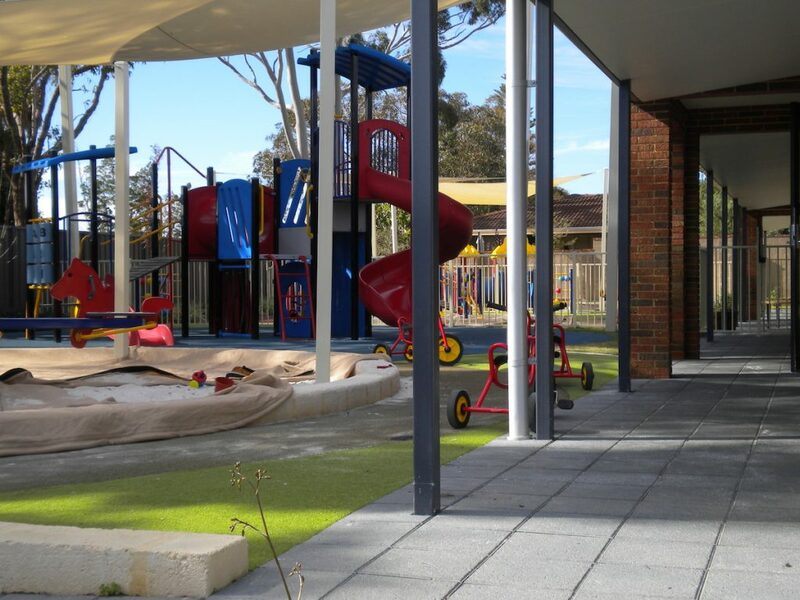 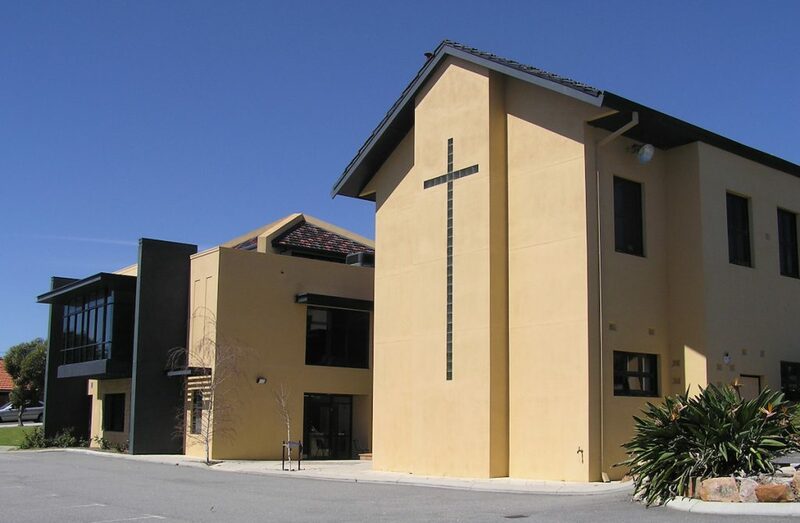 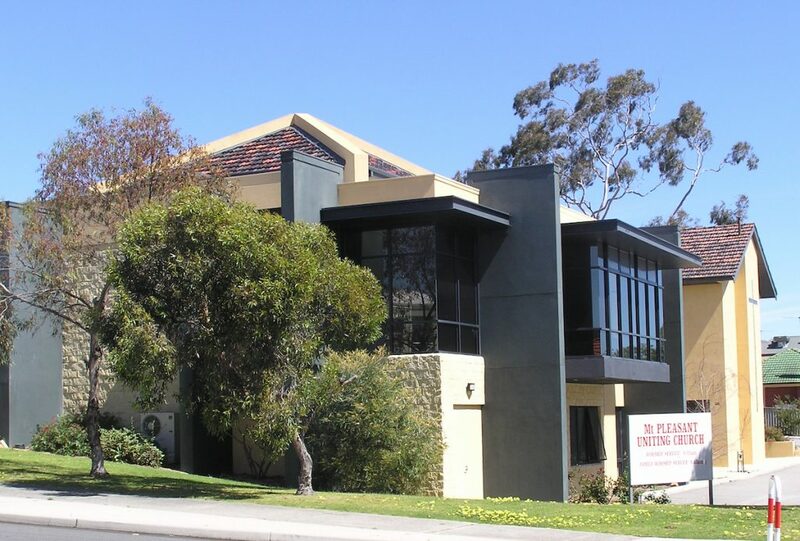 The building is adjacent to the St Peters and Emmaus Church, a joint initiative between the Uniting and Anglican Churches, and was designed as an eighty-place childcare facility. 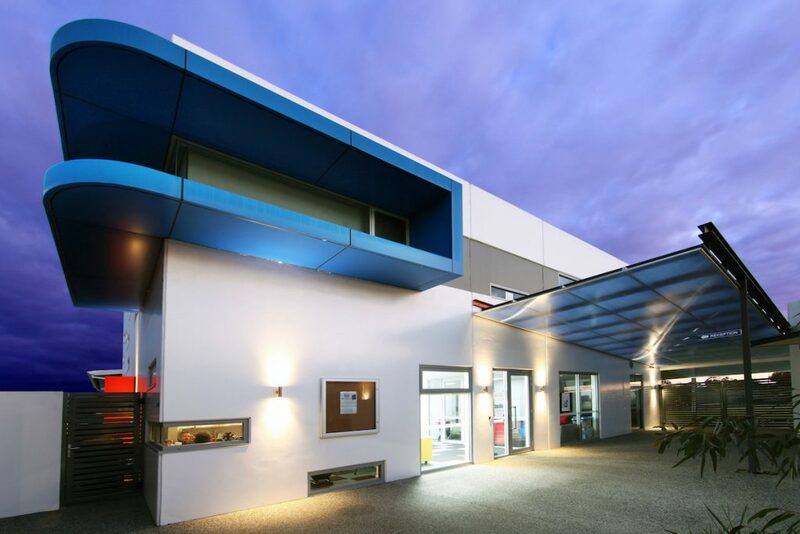 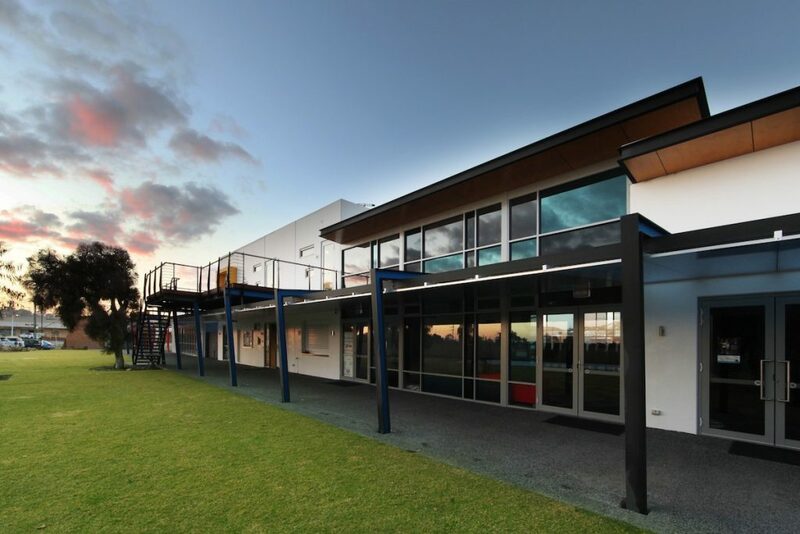 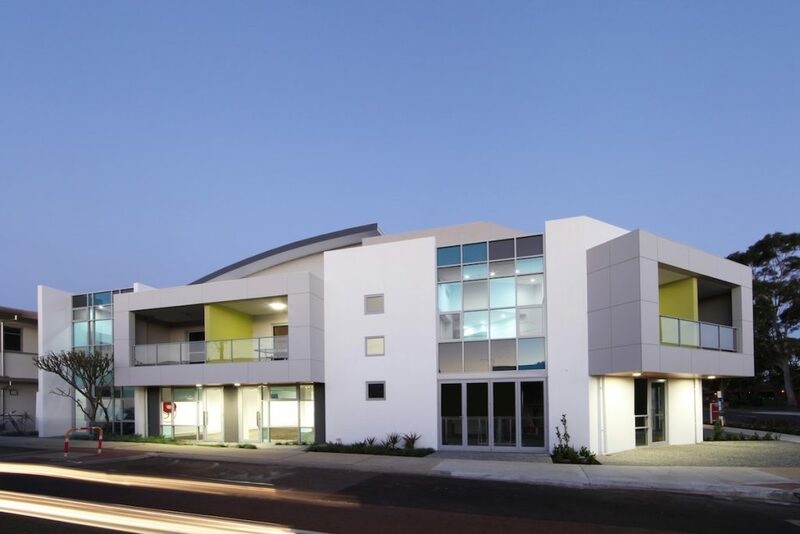 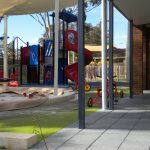 The same developer of the community centre and church was involved for the childcare centre, and subsequently the forward thinking attitude to design was embraced. 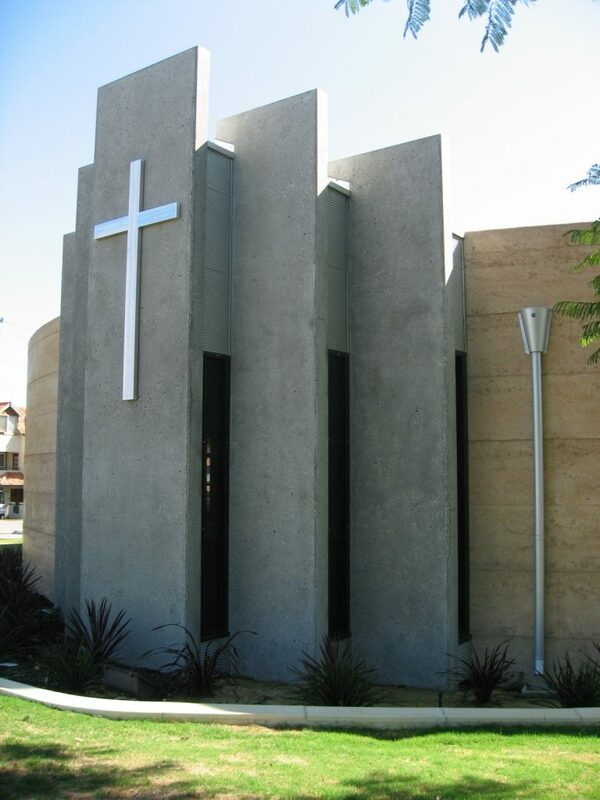 Like the Church, Motus incorporated passive solar design to achieve a better internal environment. 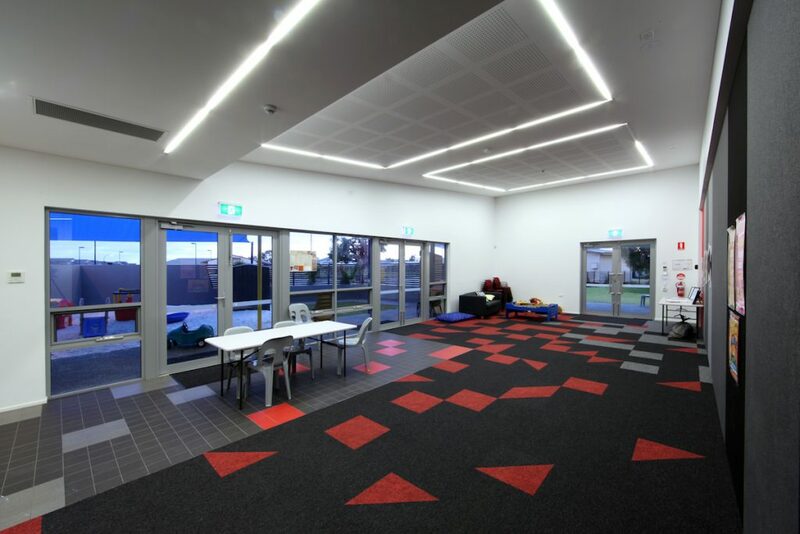 Motus provided an interactive, bright, colourful and playful design that was best suited to the development of children. 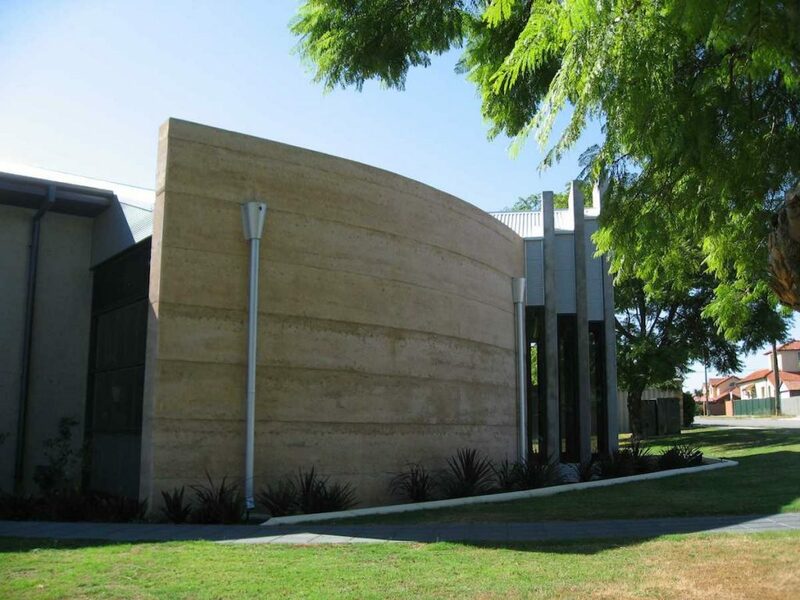 This building was a joint initiative between the Uniting and Anglican Churches to provide a single place of worship that did not separate the differing faiths, but rather fused them together. 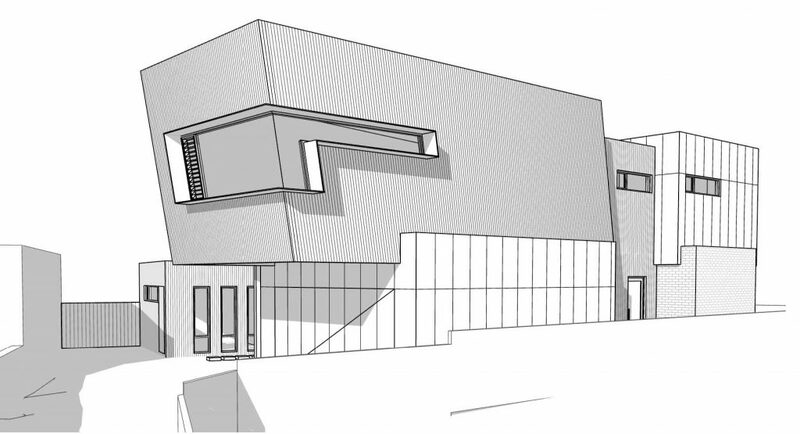 This dynamic and open minded attitude was a great inspiration from which to draw ideas when designing the building. 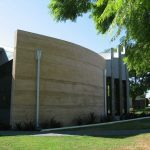 Fluid architectural lines, bold blade walls and a mixture of natural and fabricated elements were utilised to create an aesthetic quality that is both visually appealing and provides a subtle statement that is in keeping with the Church’s attitude. 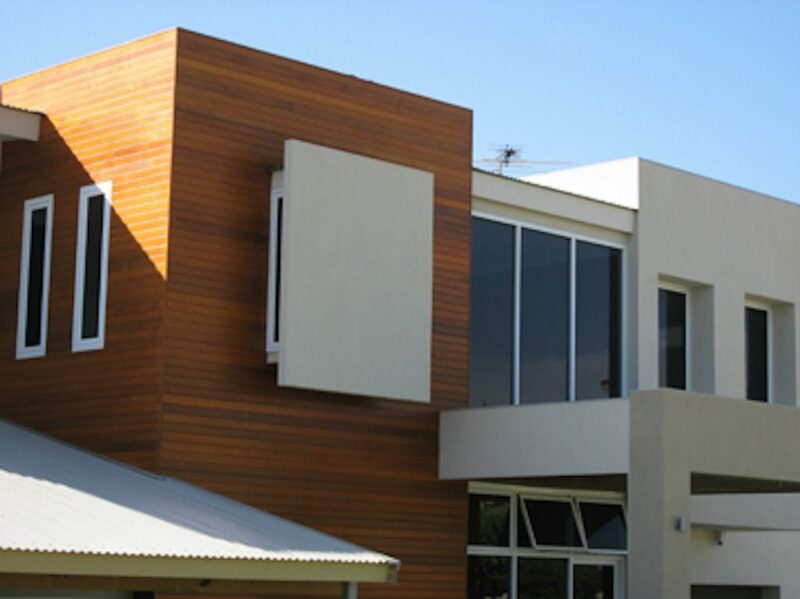 Motus incorporated passive solar design to achieve a better internal environment. 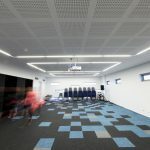 Natural light is diffused as it penetrates deep into the auditorium and community hall, while cross ventilation, high volume spaces and exposed timber beams contribute to an impressive internal volume. 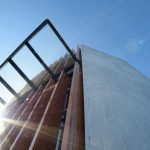 This landmark site on the South Perth foreshore has 270deg views of the Swan & Canning Rivers and arguably the best view of the city skyline. 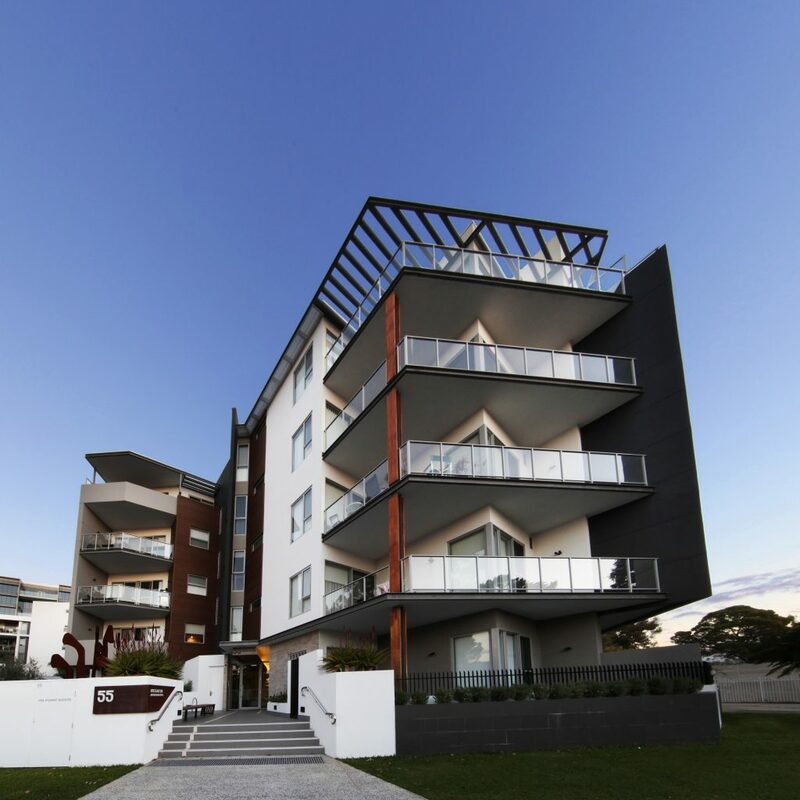 In early client discussions, a brief was established to develop the existing Peninsular Apartments on site into a hotel, resort, serviced apartments, restaurants, bars, and conference centre, set within landscaped grounds overlooking the river. 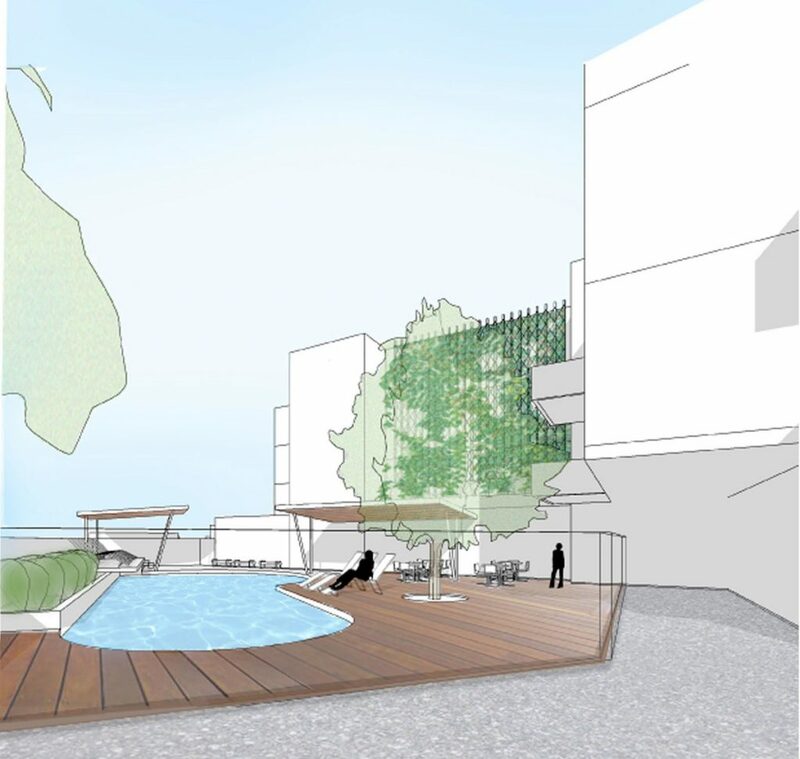 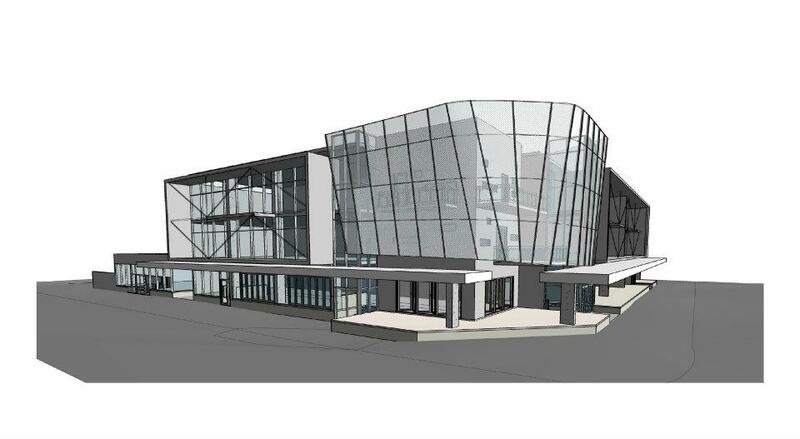 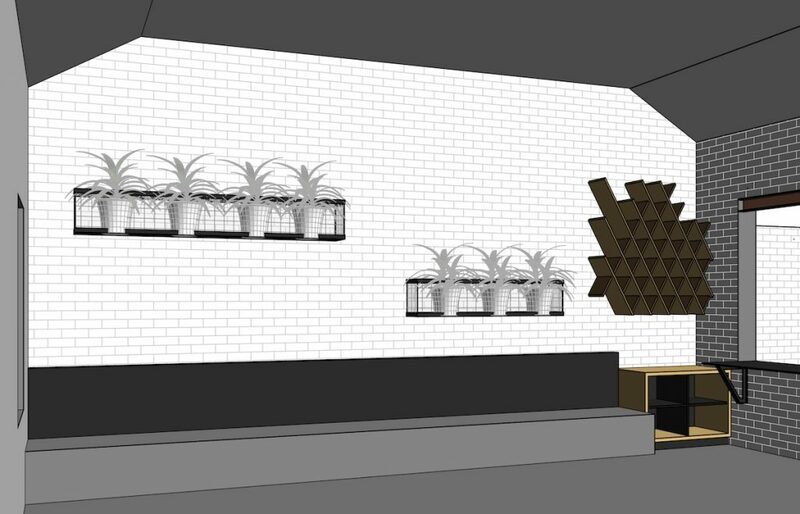 The brief required the project to be divided into multiple stages, the first of which is illustrated in the render. 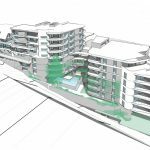 This project is still very much on the drawing board, awaiting finalisation of the City of South Perth’s new design policies. 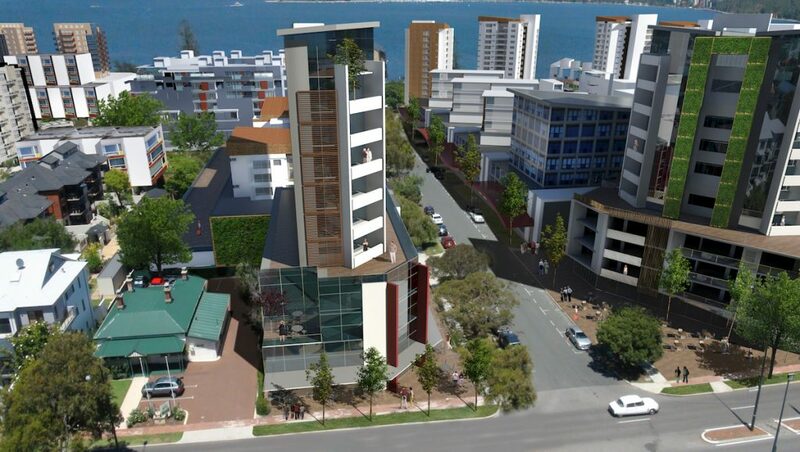 This planning change will allow large areas of the South Perth peninsular to be re-invigorated. 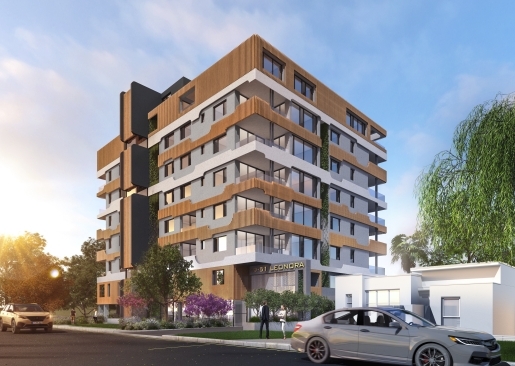 Motus has participated in all stake holder meetings in relation to the amended planning scheme to ensure the client’s interests are looked after. 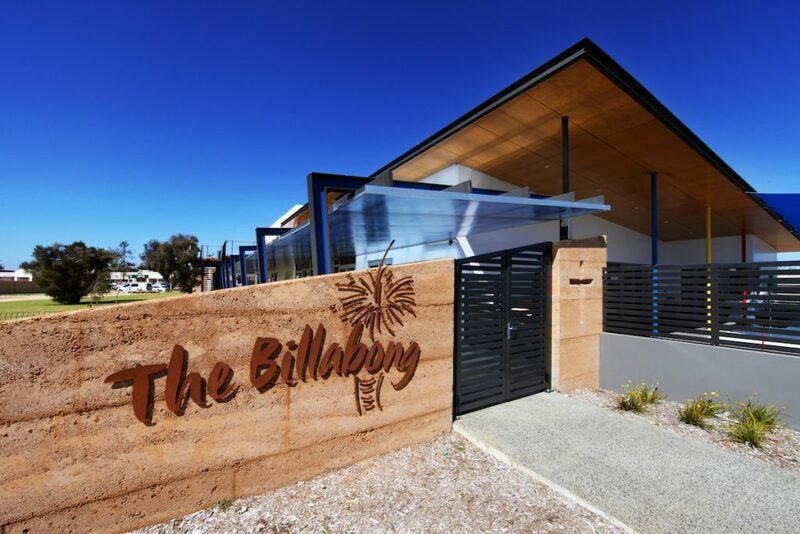 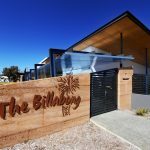 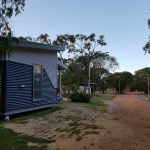 The site is blessed with direct access to the beach and Geographe Bay, where swimming and canoeing can occur, and a cycleway that links it to Busselton (10km), and Dunsborough (15km). 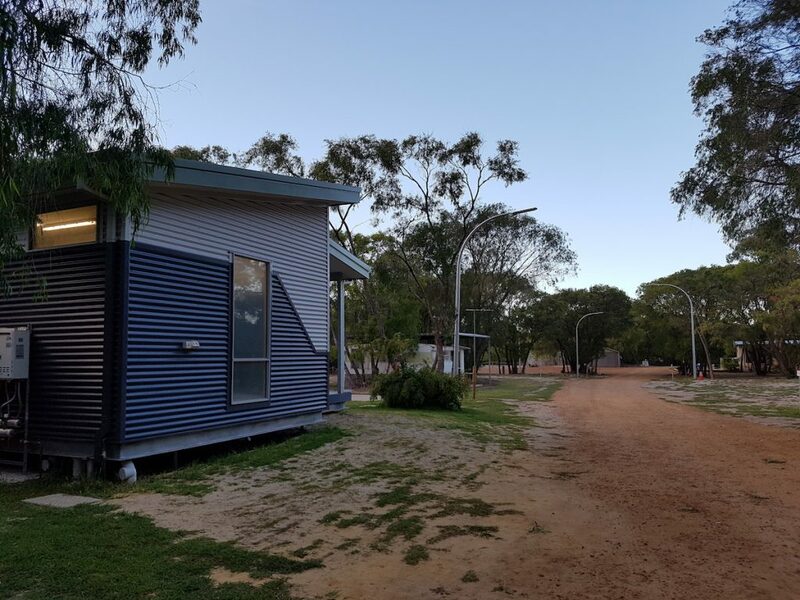 The Uniting Church campsite on Caves Rd , Busselton is a facility that has been in operation for over 20 years. 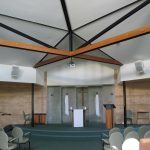 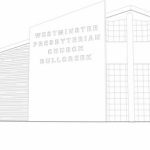 With the renewing of the lease very recently, the Property Services Committee of the Synod determined that the site needed a substantial upgrade. 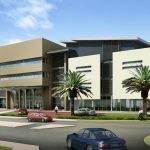 The complete replacement of all services including water, fire, sewerage treatment plant, and electrical provision was carried out. 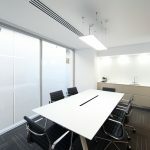 In addition, a complete refurbishment of the existing meeting room was effected, together with the design and construction of two Pre-fabricated ablutions facilities. 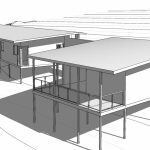 Our experience in pre-fabricated buildings allowed us to devise a cost effective solution that had minimal environmental impact on the site and the ability to be easily removed in the future should it be required. 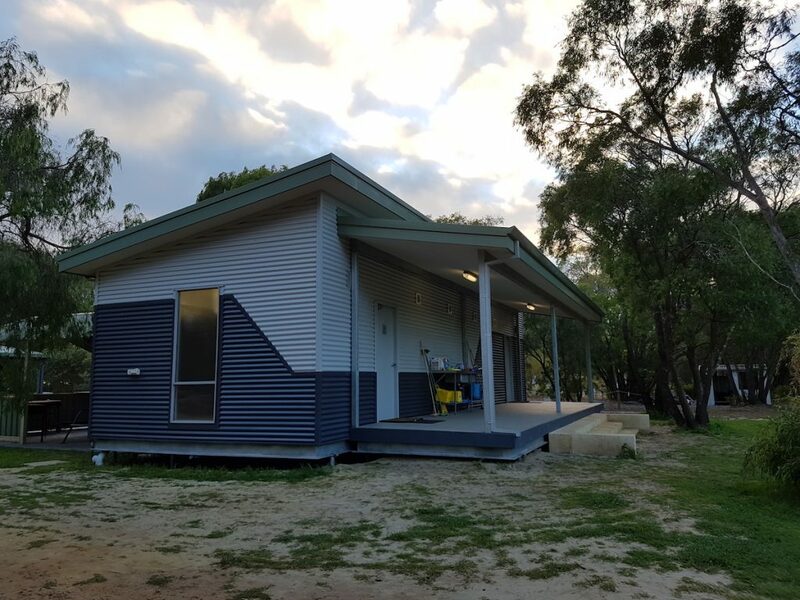 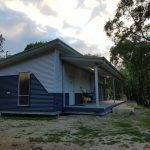 The end result has provided a completely refurbished and renewed camping and caravan facility. 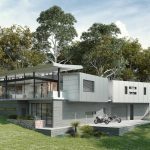 While impossible to disassociate projects of this type from Australia’s dependence on cars, Motus continually strives to minimise a cars impact on our environment. 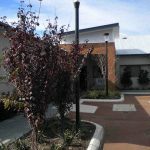 This project was no exception, with reciprocal parking implemented to minimise the extent of carparks, and all access roads including car bays lined with established planting. 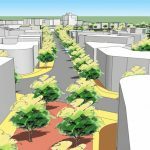 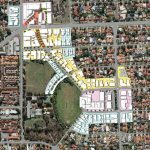 This master planning exercise followed local council’s proposal to develop a ‘Town Centre’ along Cecil Avenue in Cannington, linking the local train station with the commercial hub of Albany Hwy. 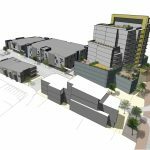 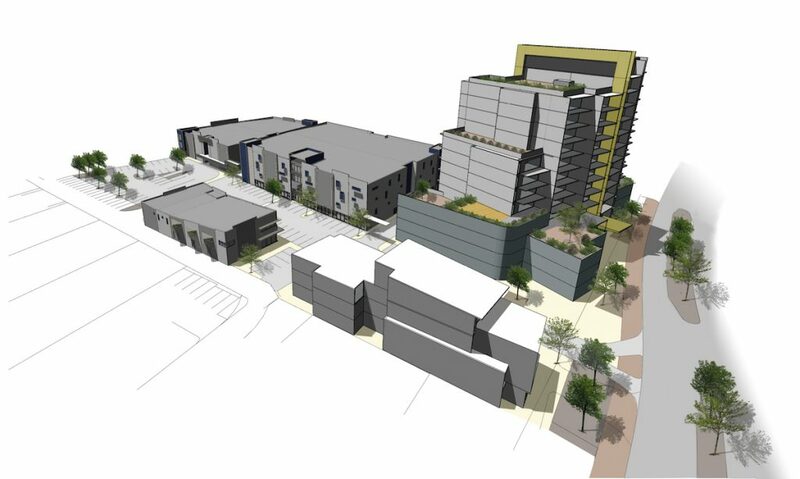 The council proposed to vastly increase the density of the area by allowing mixed-use multi-level developments. 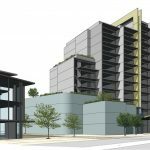 Motus investigated this idea with the proposal of a ‘Commercial Centre’ development on the project site with a 13-floor residential tower set amongst lower level Retail and Commercial tenancies. 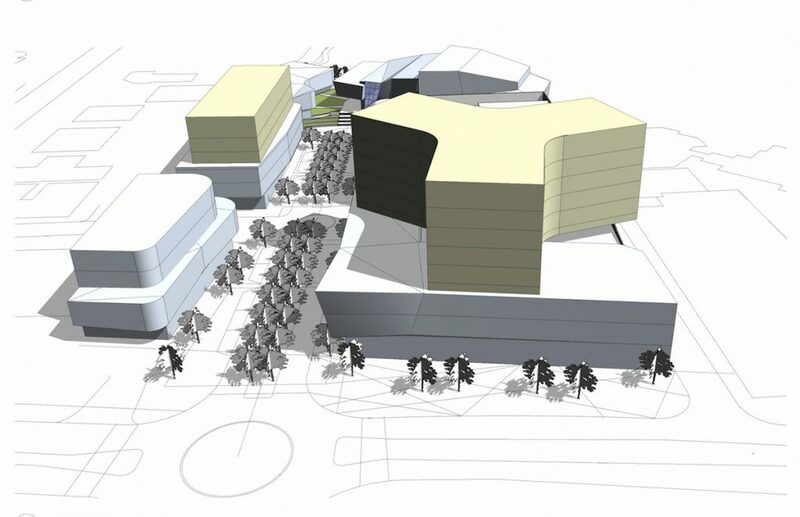 Masterplan including mixed used development of commercial, apartments, auditorium and community centre. 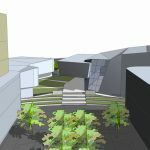 Green spaces linked all buildings together. 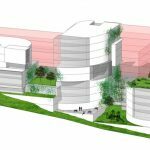 Motus embraced concepts of a garden city, allowing large expanses of open space and pedestrian malls between taller structures. 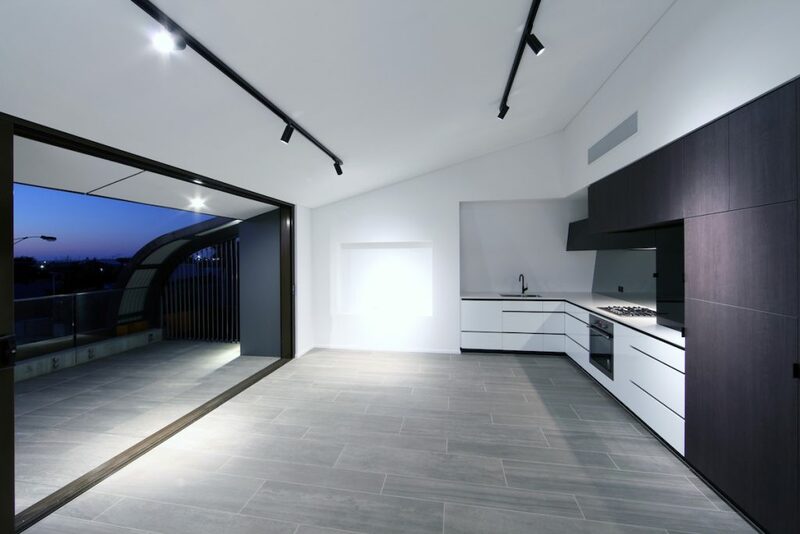 This extended beyond ground level with vast landscaped rooftop terraces that provided sanctuary within the built environment. 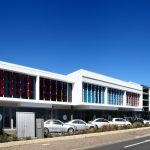 Motus was also able to create interest and variety in the facade treatment whilst keeping it within tight cost constraints. 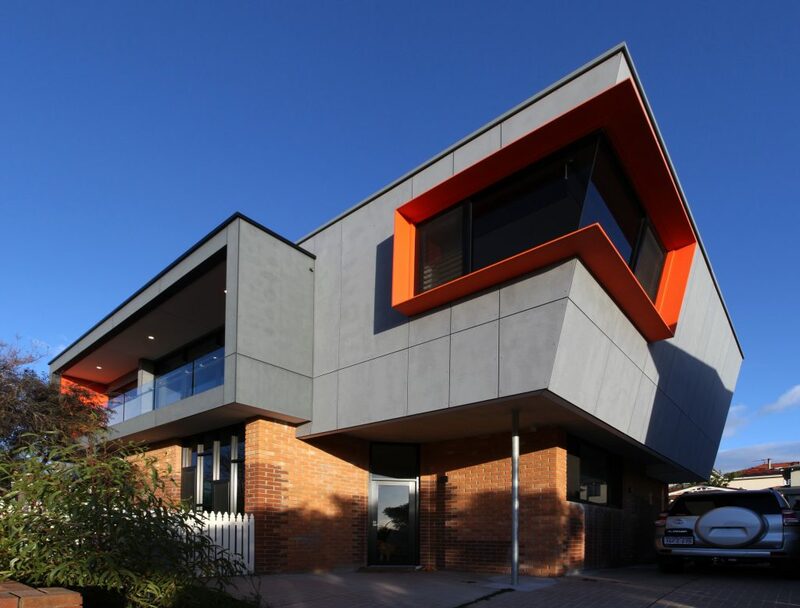 Located in the hills community of Mundaring, the project site was an old fire station lot sold off by local council. 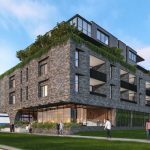 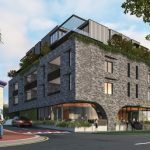 The client purchased the land with the intent to develop a mixed use building with apartments and commercial suites as the site is central to all desirable local amenities. 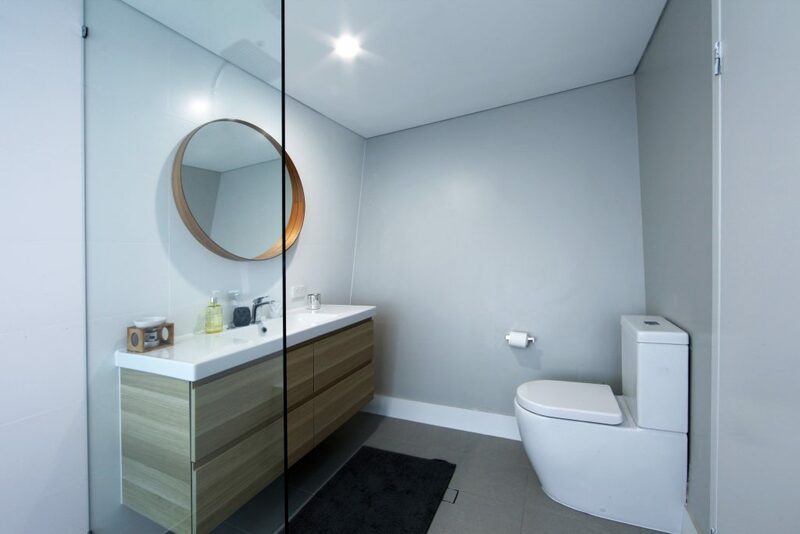 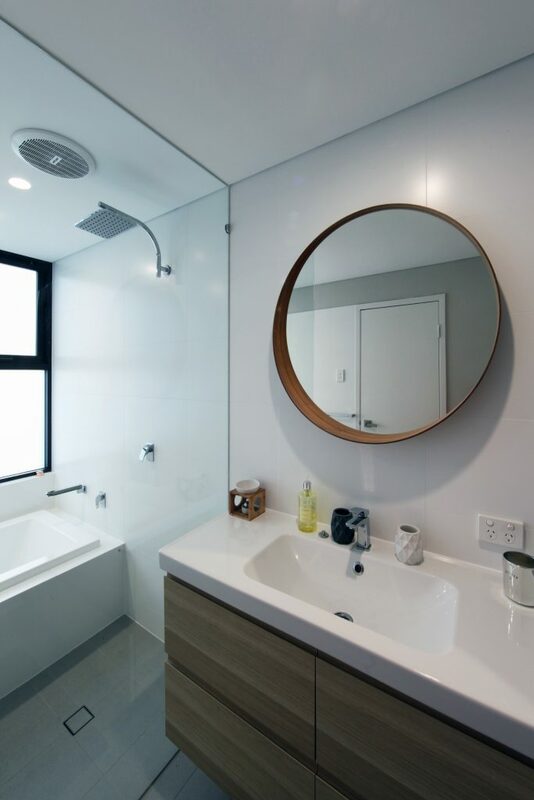 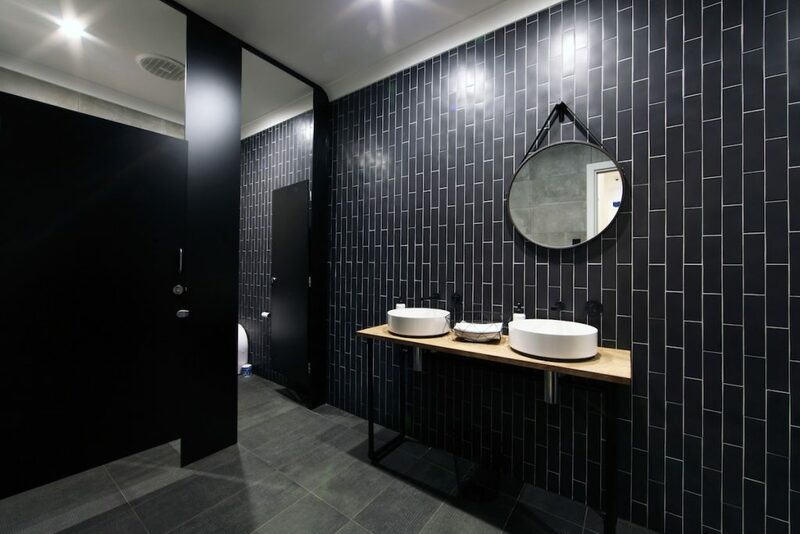 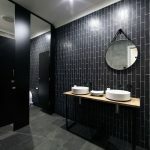 Motus suggested providing private toilet facilities to all tenancies to allow flexibility of space and ensure that the highest rental returns would be achieved for the client. 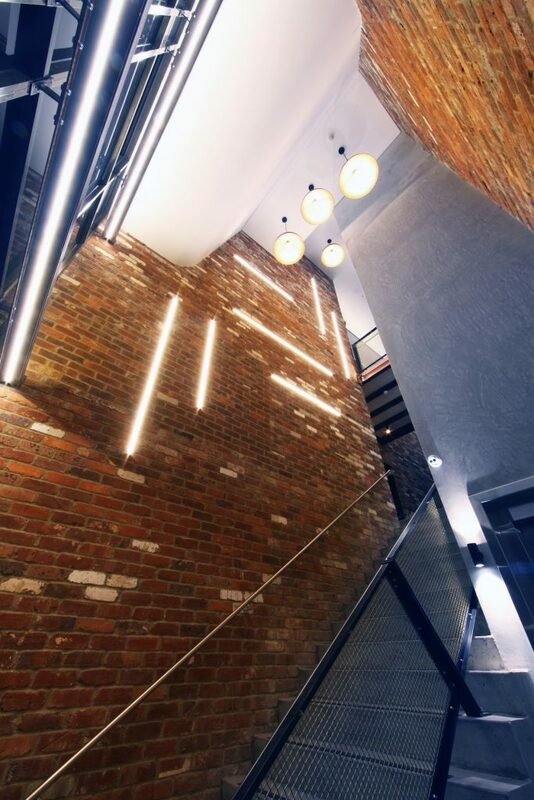 Post construction and sale of tenancies, Motus was also able to assist in planning the internal layouts for the new owners. 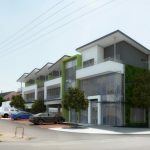 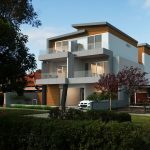 Motus was engaged by the City of South Perth to design an indicative development footprint / floorplans and a rendered 3D model of ‘Amendment 25’, which was a significant planning reform to be advertised and eventually implemented. 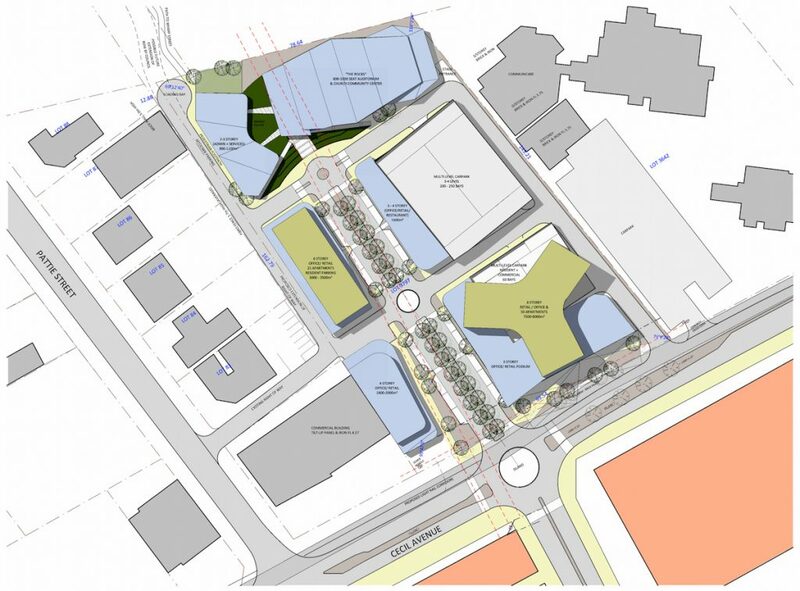 The proposal helped illustrate the council’s intent regarding these planning scheme amendments, and was also used as the basis for valuing council land to be sold on the open market. 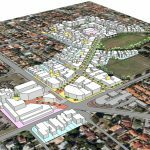 Motus was able to assist the City of South Perth by providing planning and massing models that helped illustrate the intent of the amendment to the public. 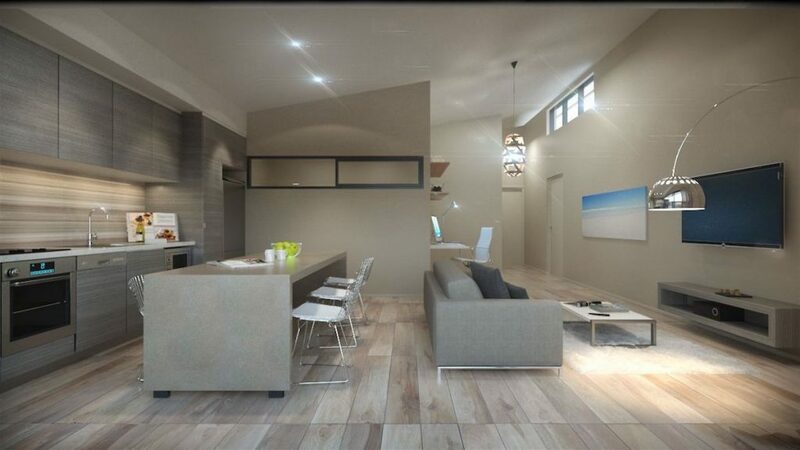 Rendering and 3D modelling is becoming a valuable resource when introducing or presenting ideas to the greater community. 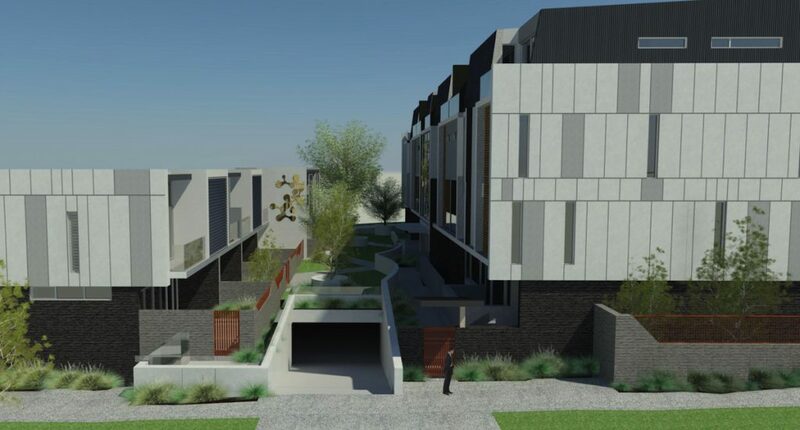 The form Motus illustrated for this site was replicated by the now under-construction Civic Triangle development by City of South Perth and Finbar. 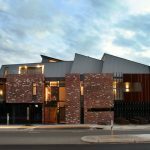 Situated near Oxford St in Leederville and sandwiched between high and low density sites, the project required a complex planning strategy to be feasible. 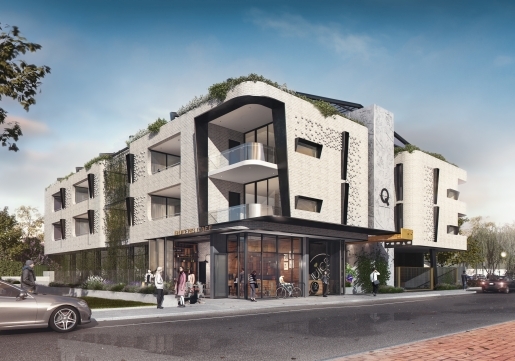 Although outside the planning scheme rules, the client brief was to design a mixed use building that was an intermediate height between the commercial building on Oxford St and the residential building on Bourke St.
Motus successfully argued that the high quality mixed use building was a transition between the higher densities on Oxford Street to the lower residential scale of the surrounding suburb. 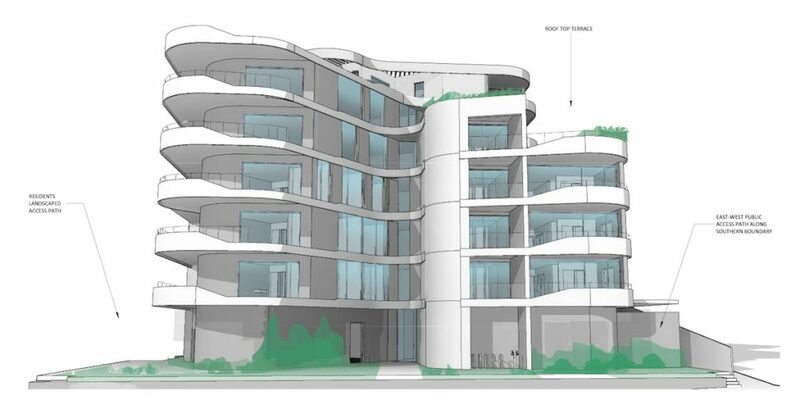 Consequently planning approval was granted for eight apartments and one commercial tenancy. 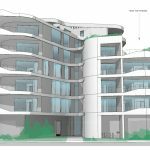 The harsh coastal environment and North Westerly orientation of the site presented a number of energy efficiency complications. 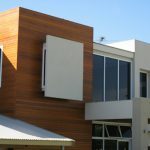 Motus employed passive solar design techniques, and used automated building management systems to manipulate sliding screens to help combat the buildings heat load while maintaining views of the harbour. 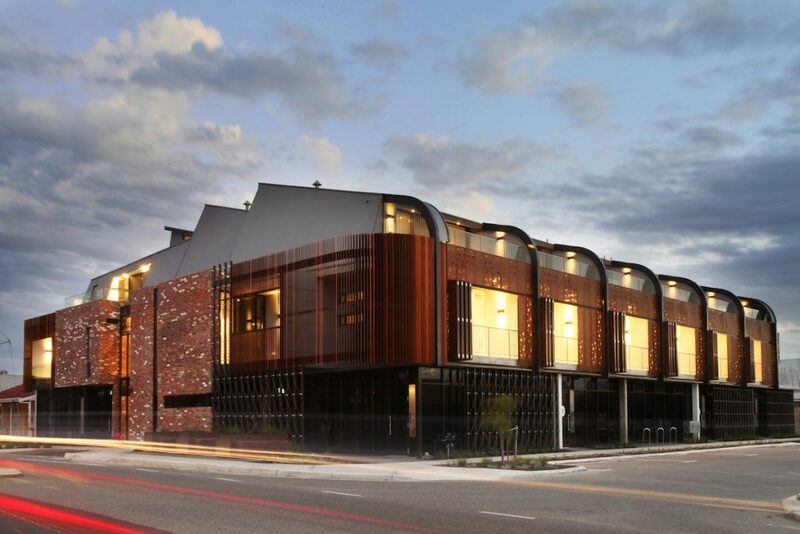 The site located along Flinders Street on a busy corner, required an innovative solution to gain approval. 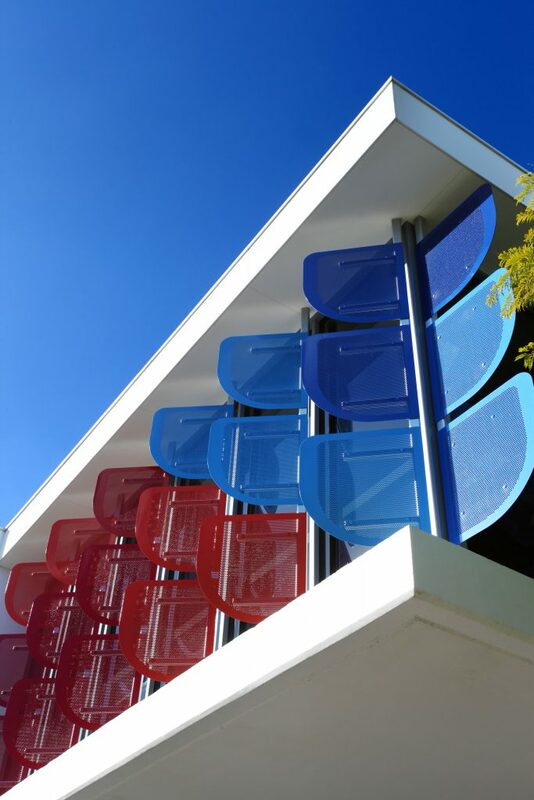 The design required a prominent statement to acknowledge the busy street corner. 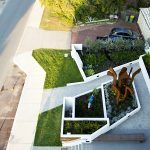 In response to this, Motus created eye-catching forms in combination with green walling and feature planting along the main façade. 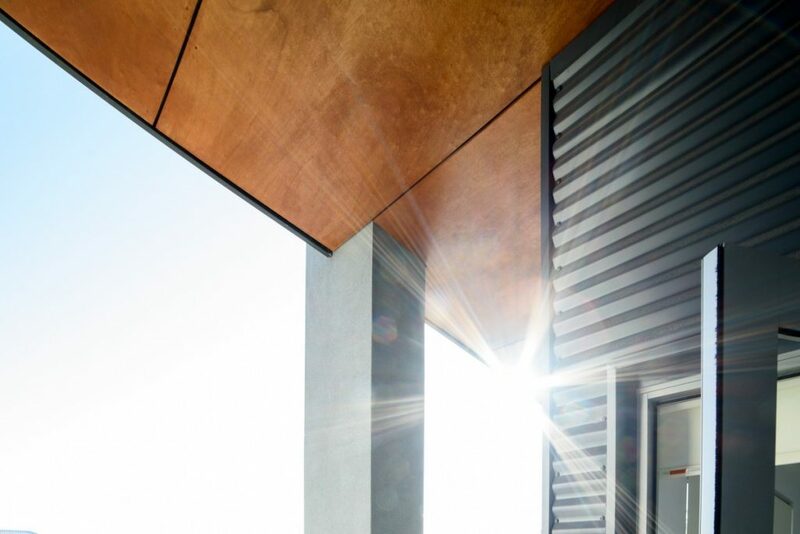 Passive solar design principles were implemented to create an efficient building solution, while clever orientation of each apartment ensured the desired outcome was being achieved in each space. 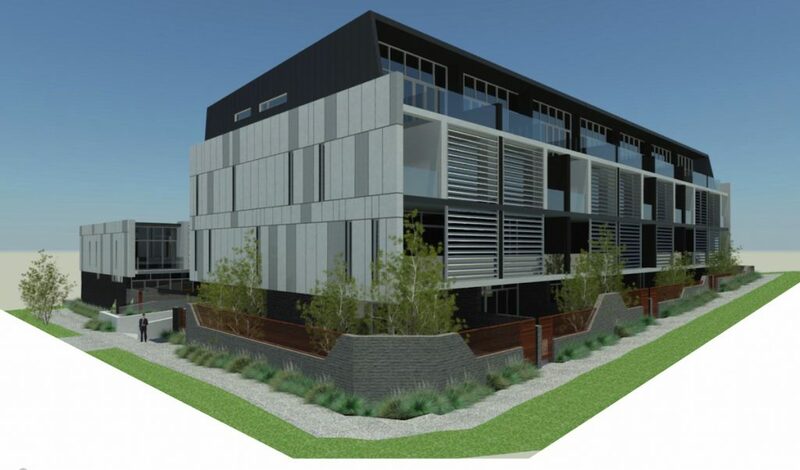 Significant negotiation was required with City of Stirling to achieve the approved density that Motus accomplished – the design quality was stated as a key reason as to why they approved the additional density. 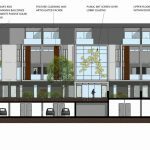 Another local site, Motus were engaged to prepare a scheme on this site that would gain approval – an endeavour that other architects had previously failed in achieving for this client. 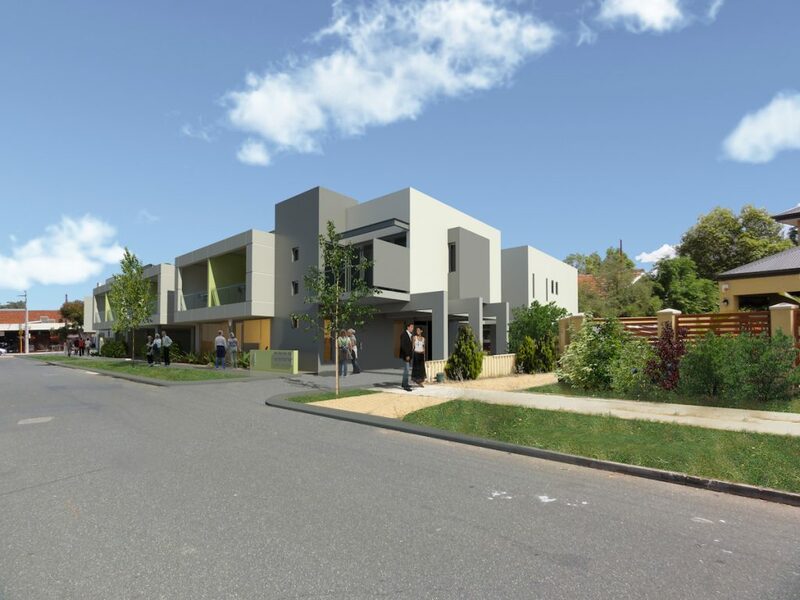 An irregular site shape had made it difficult for others to justify density against building regulations on the suburban site. 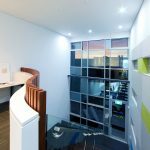 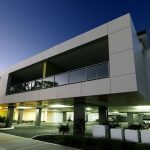 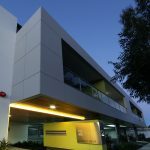 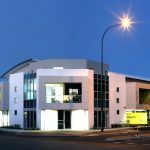 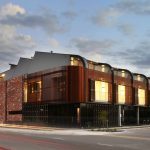 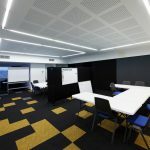 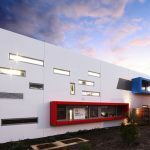 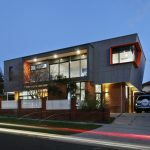 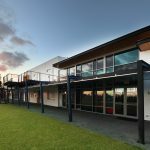 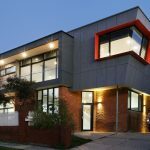 Motus was able to negotiate with council to achieve a solution which eventually resulted in a building that was far superior in design and achieved more density than the client ever expected. 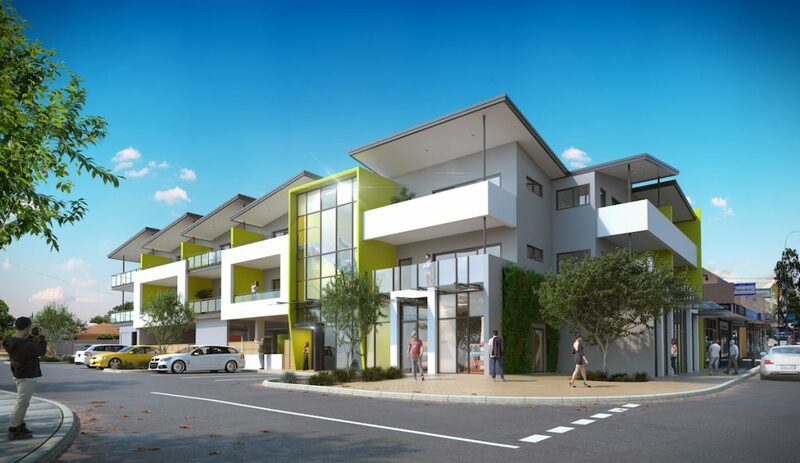 Carine Rise is 2 apartment sites zoned R80 with a maximum density of 50 apartments over a 4 storey height limit. 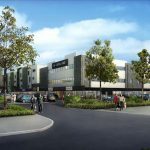 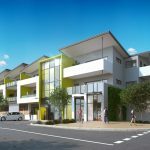 The development was to be well-integrated with their surrounding communities, close to local schools, parklands, shopping centres and sporting and public facilities. 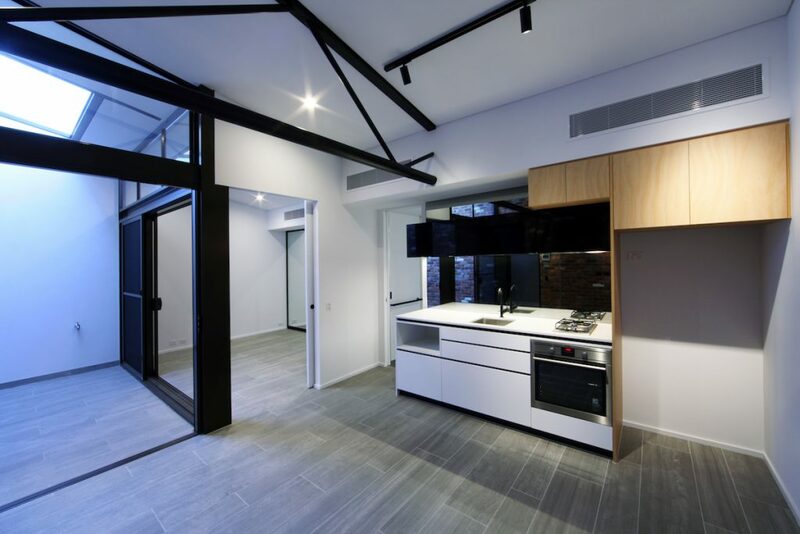 Apartments were laid out with a wide central courtyard space which allowed cross ventilation and natural light to the front and rear to all apartments. 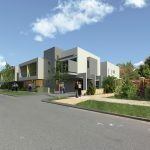 Being both Architects and Developers Motus was able to offer a holistic response to the brief which met the feasibility requirements of the client. 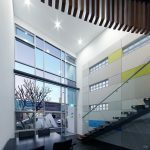 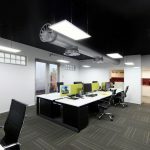 Motus undertook Concept Design to revitalise the existing building. 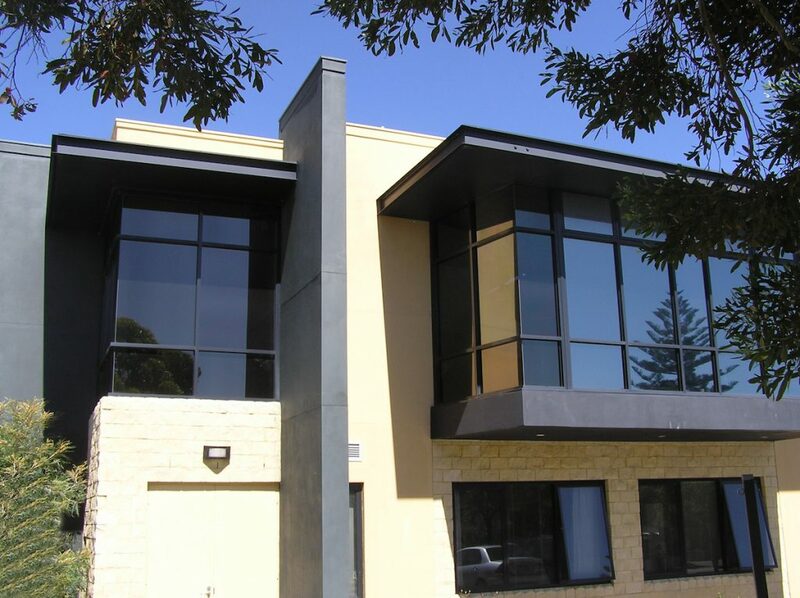 The ground floor commercial spaces were used but the entire first floor was vacant. 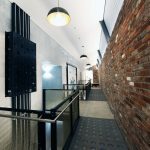 The client’s brief was to give the entire building a face lift to allow it to be marketable to potential tenants. 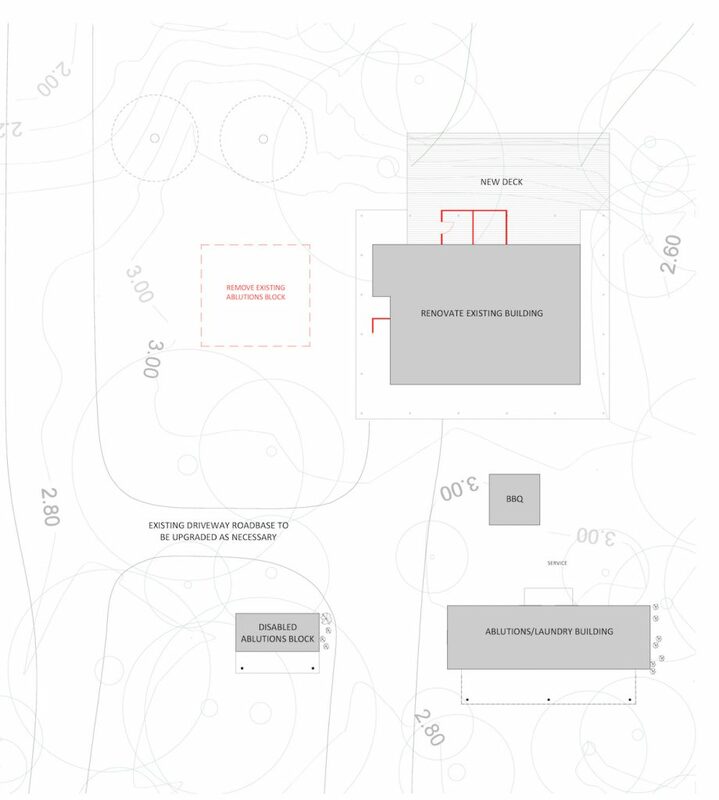 The existing Warehouse gym was to remain in the building. 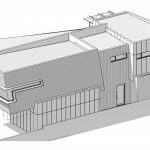 Exposing the existing sawtooth roof structure was an immediate thought. 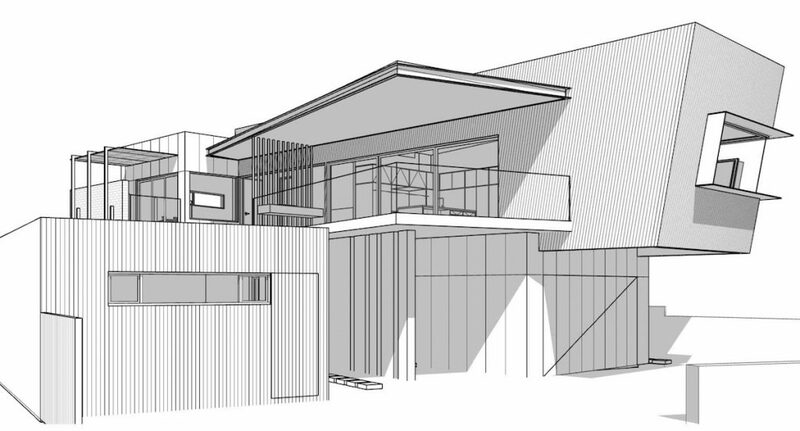 This spilt the large building mass up and created interest in the elevations. 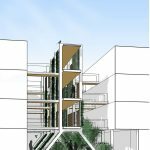 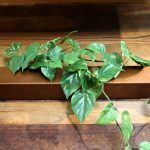 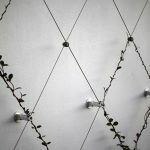 A green wall trellis system was proposed over the existing stair that was to be retained which softened the harsh industrial building. 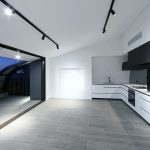 After visiting the site, it was apparent that the sheer scale of the building required a minimal approach to the renovations in order to keep costs down. 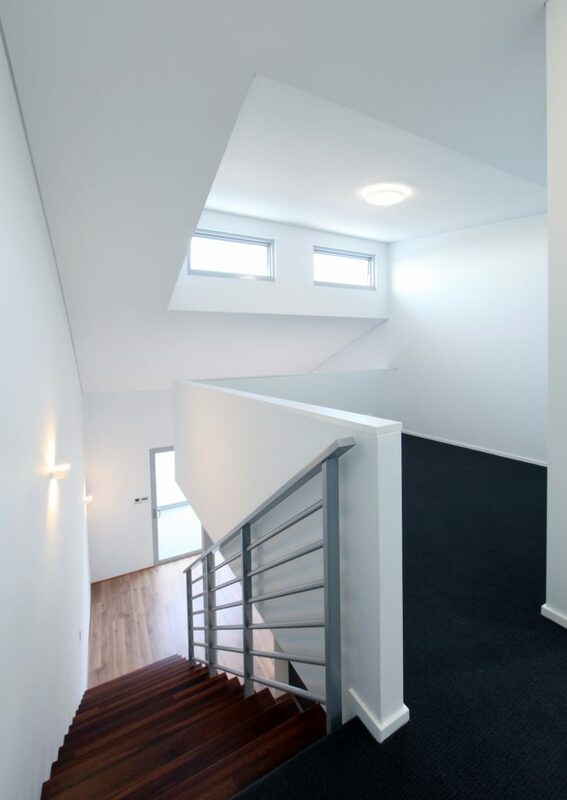 A simplistic approach was adopted in the design of the alterations. 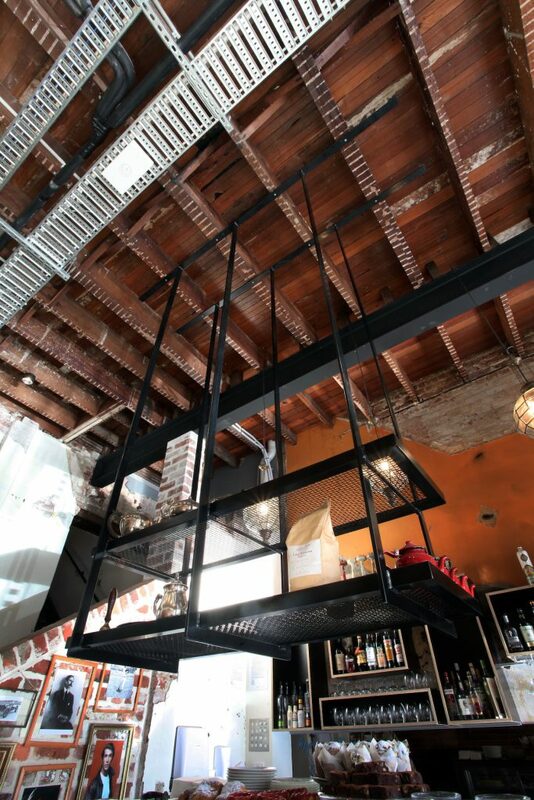 Located in an abandoned theatre, The Kings Above is a restaurant/ bar located above Henry on Eighth on the first floor. 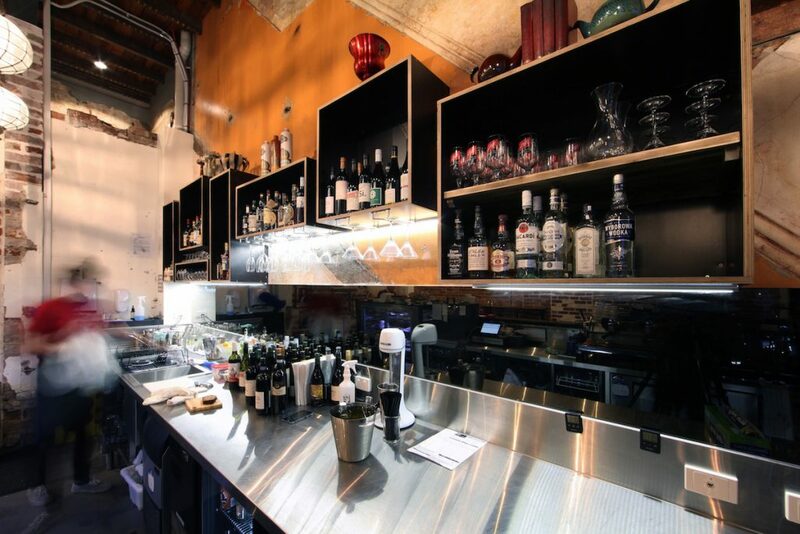 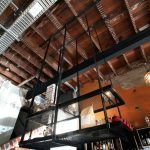 The space is separated into 2 sections, a fine dining restaurant and bar with balcony. 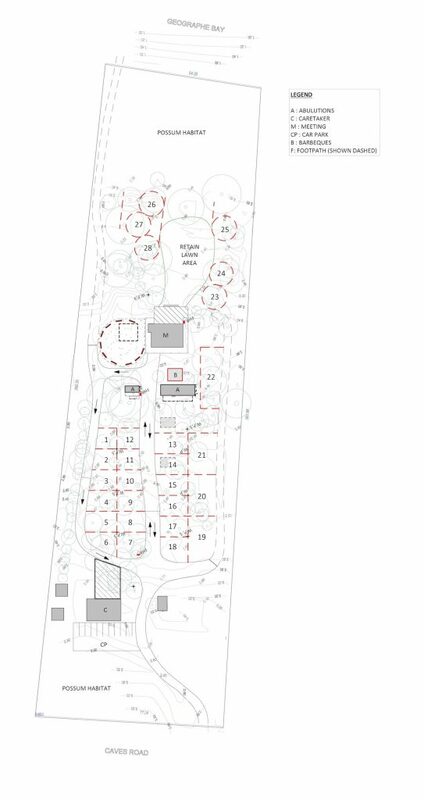 Part of the client’s brief was to create a variety of seating arrangements for guests. 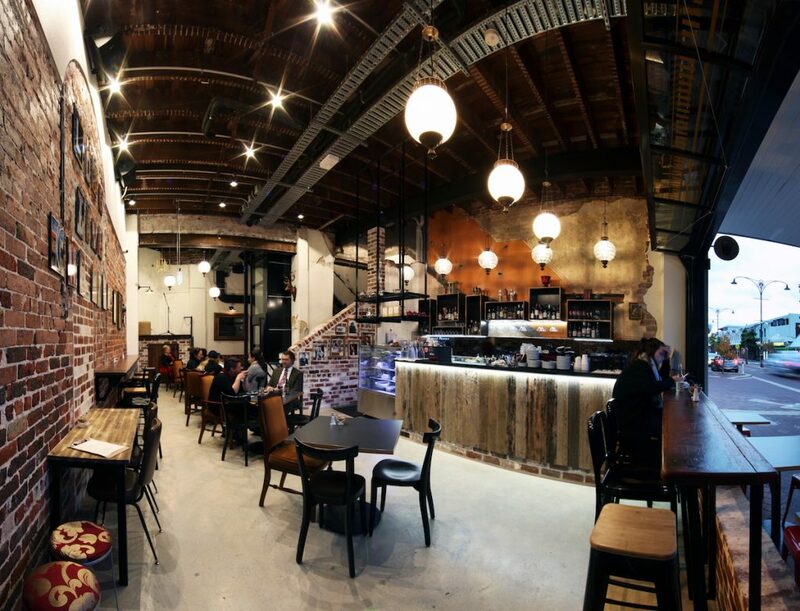 The restaurant provided booth seating, a large round table, a high round table and standard tables. 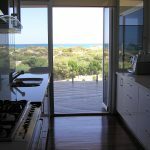 There is also a private dining room to be the chef’s table with a viewing window into the kitchen. 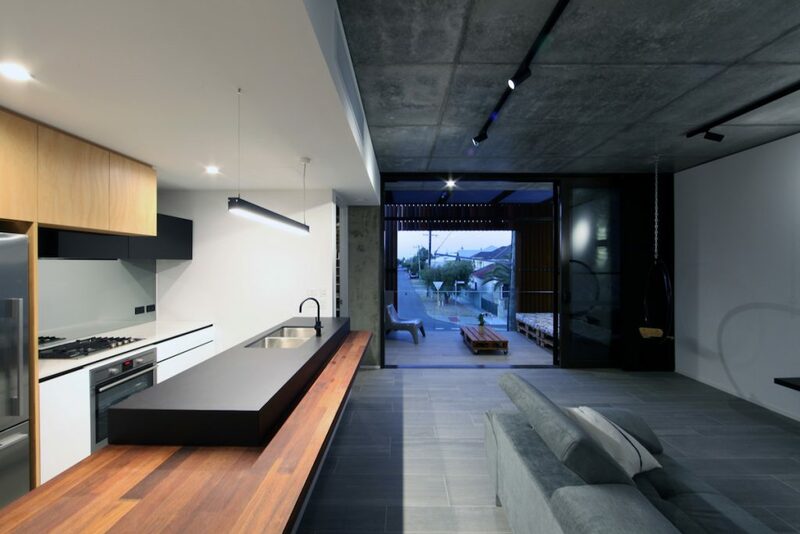 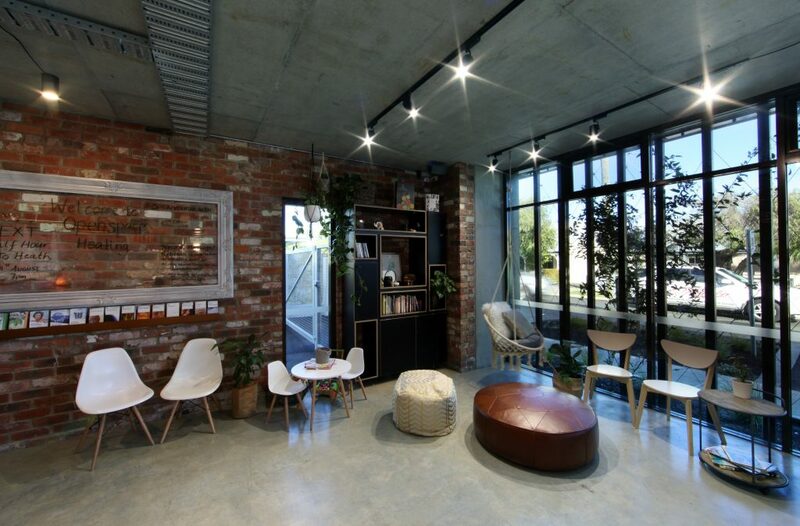 The interior aesthetics is industrial yet contemporary making reference to the existing structure of the building. 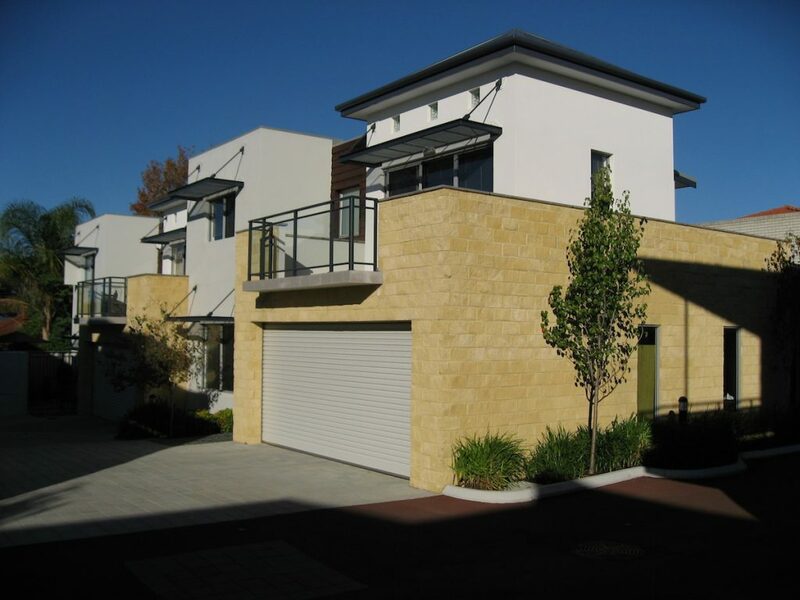 Motus worked closely with the client and their tight budget to determine a cost effective approach to the works. 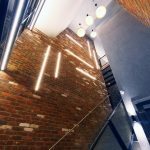 Existing brickwork and steel/timber beams are exposed and celebrated as a means of reducing the amount of introduced materials. 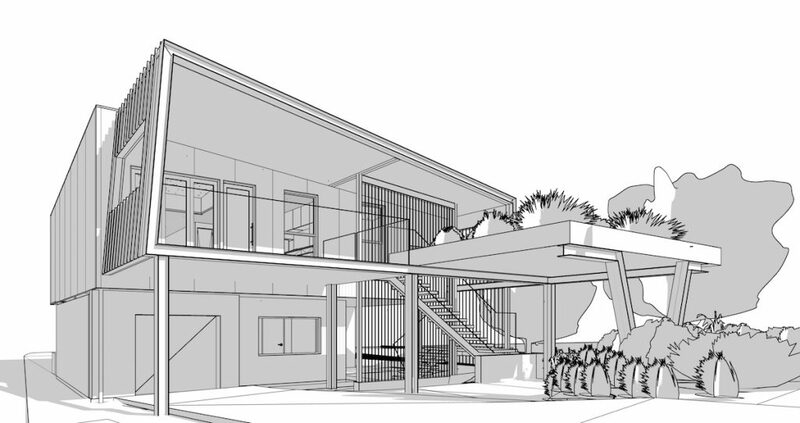 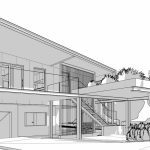 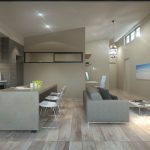 The clients are a retired couple looking to build their retreat in Coogee. 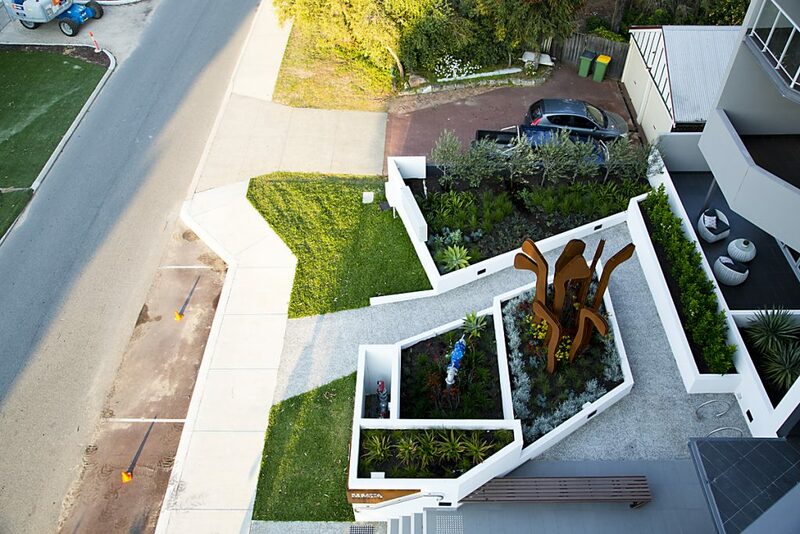 The block is an awkward shape on the top of a hill with access to panoramic ocean views. 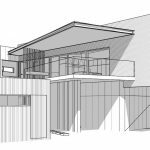 The brief was to design a 2 storey house for the couple and a detached granny flat that captured the views wherever possible. 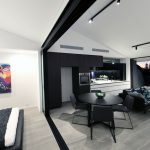 The main living areas are located on the upper level, within cantilevered boxes that are strategically positioned to take advantage of the best aspects of the ocean. 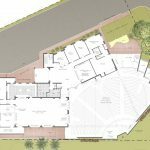 The shape of the site made it very difficult to design a building that complied with the overshadowing requirements of the R-codes. 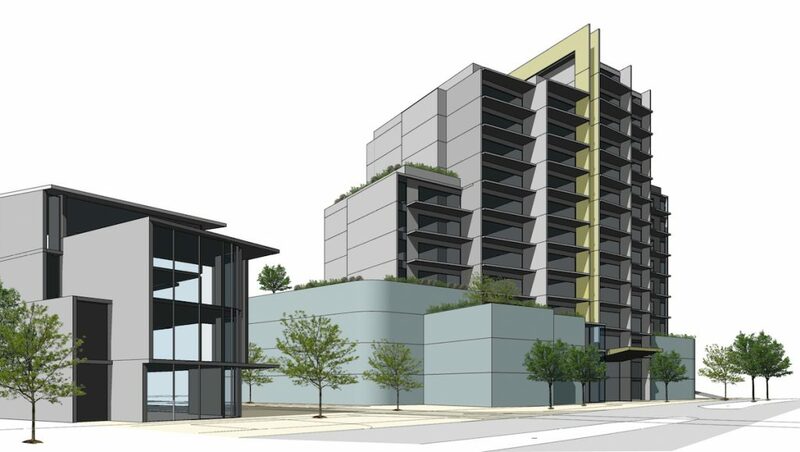 Motus successfully negotiated with the adjoining neighbour’s and council planners to acquire a Planning Approval. 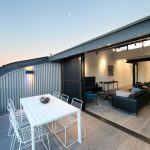 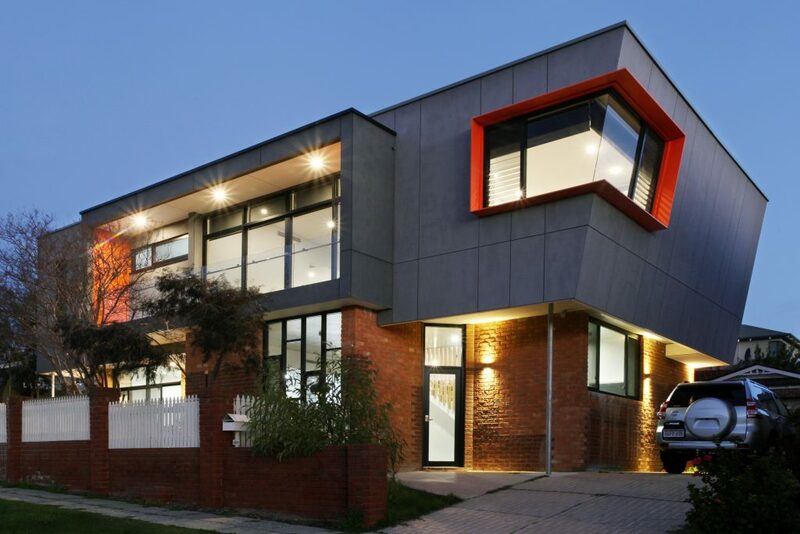 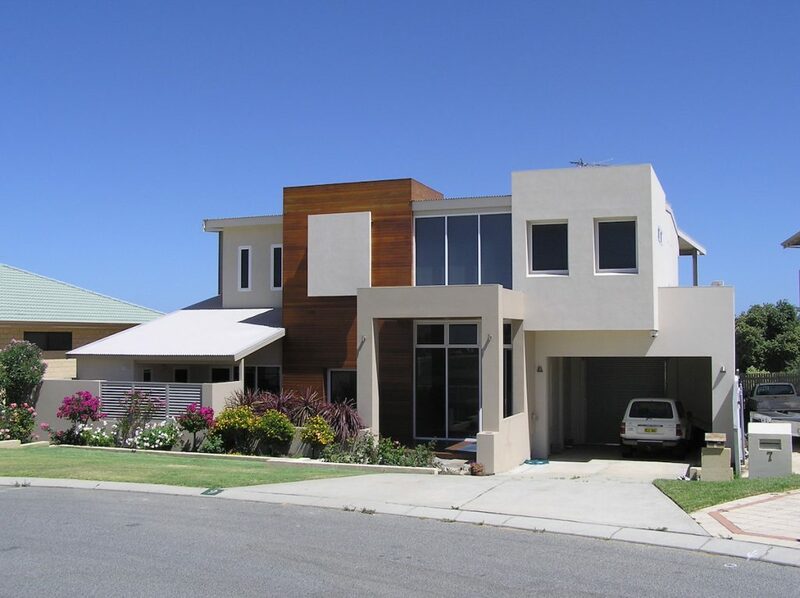 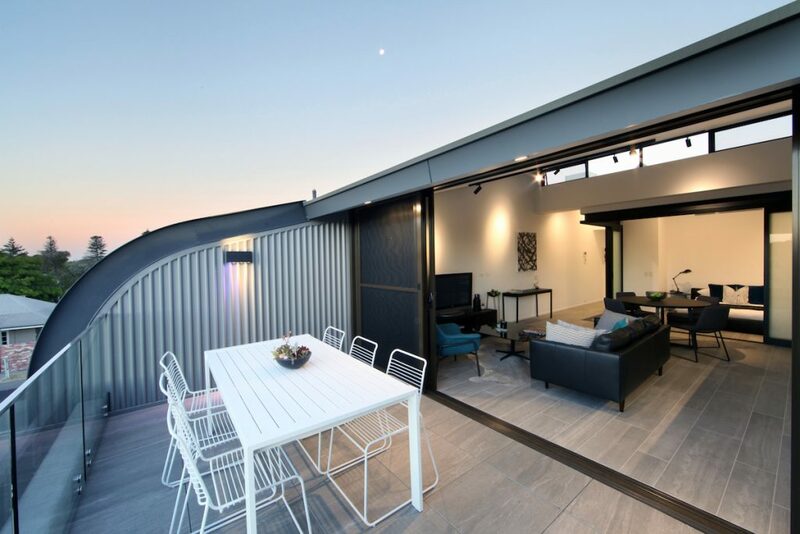 Motus was engaged to provide a first floor addition to an existing 1970s cottage in a quiet street in Cottesloe. 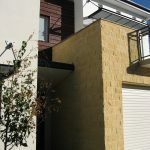 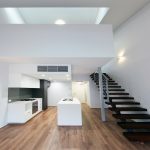 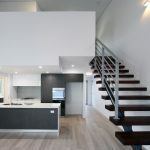 The owner was to continue living in the ground floor residence and the first floor additional was for a downsizer couple. 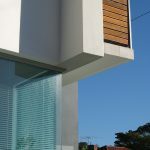 Motus designed a modern floating first floor box cantilevering over the front of the existing house. 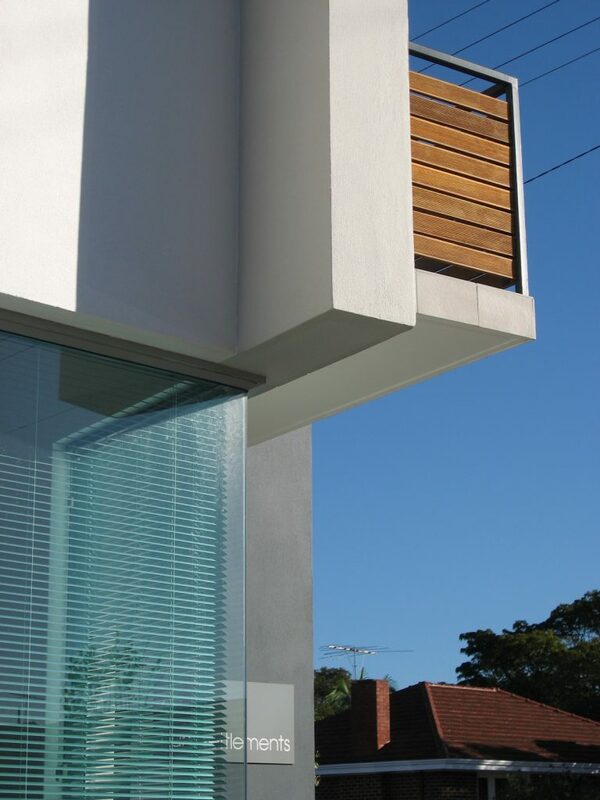 A large balcony facing the street provides the required setback to the first floor addition. 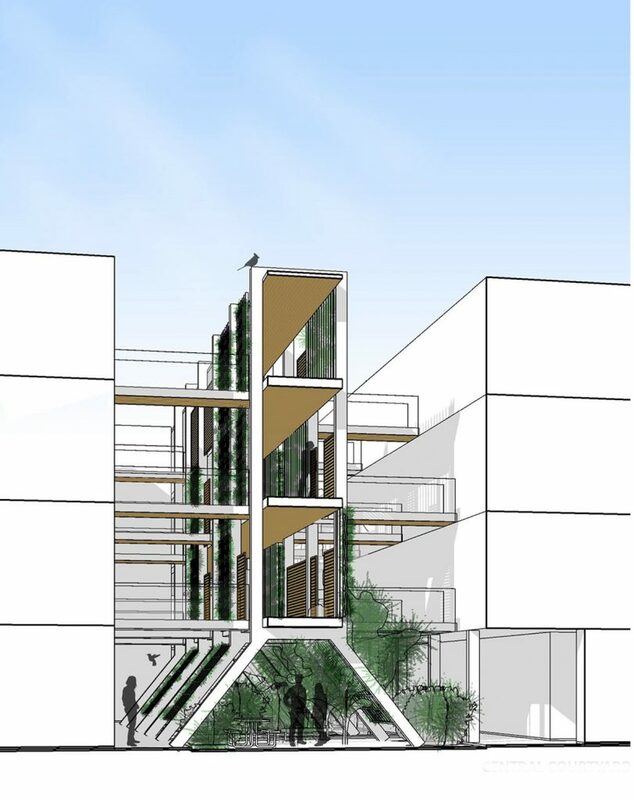 A carport with a roof garden and green wall trellis within the external stair softens the building. 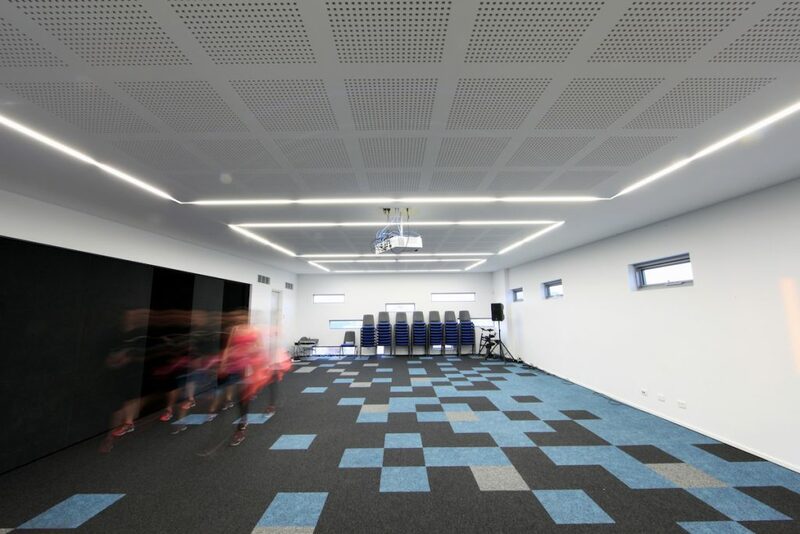 Motus was able to provide a well-conceived solution on a very restricted budget. 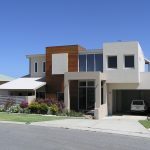 Are you looking to invest, develop or manage property? Copyright © 2019 Motus Architecture.